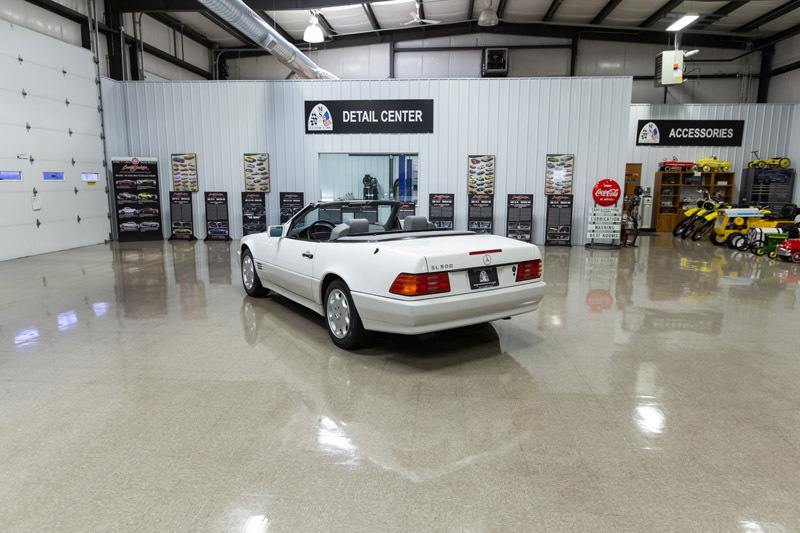 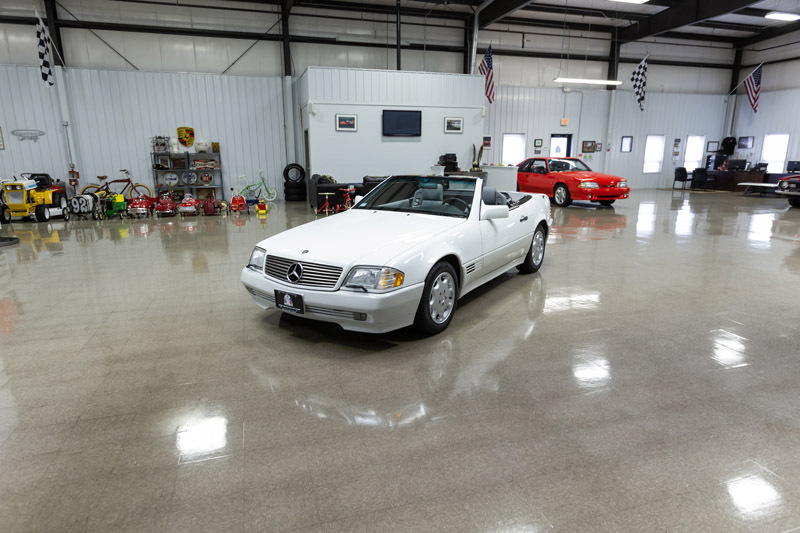 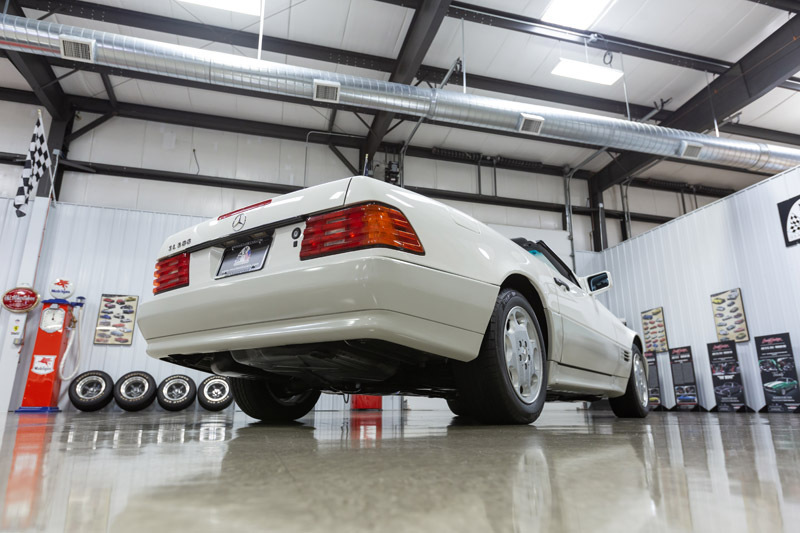 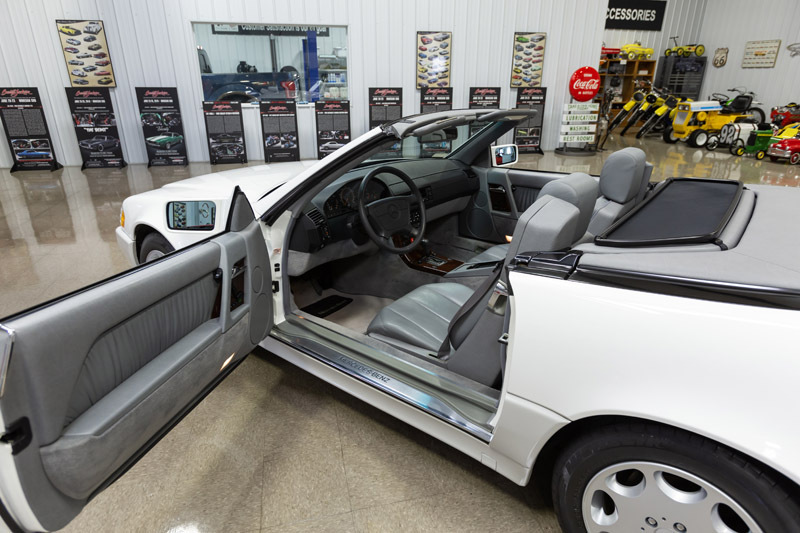 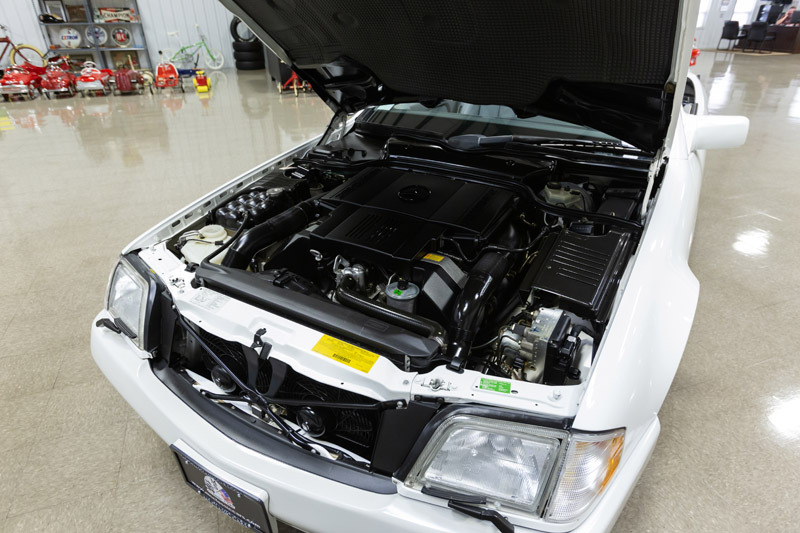 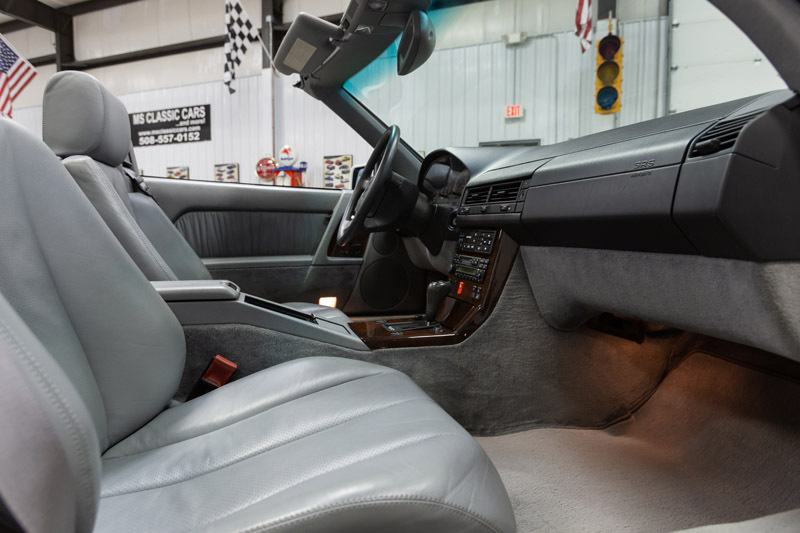 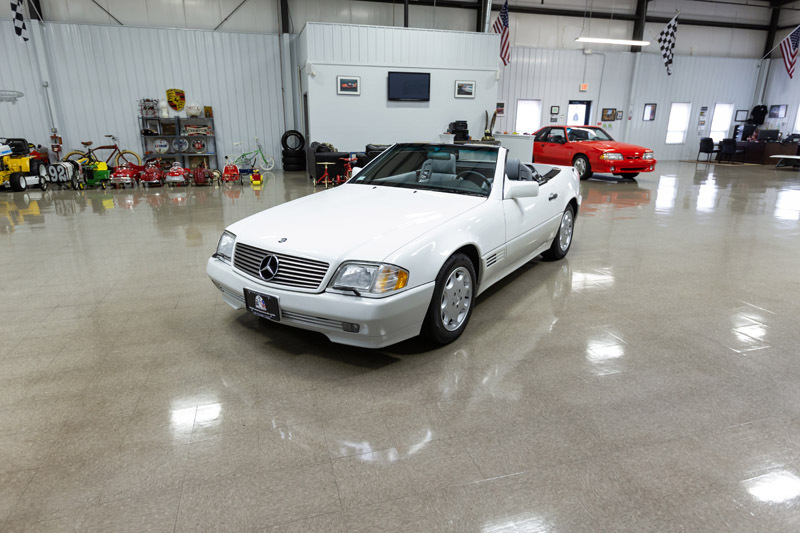 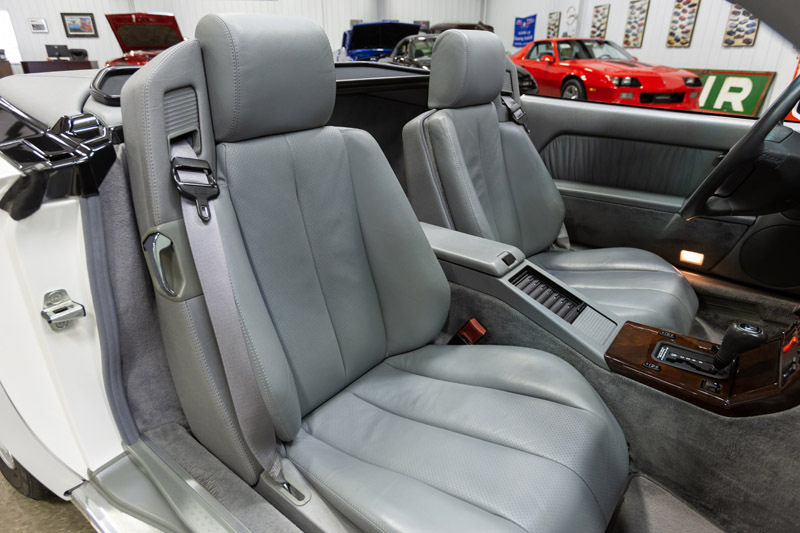 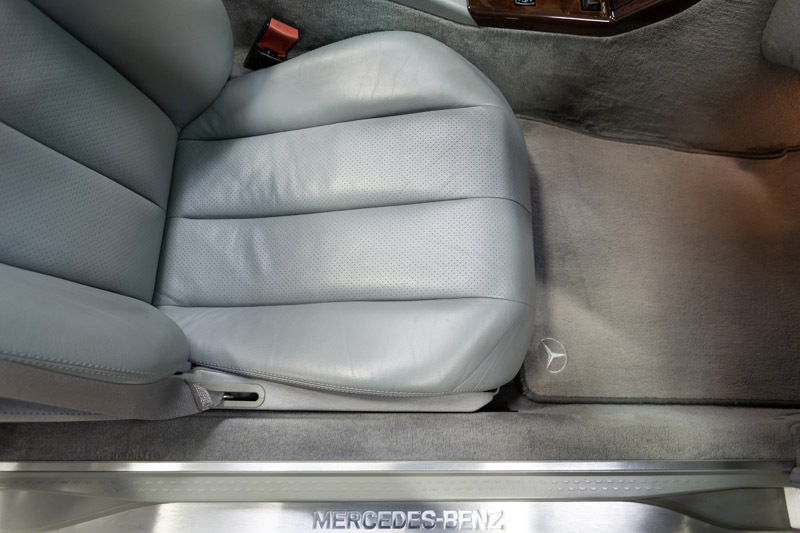 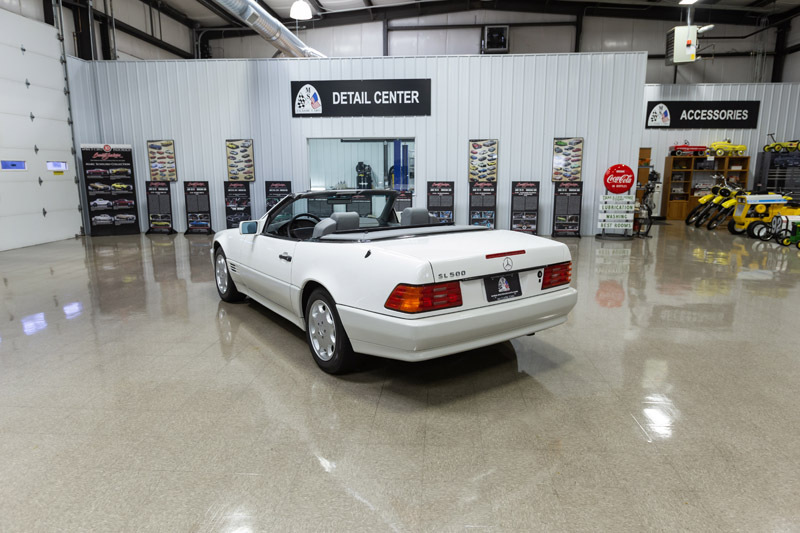 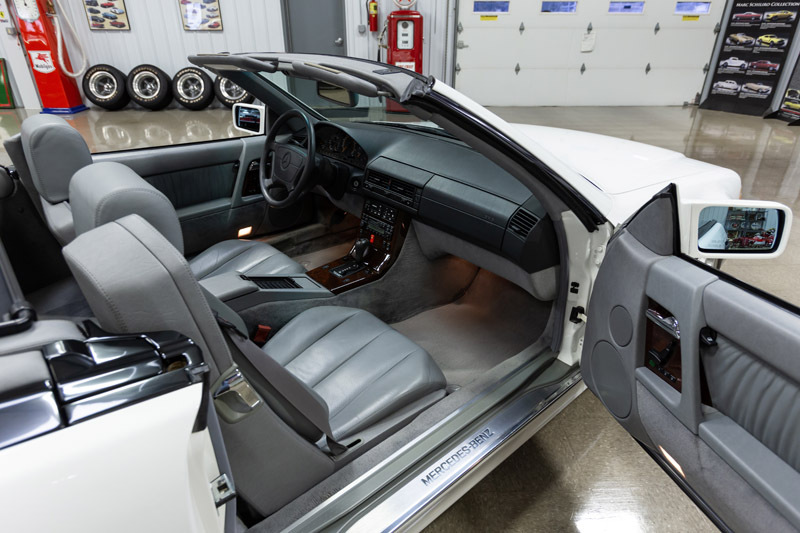 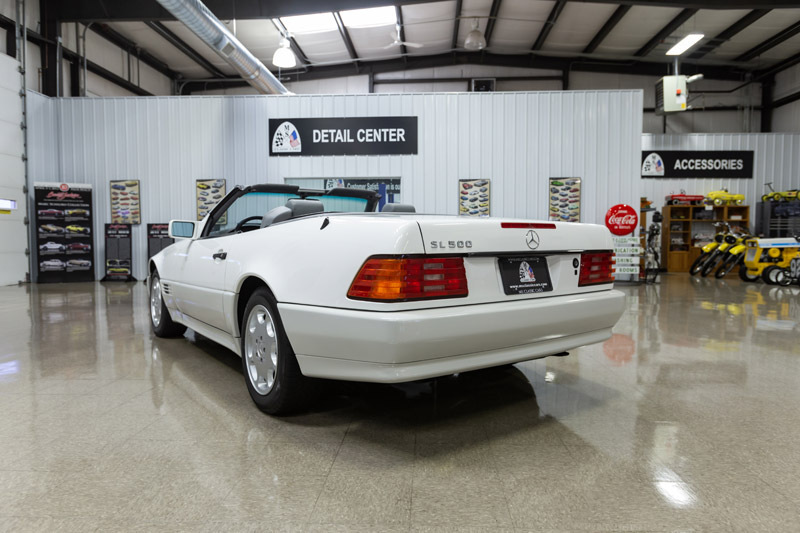 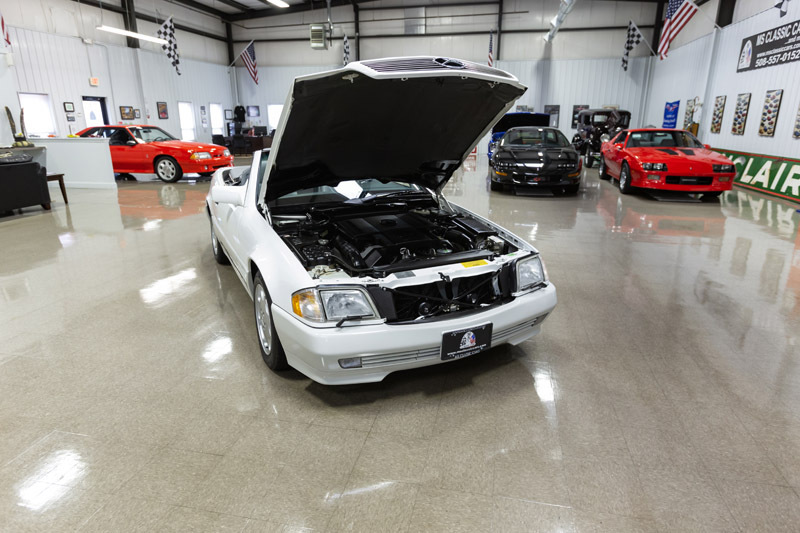 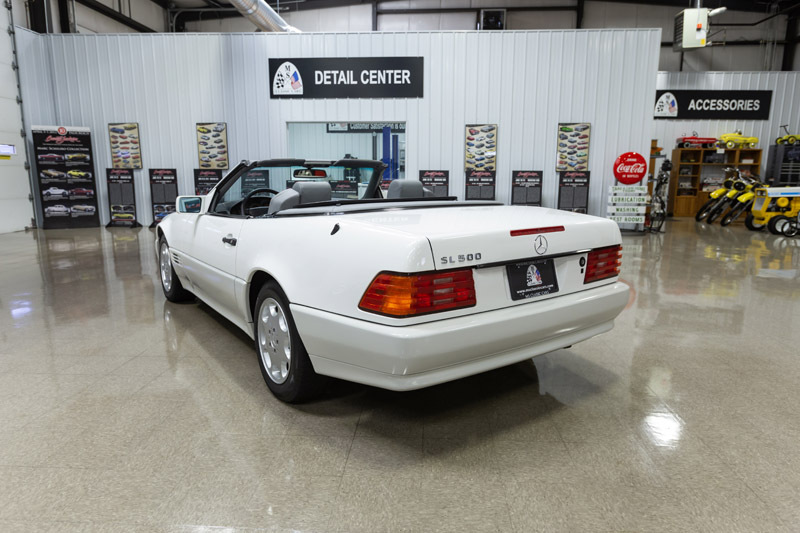 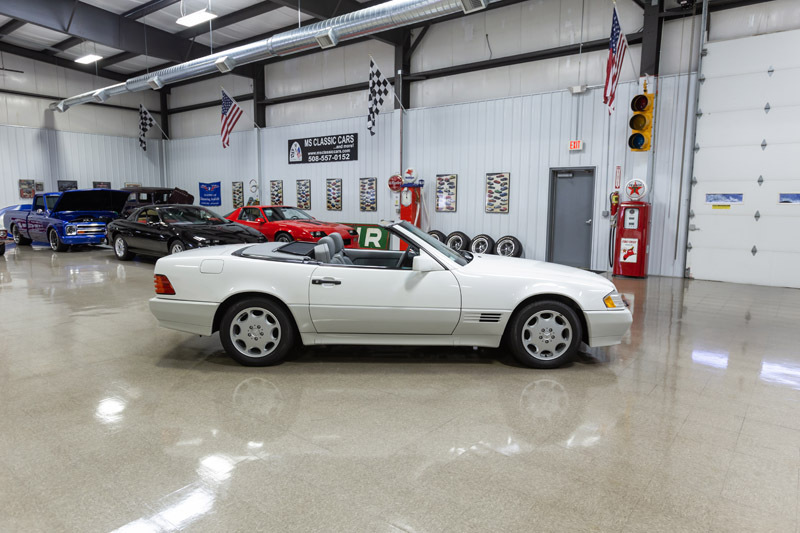 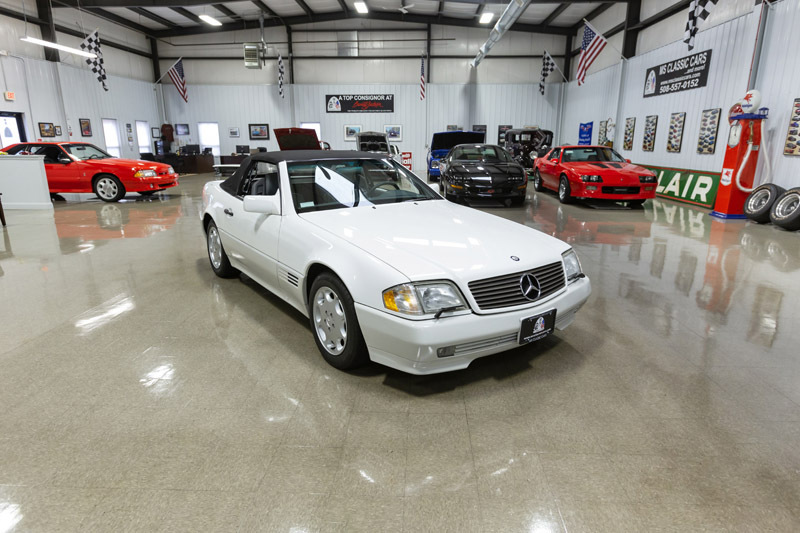 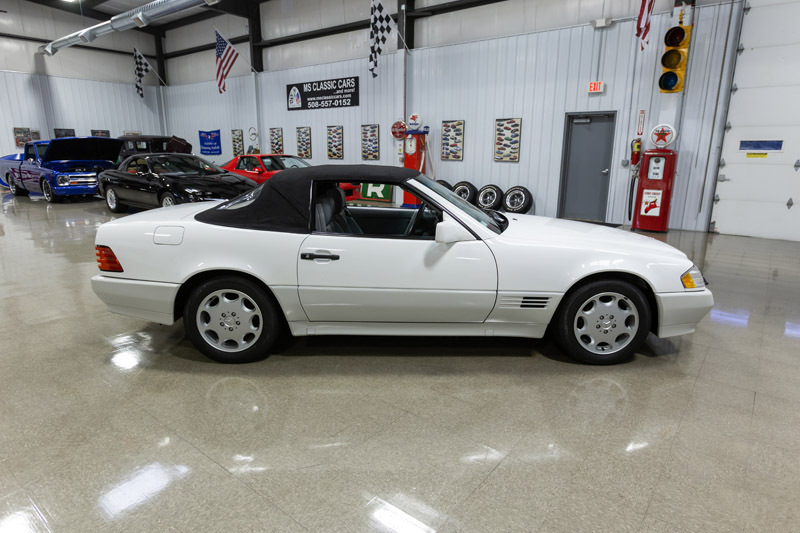 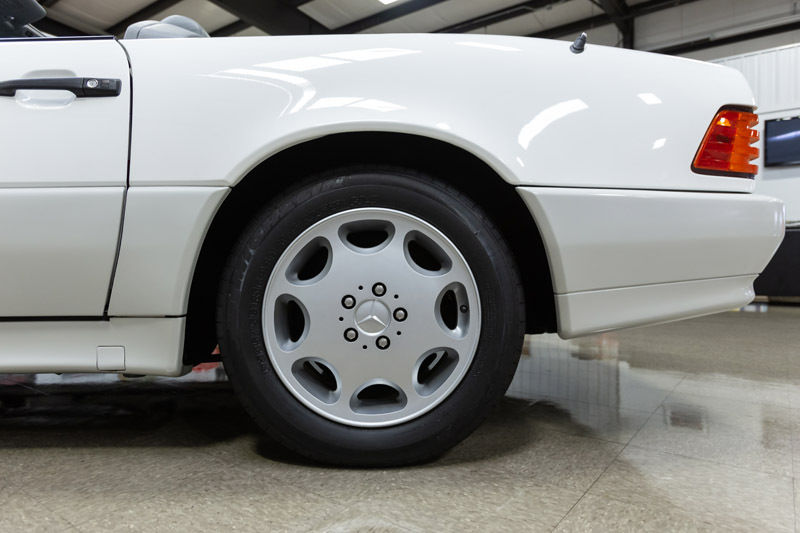 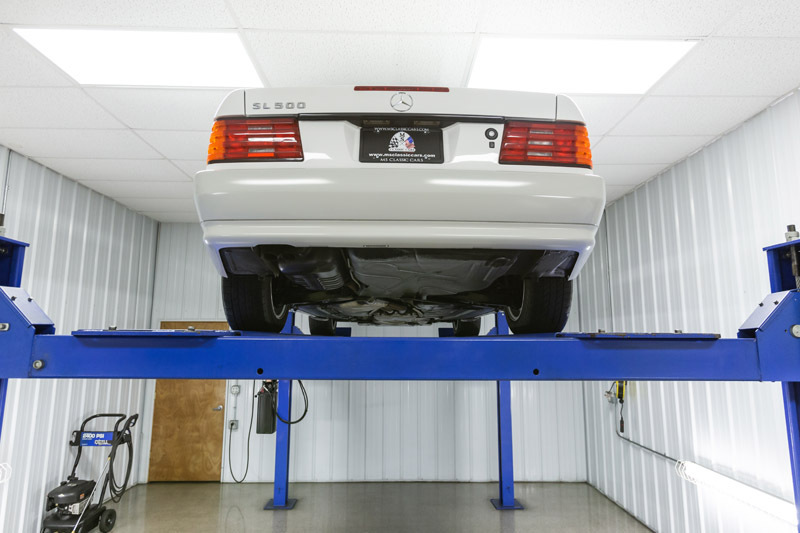 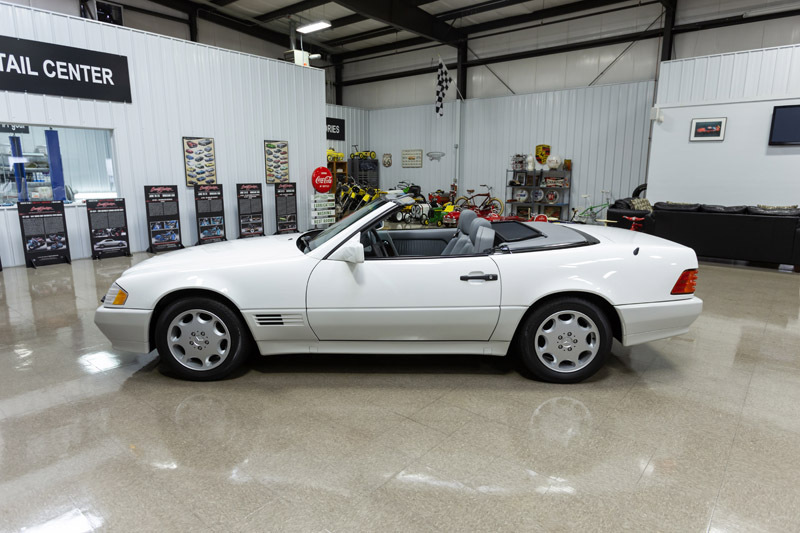 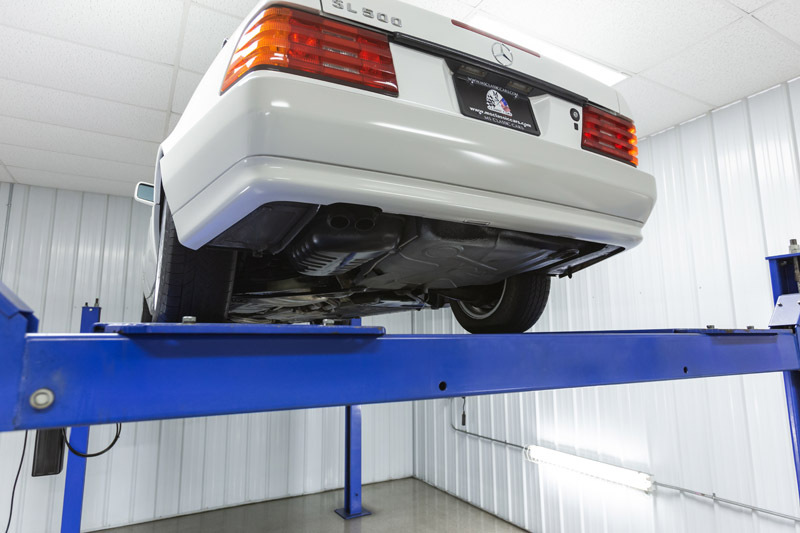 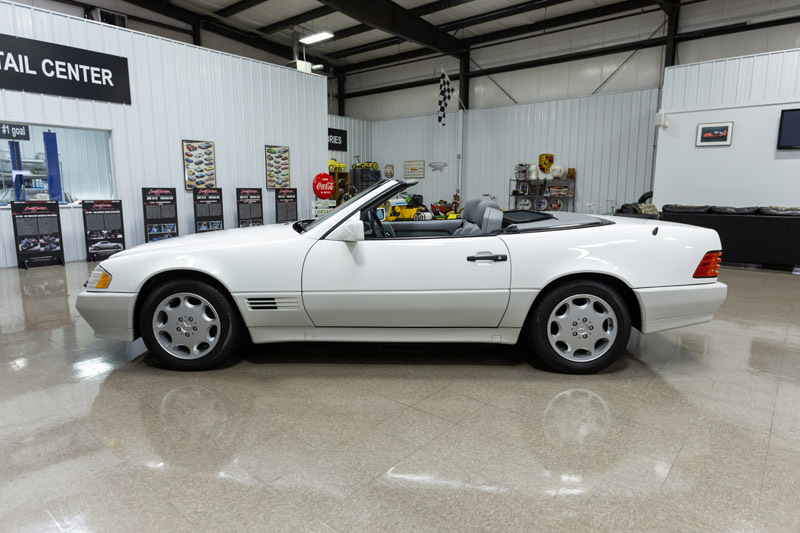 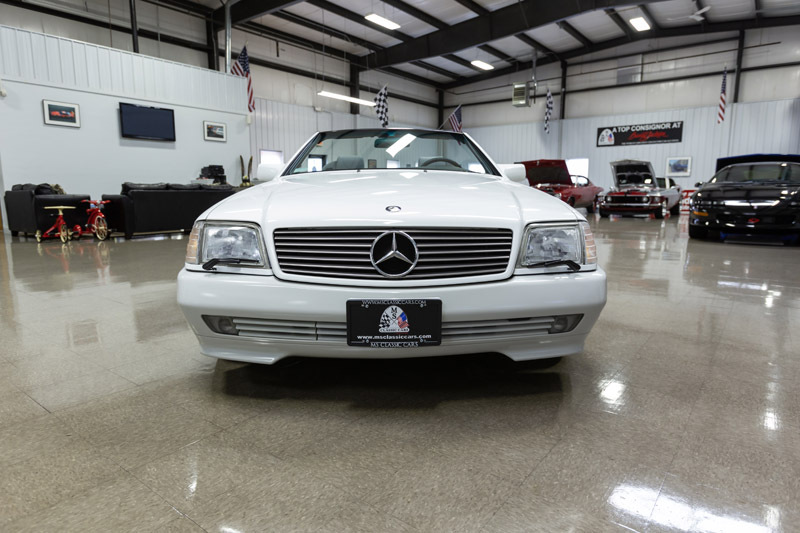 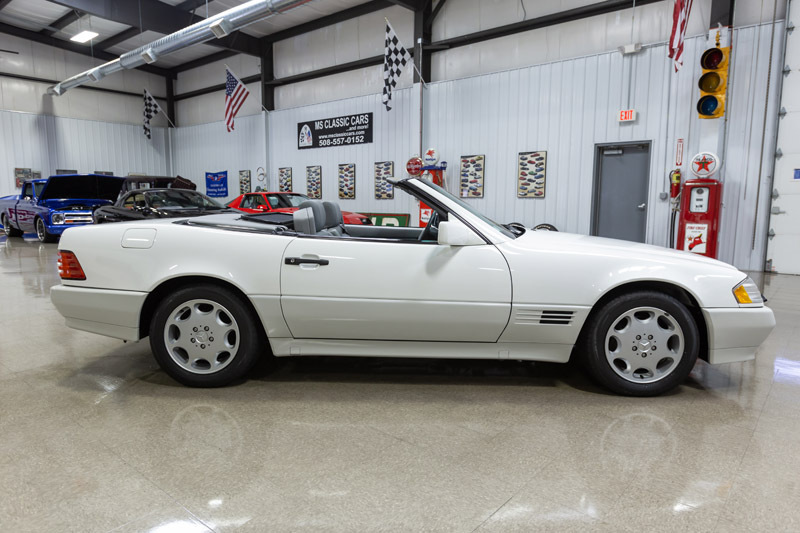 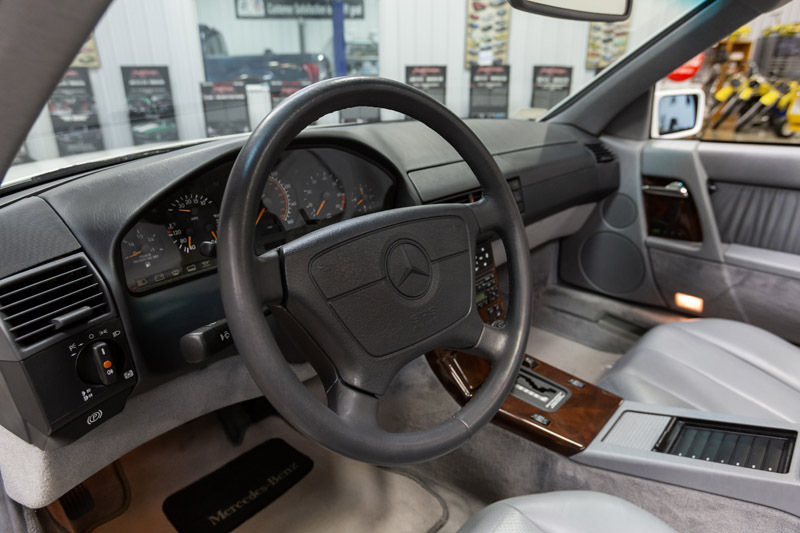 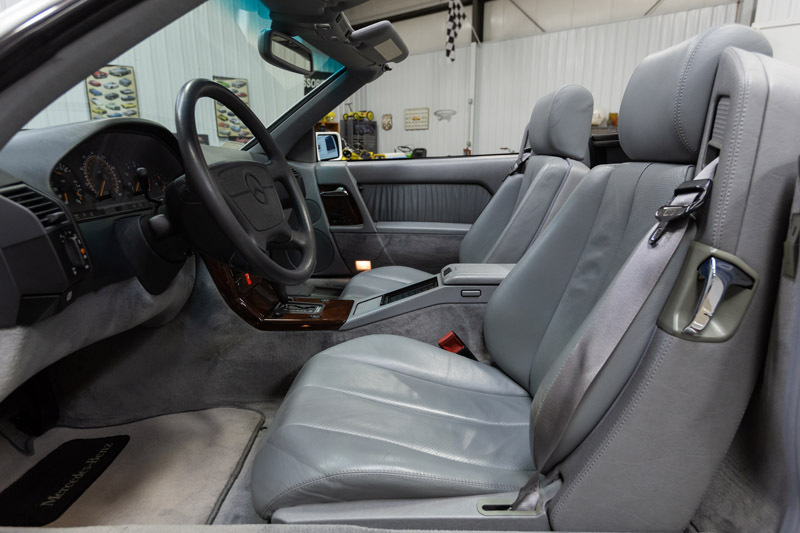 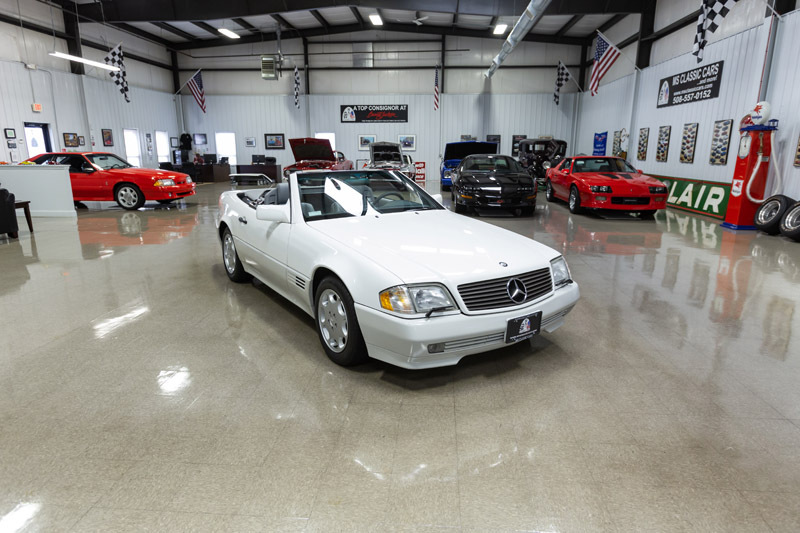 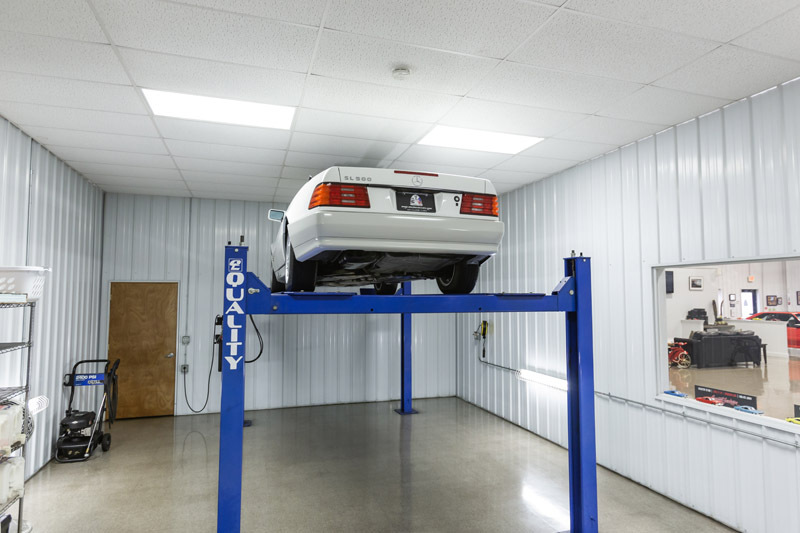 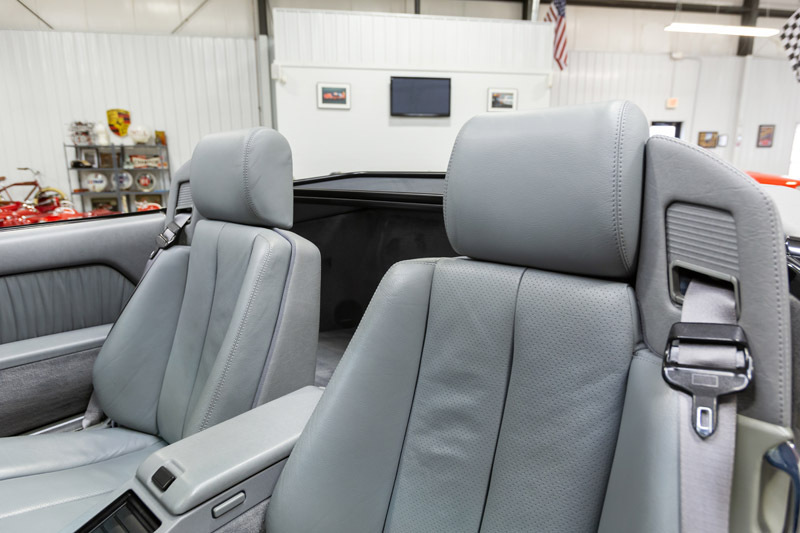 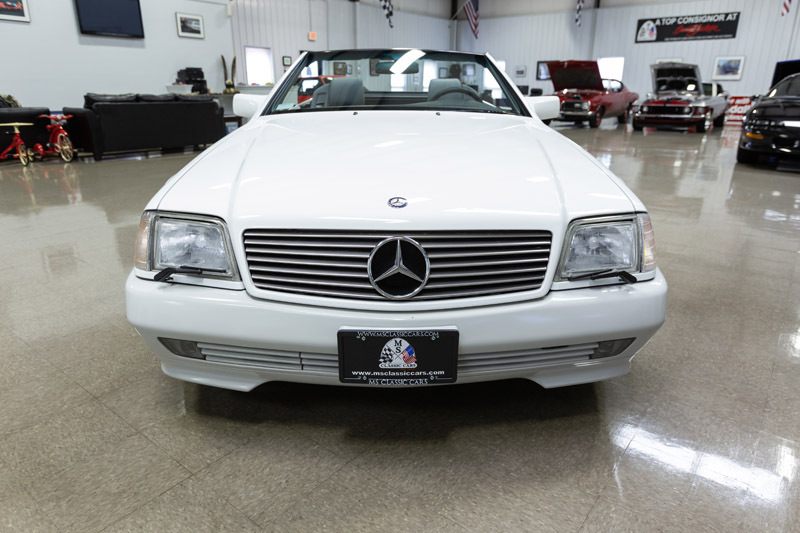 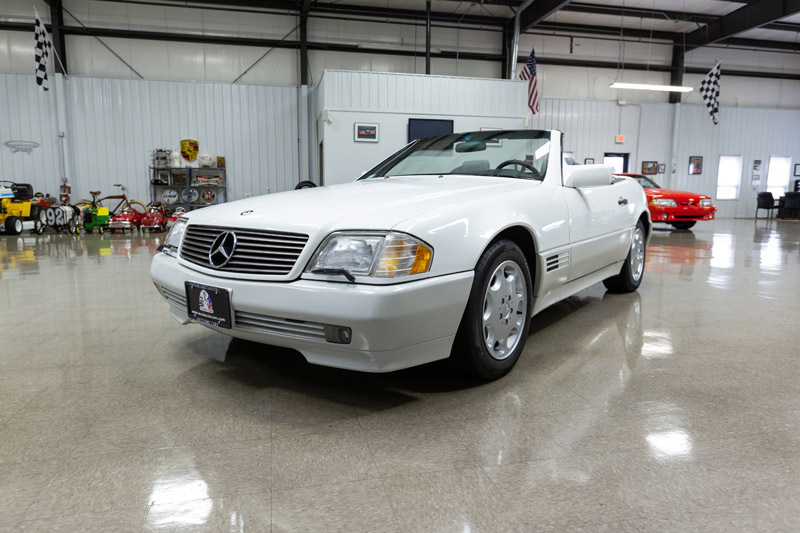 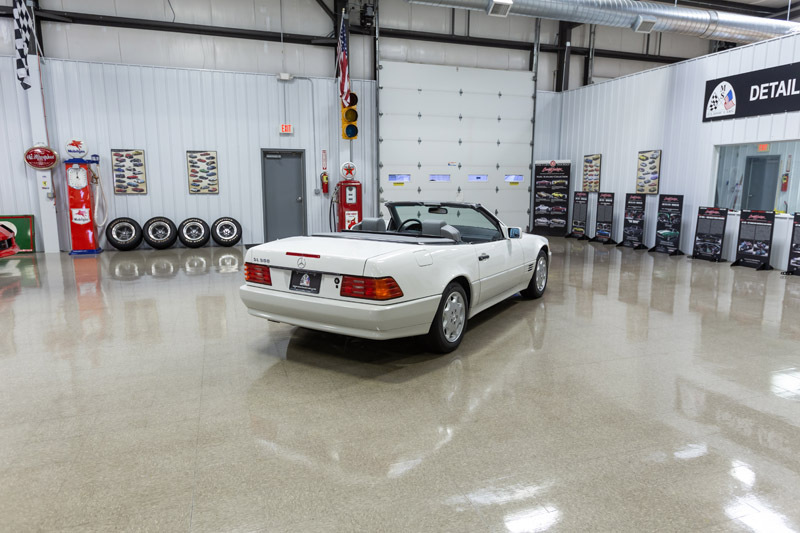 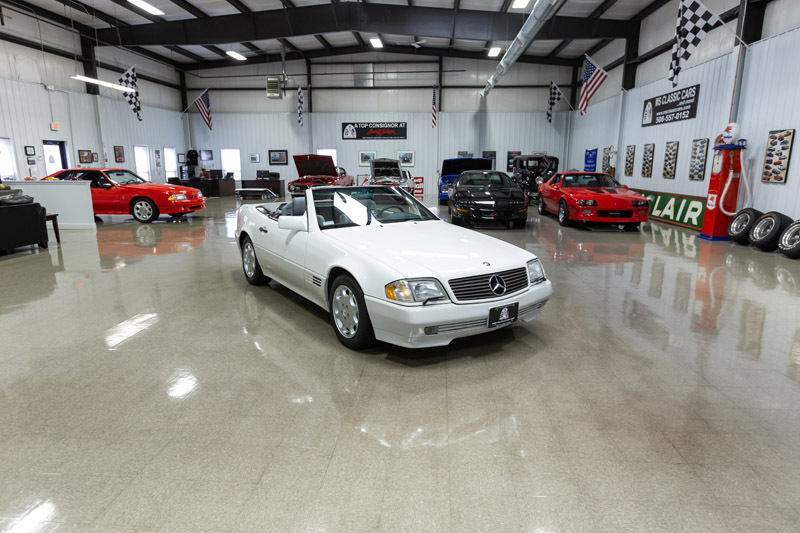 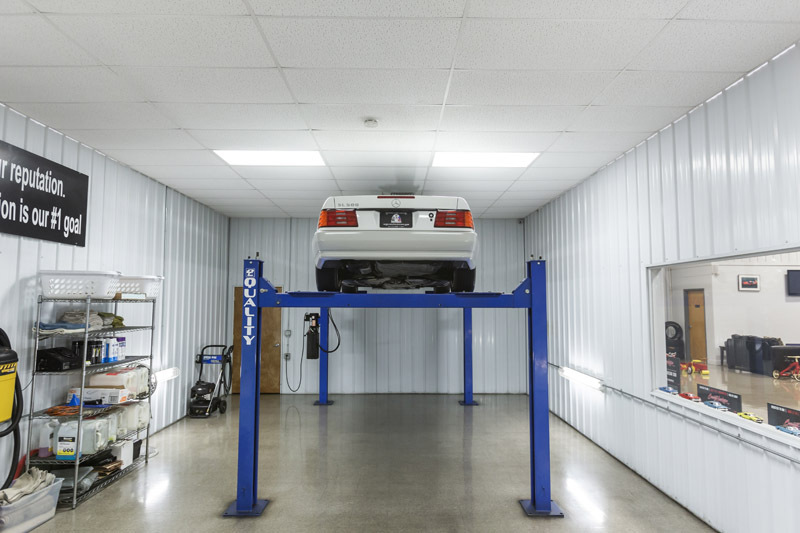 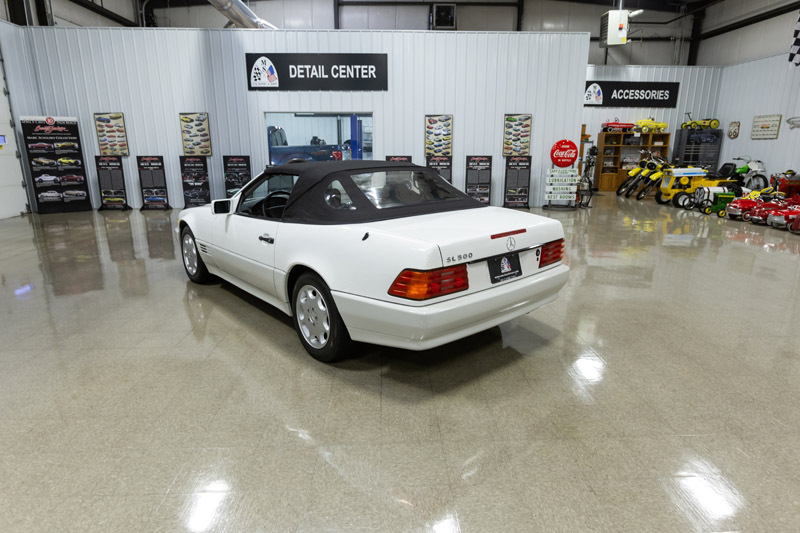 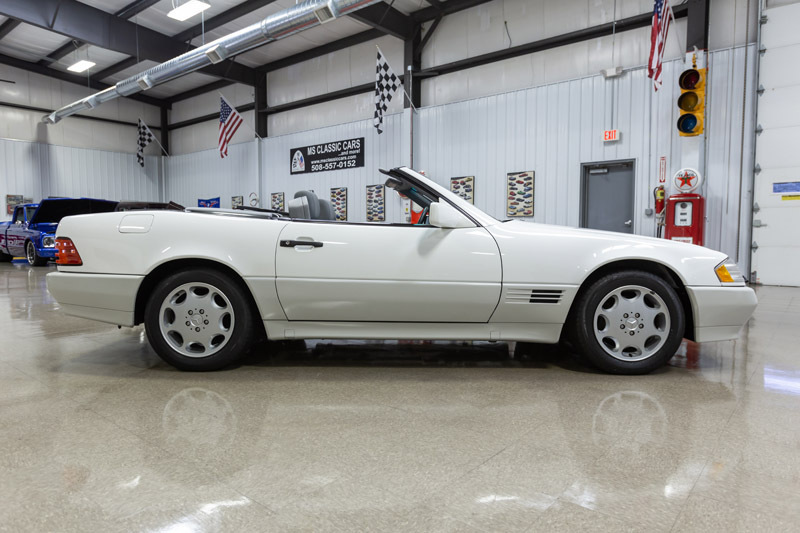 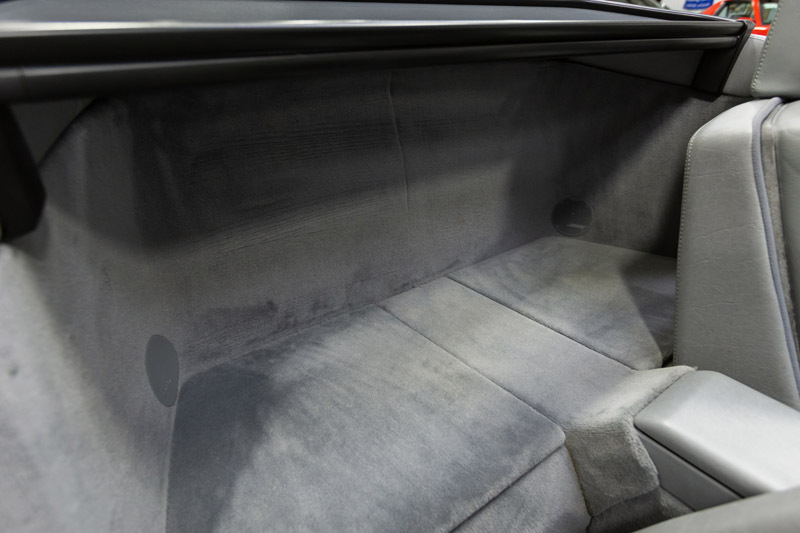 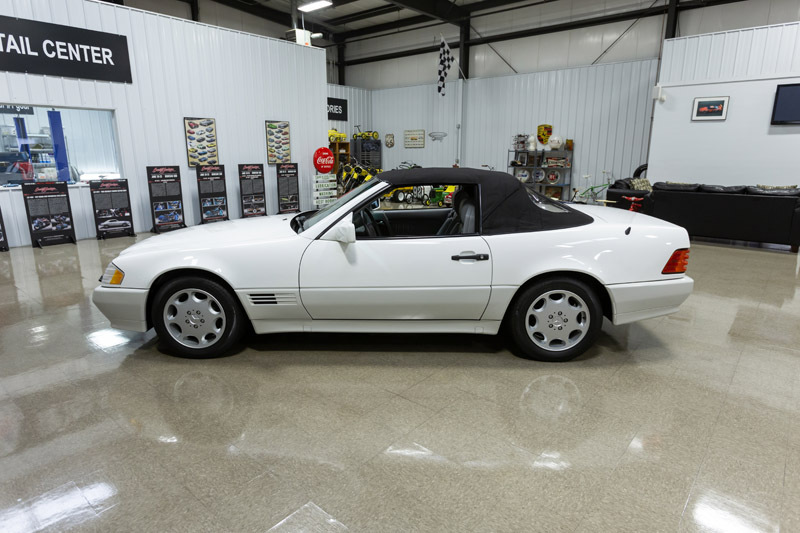 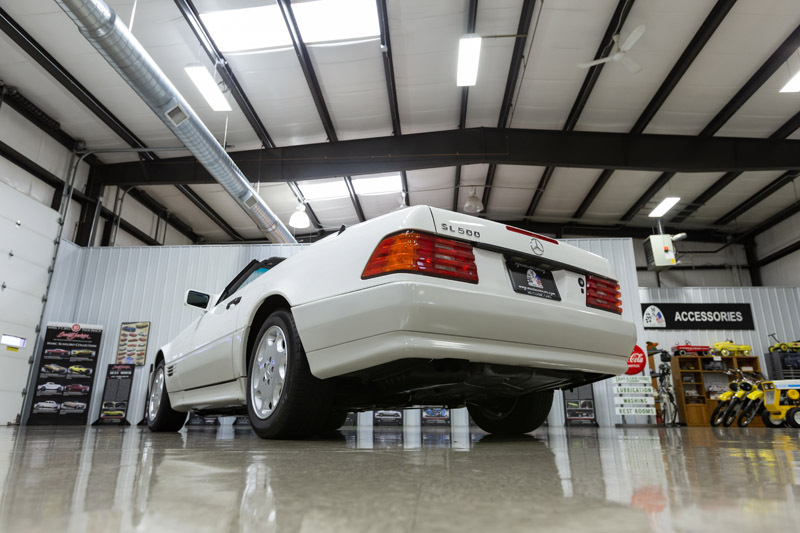 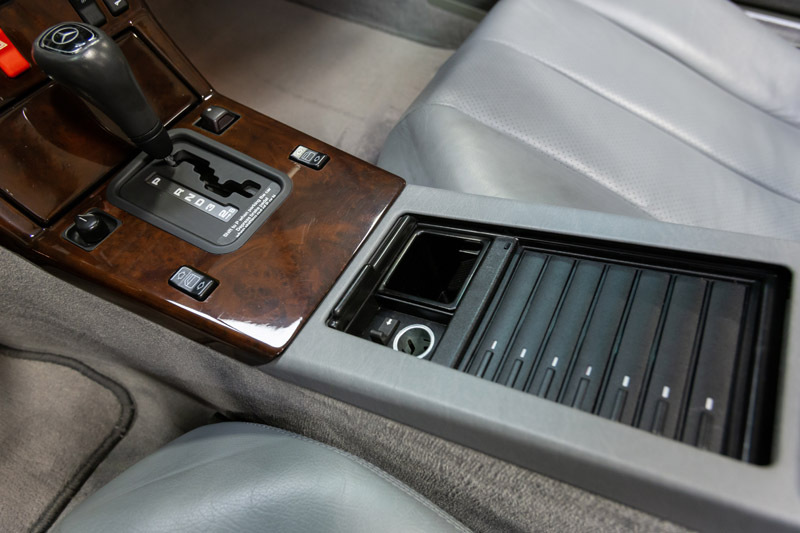 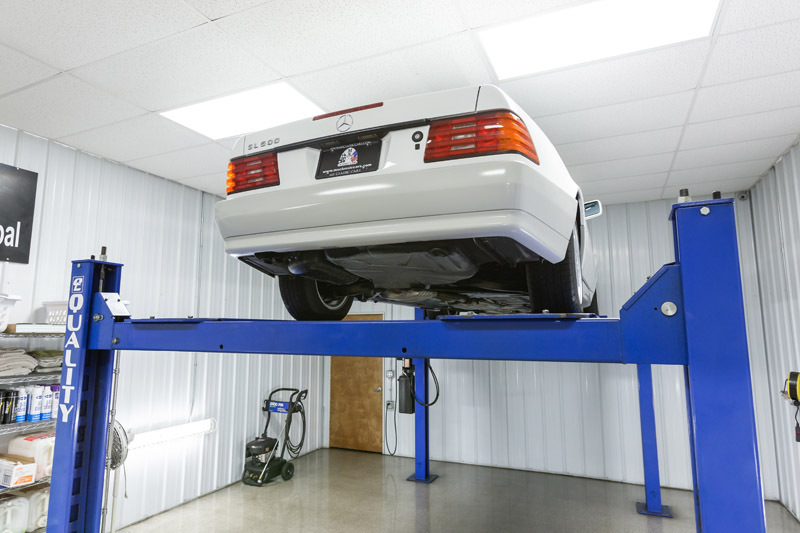 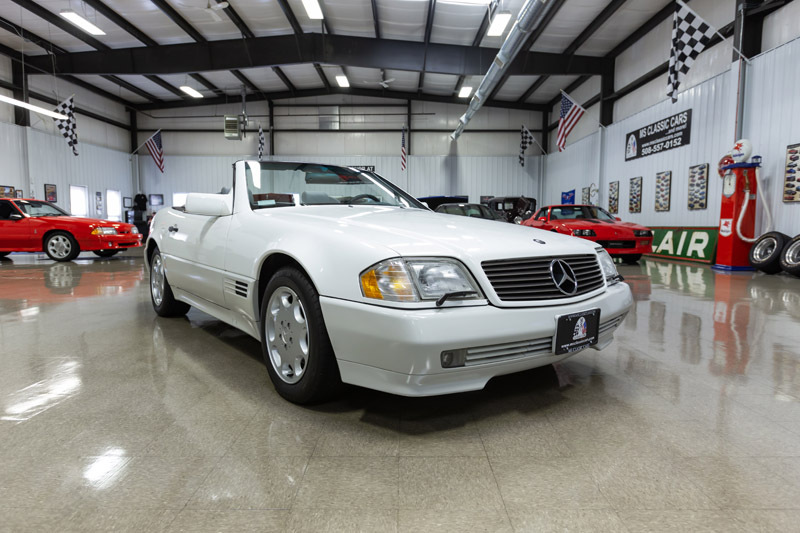 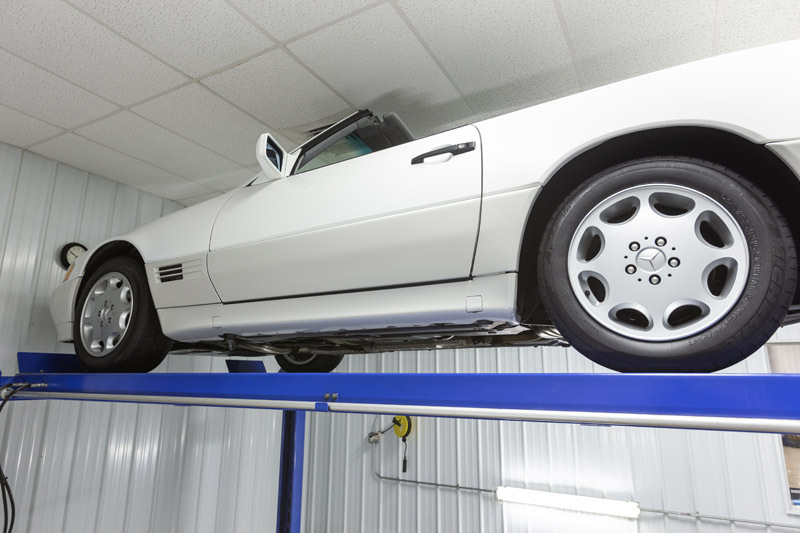 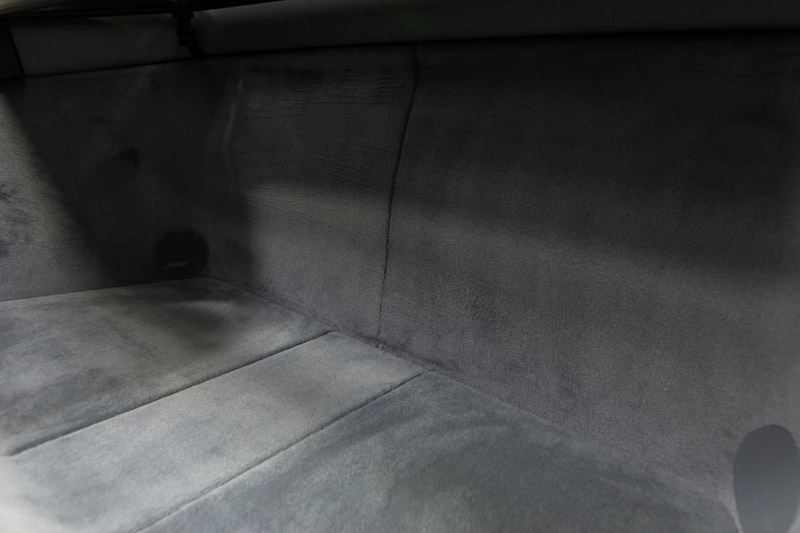 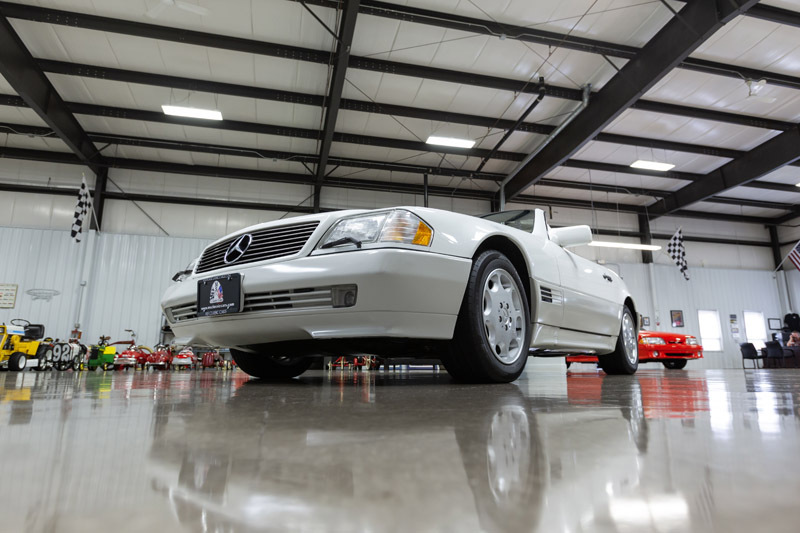 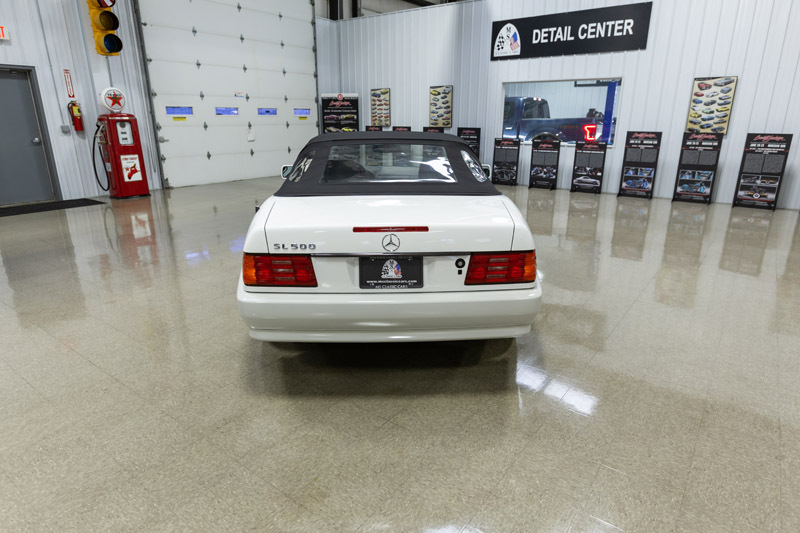 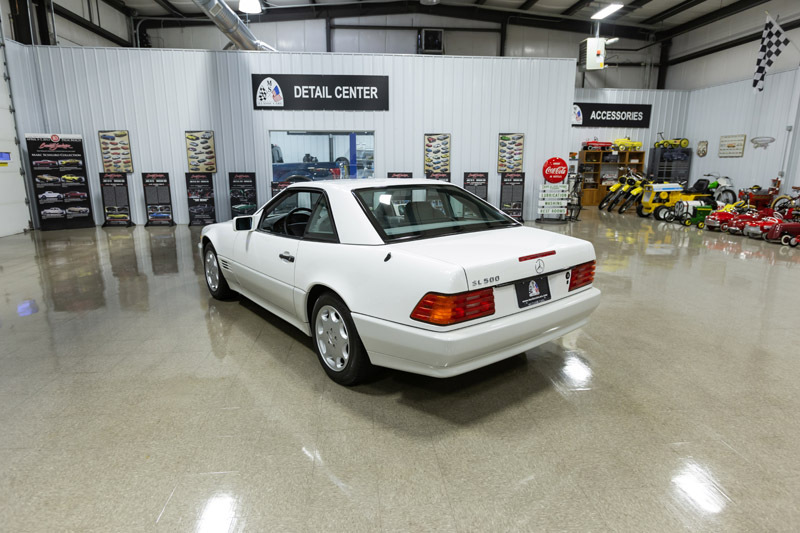 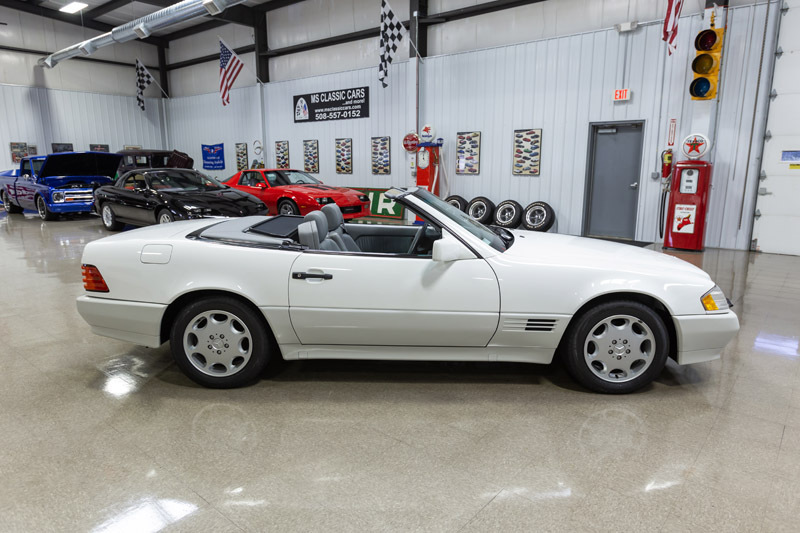 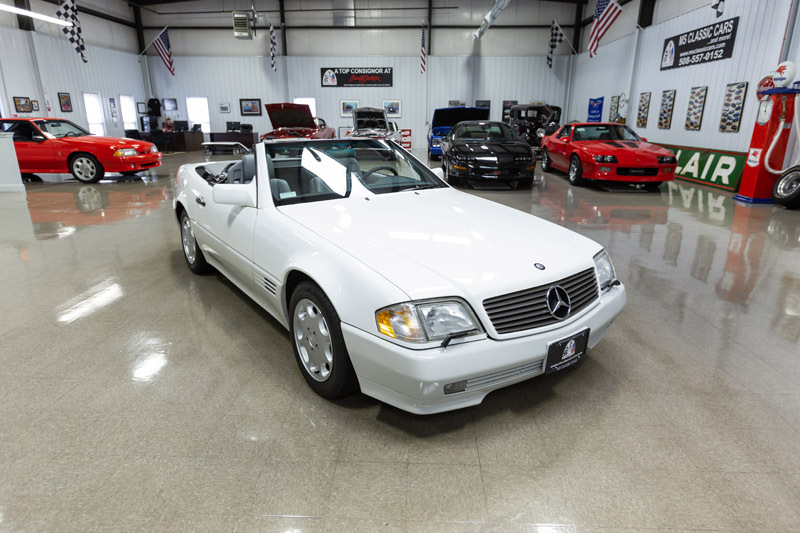 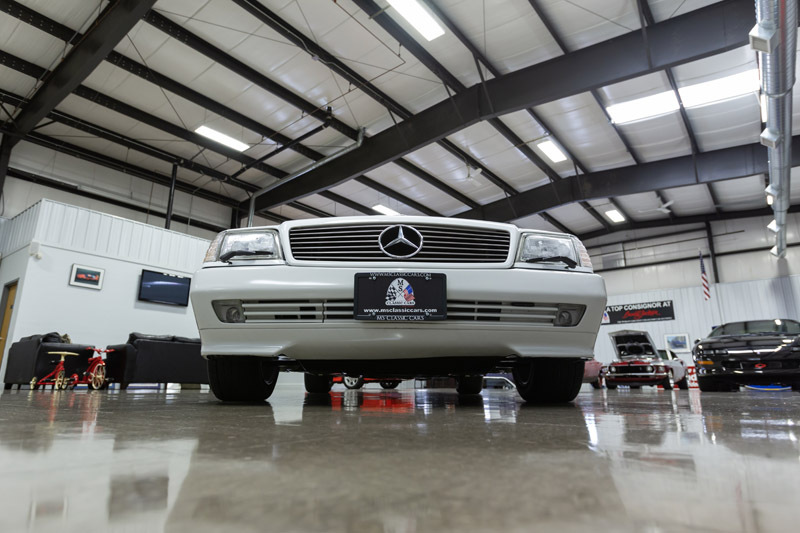 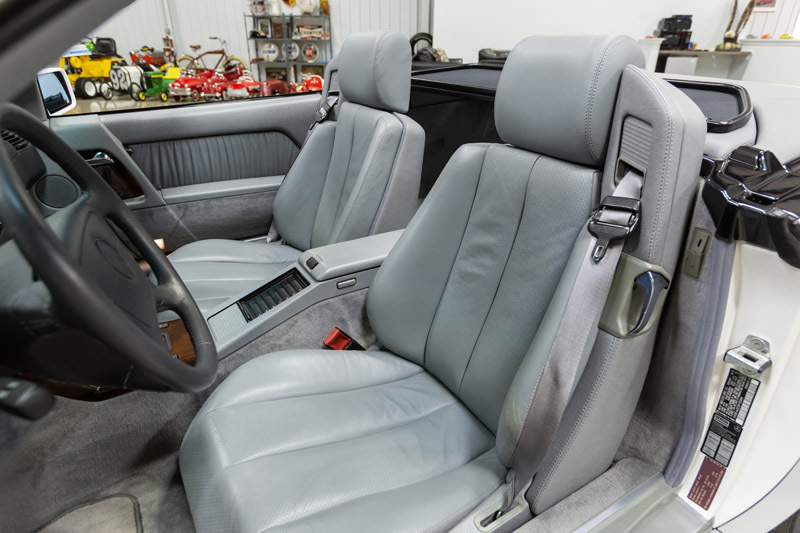 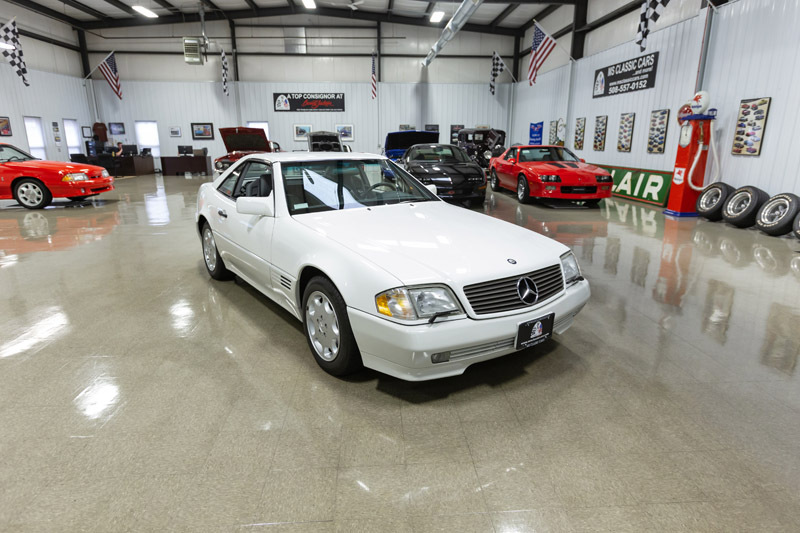 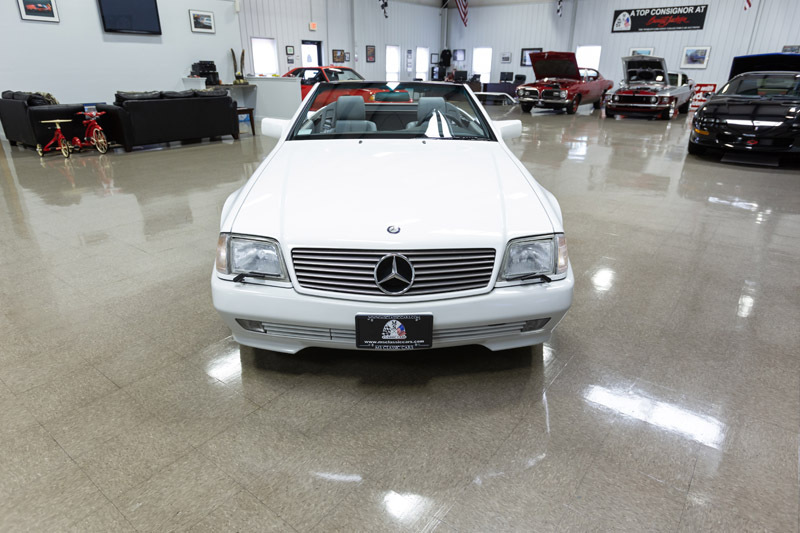 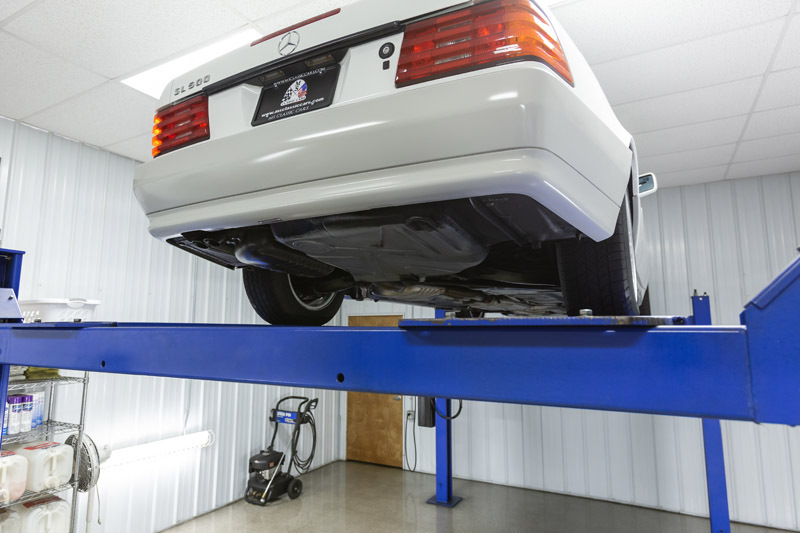 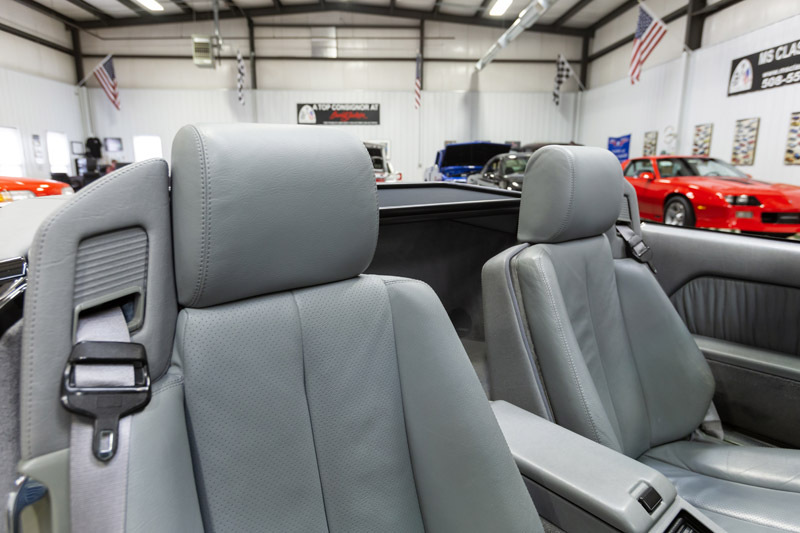 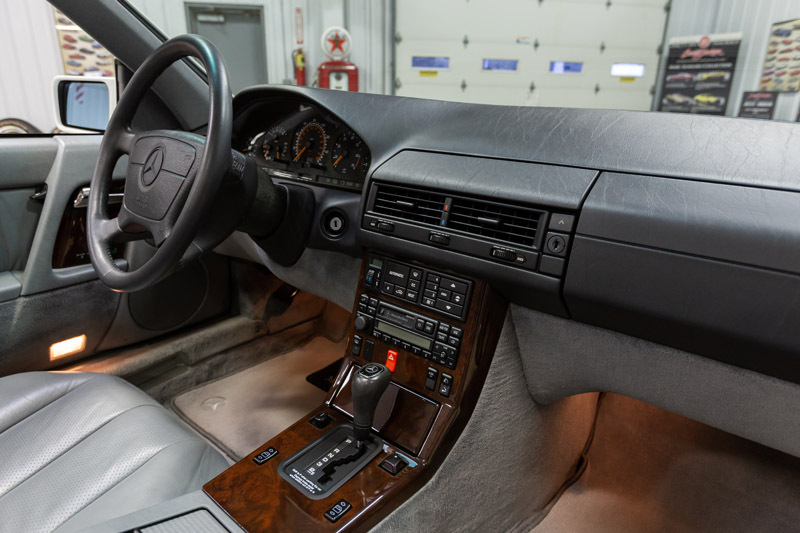 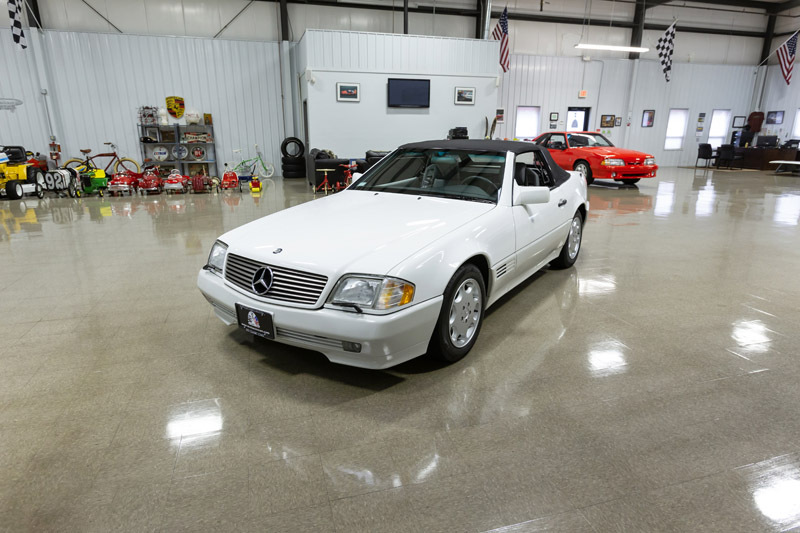 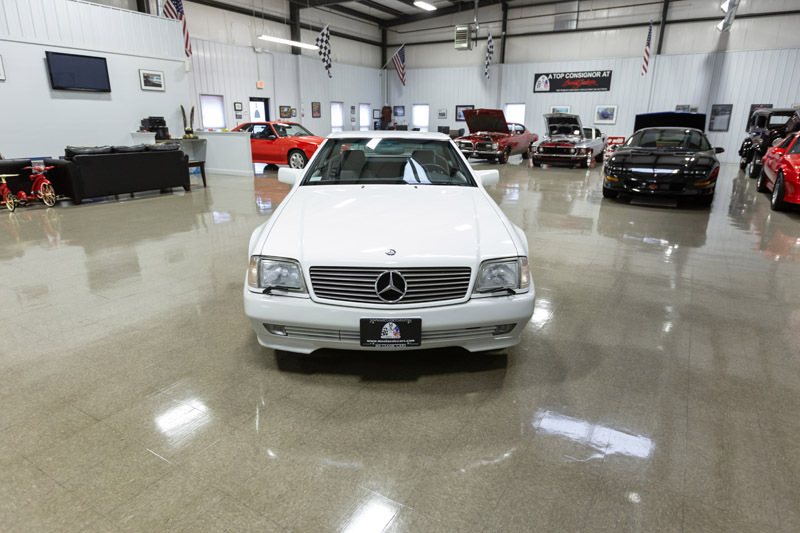 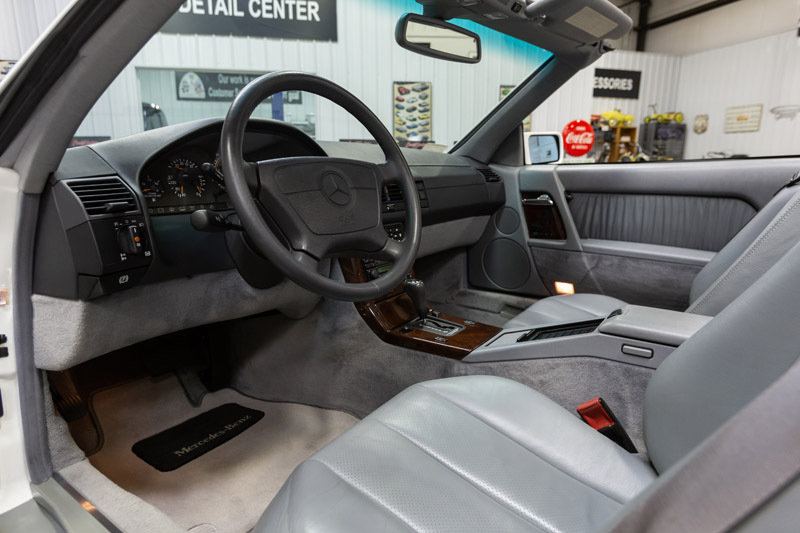 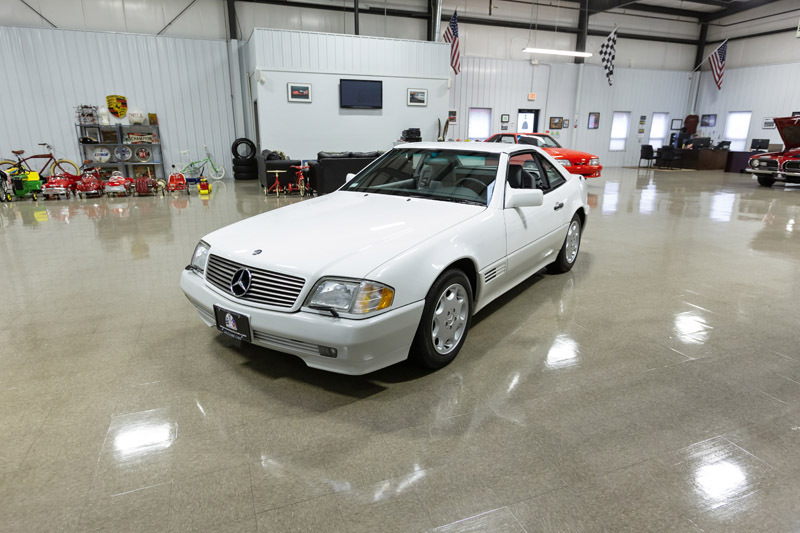 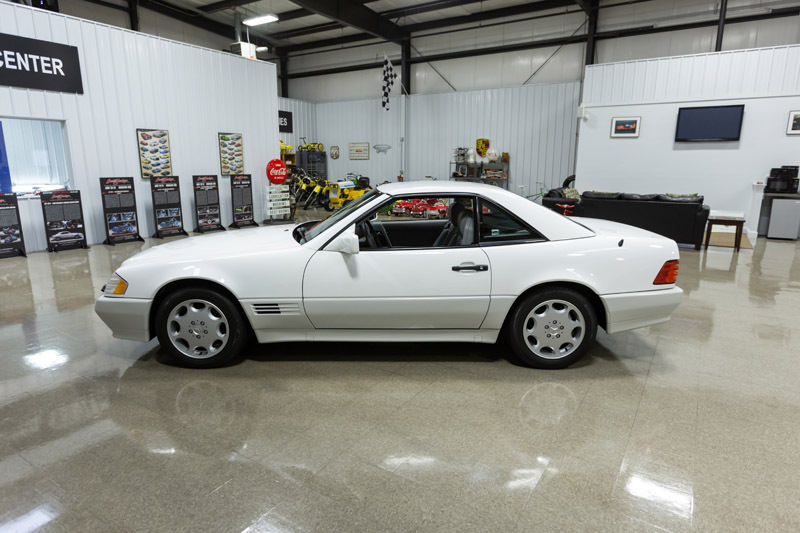 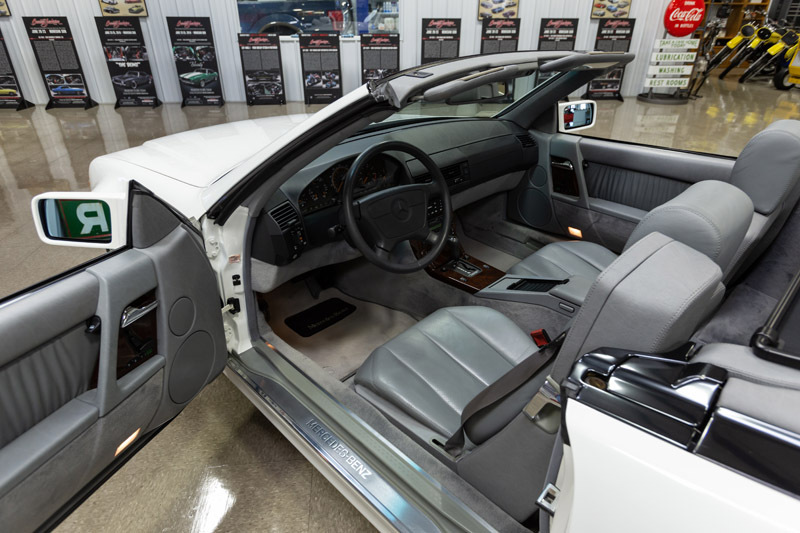 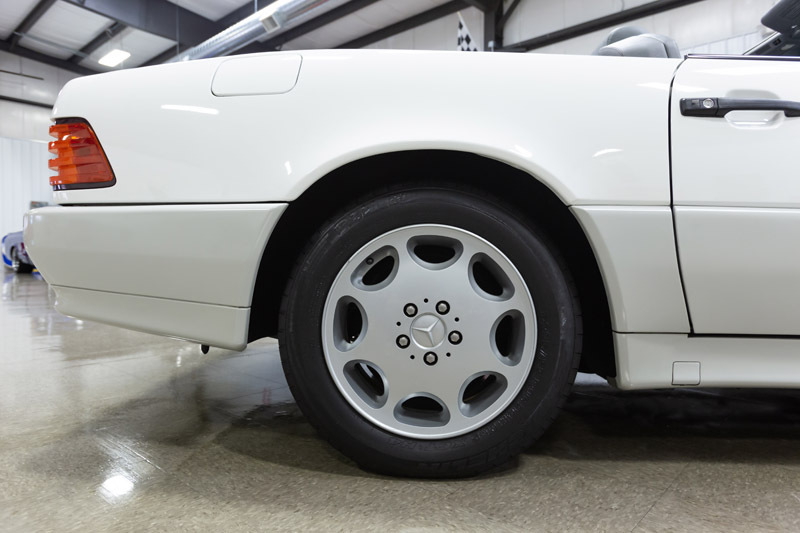 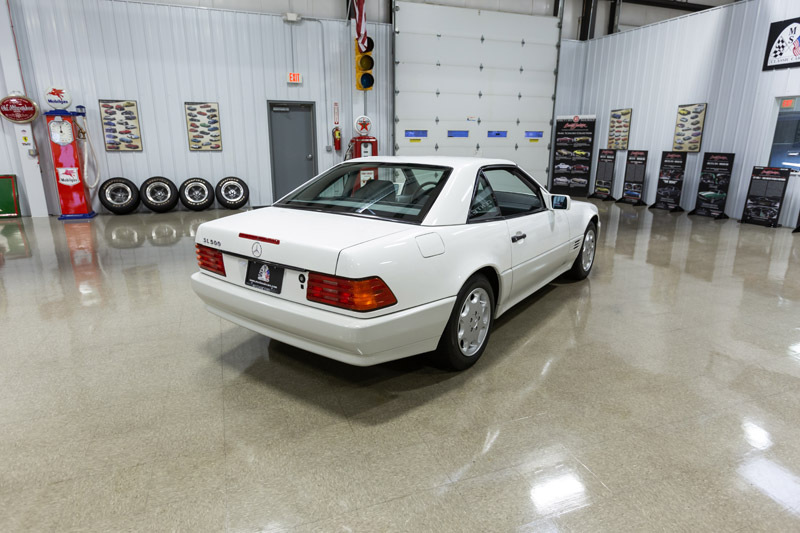 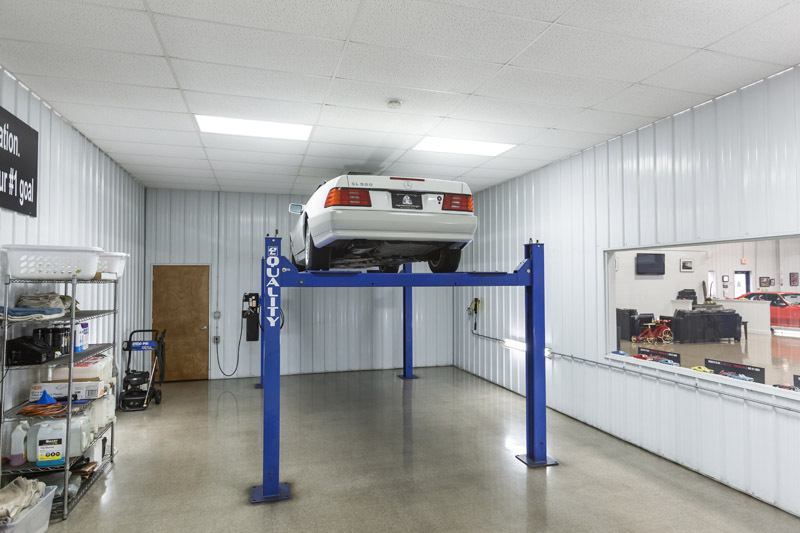 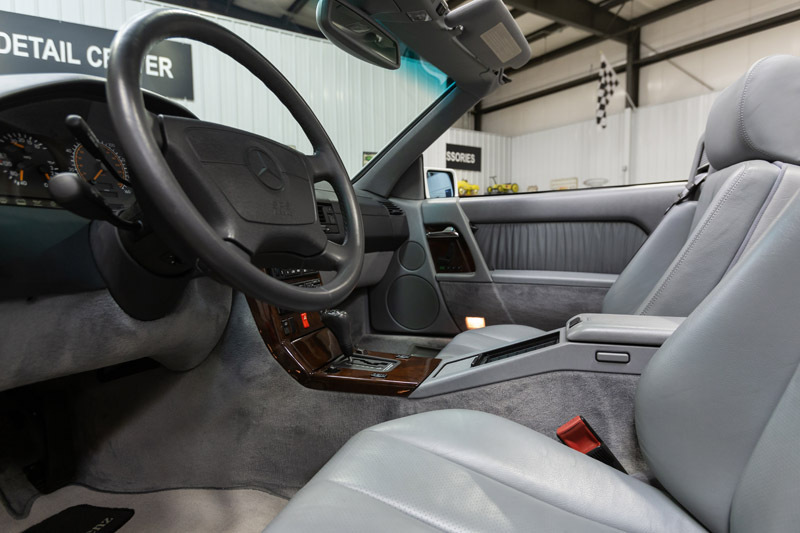 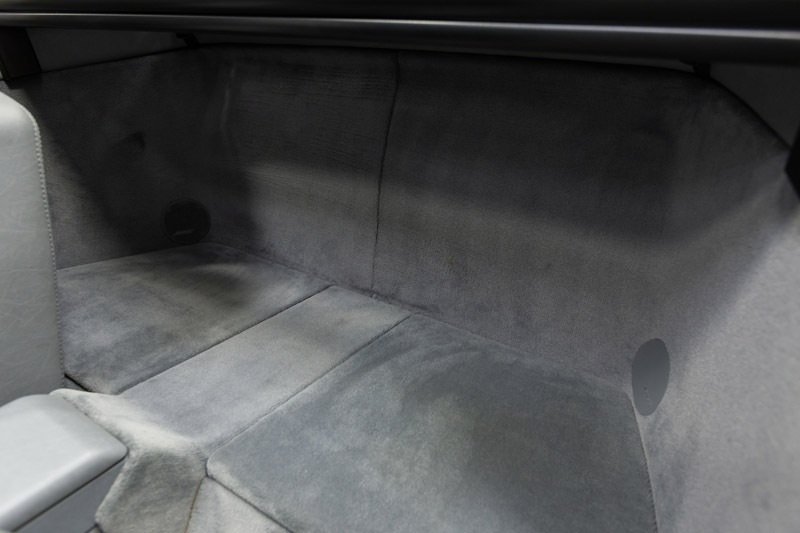 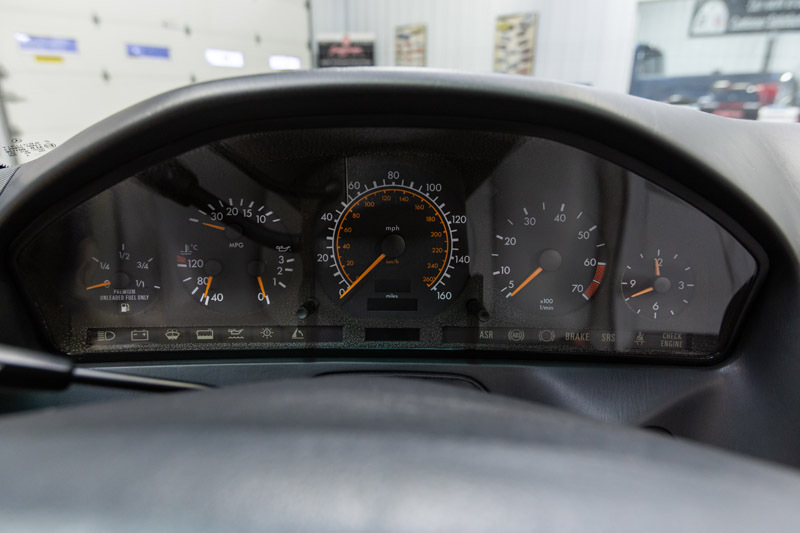 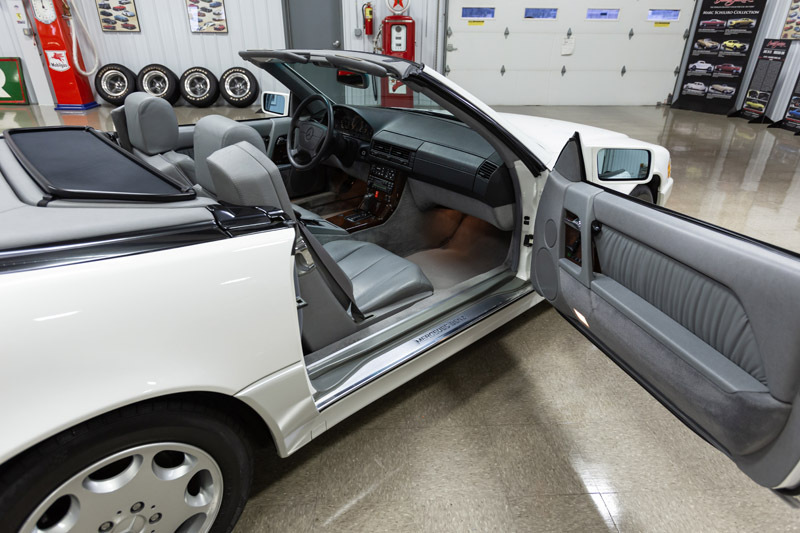 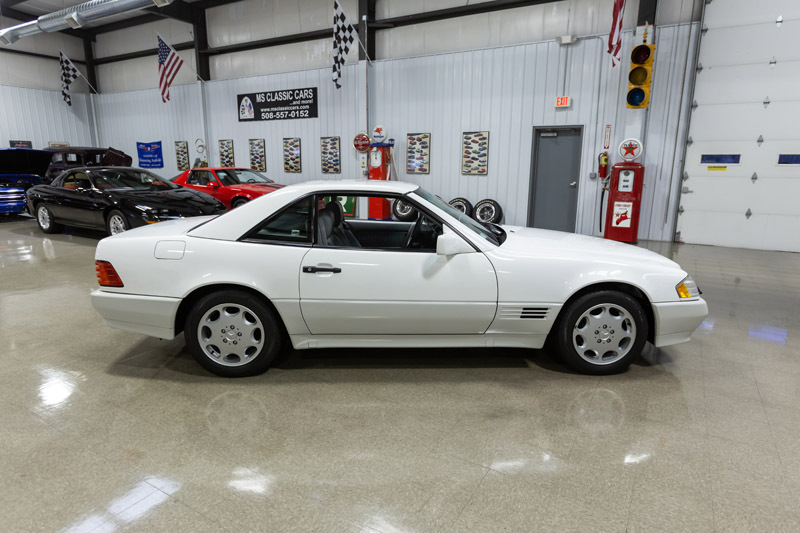 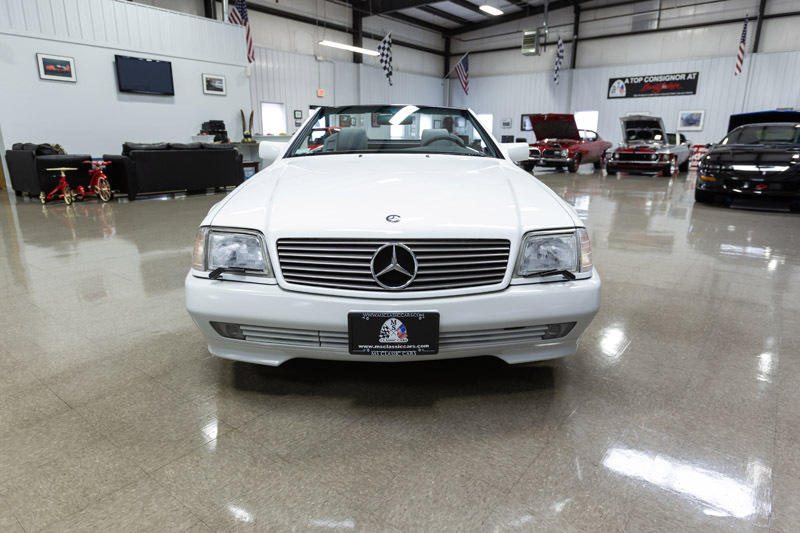 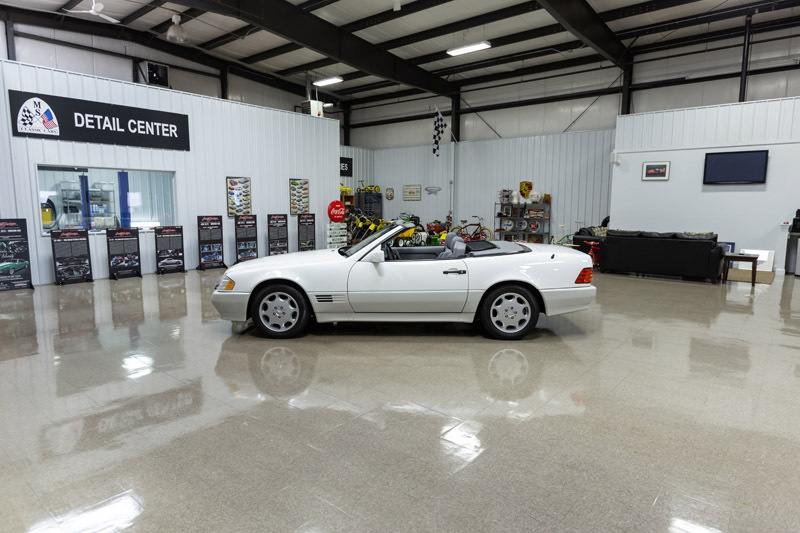 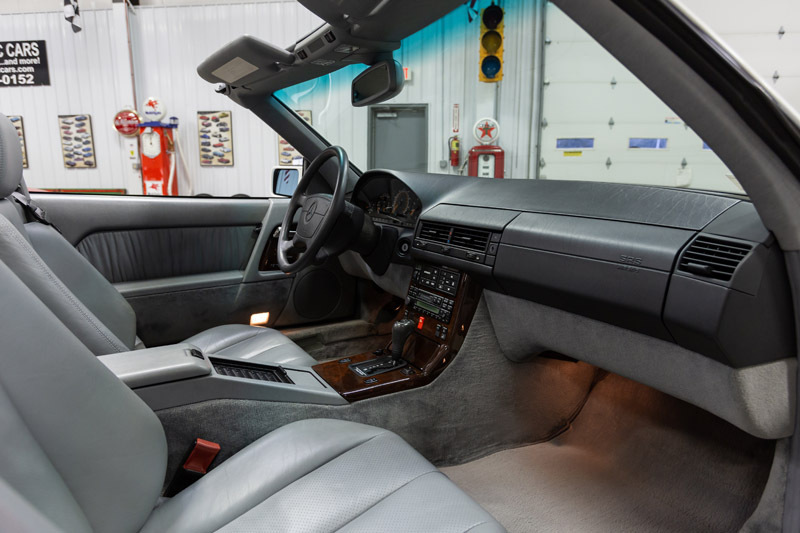 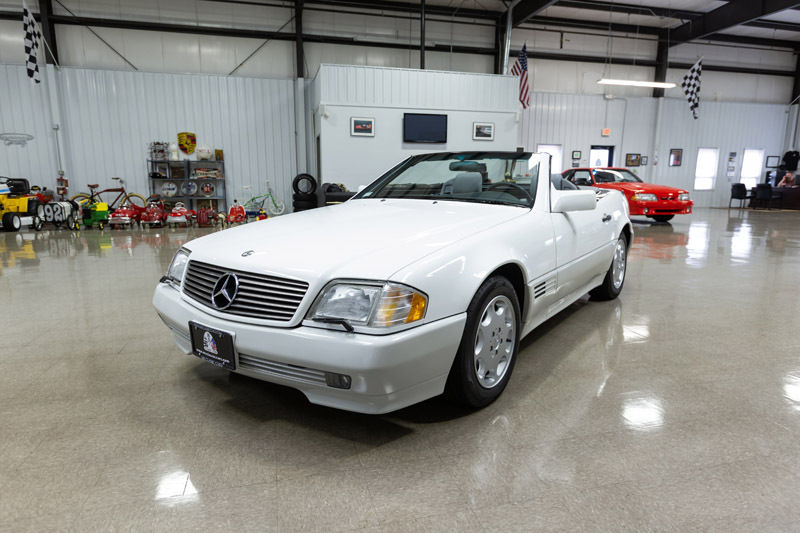 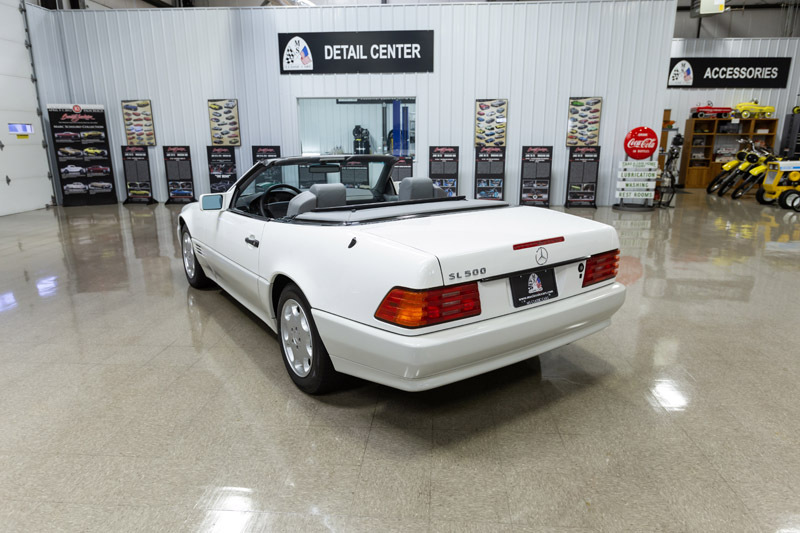 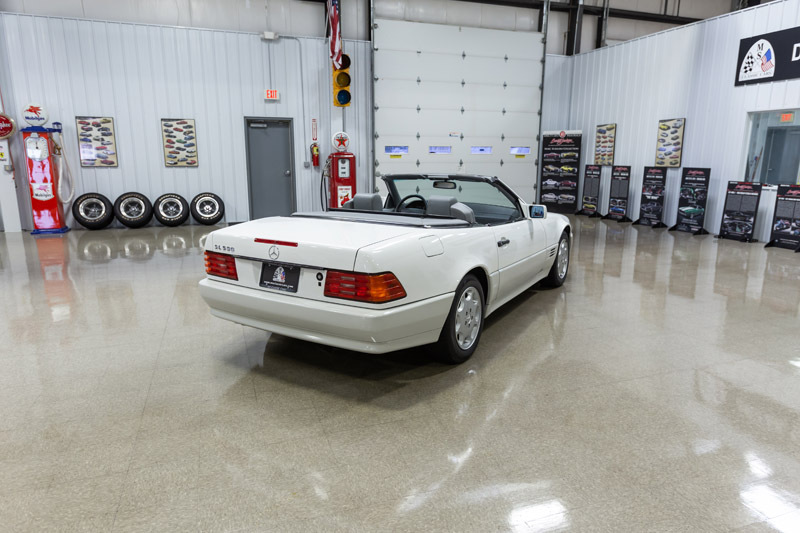 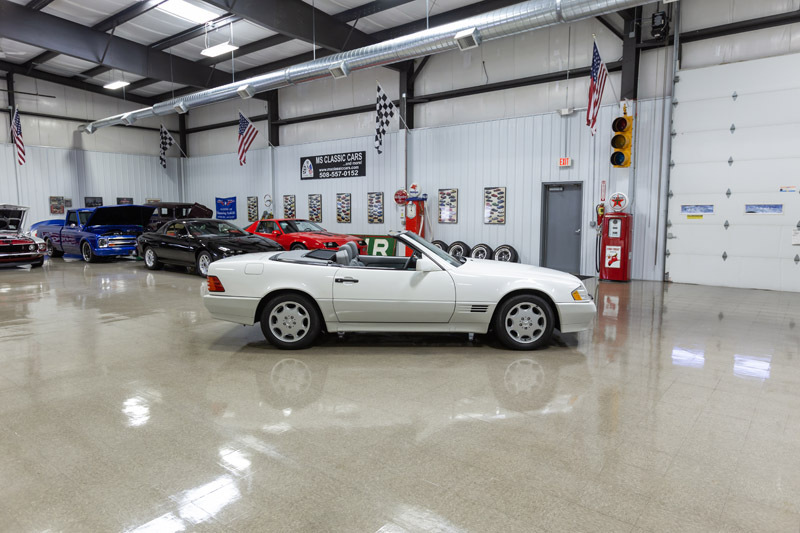 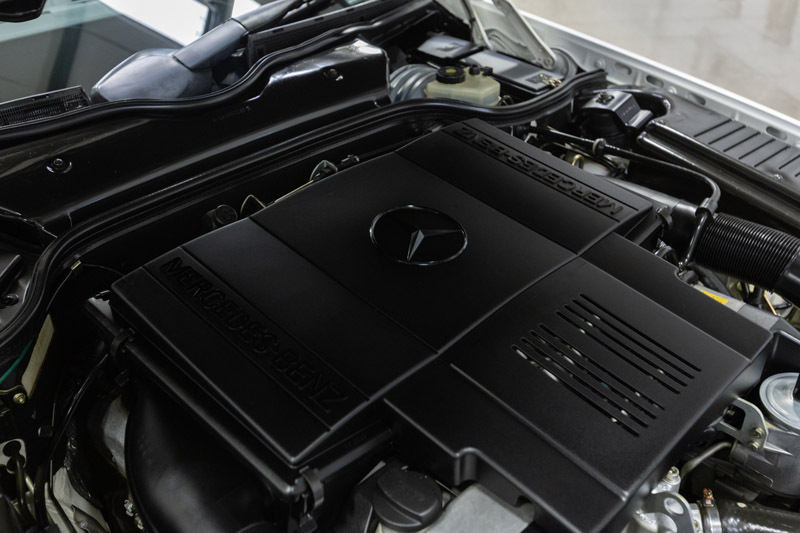 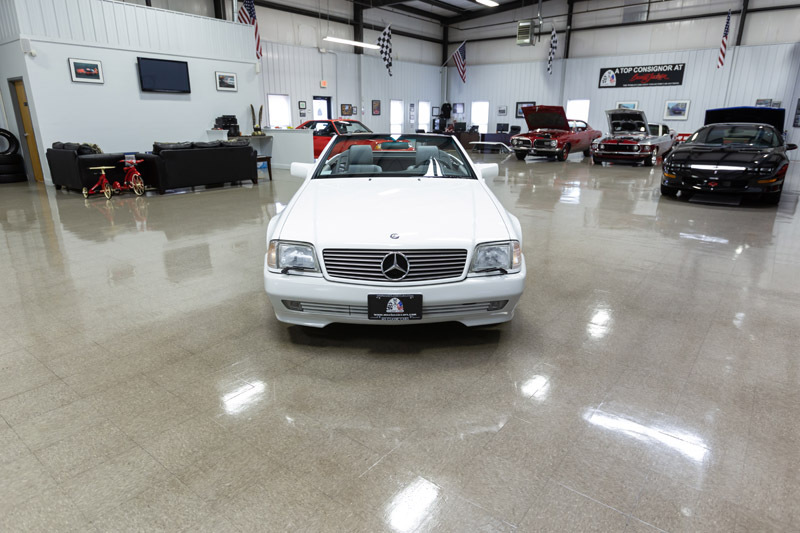 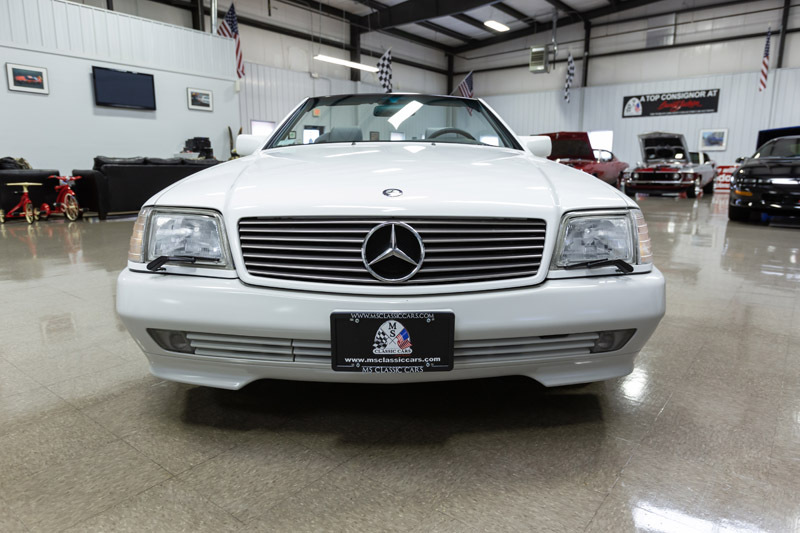 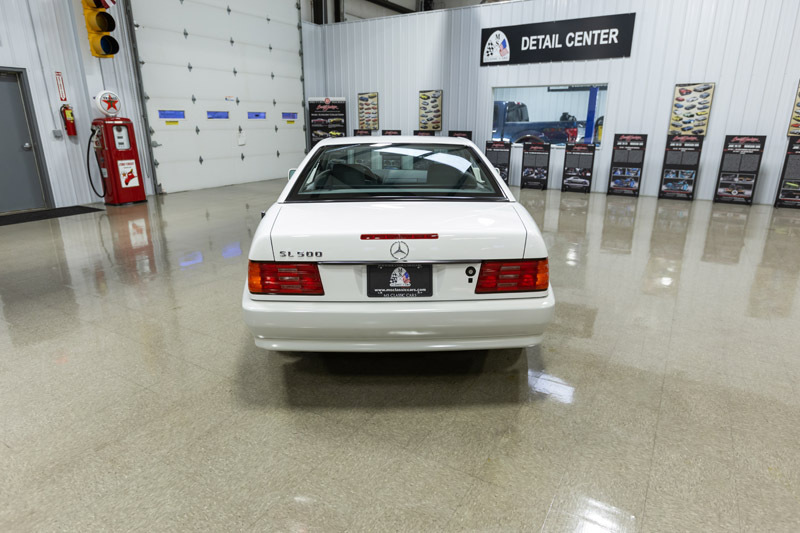 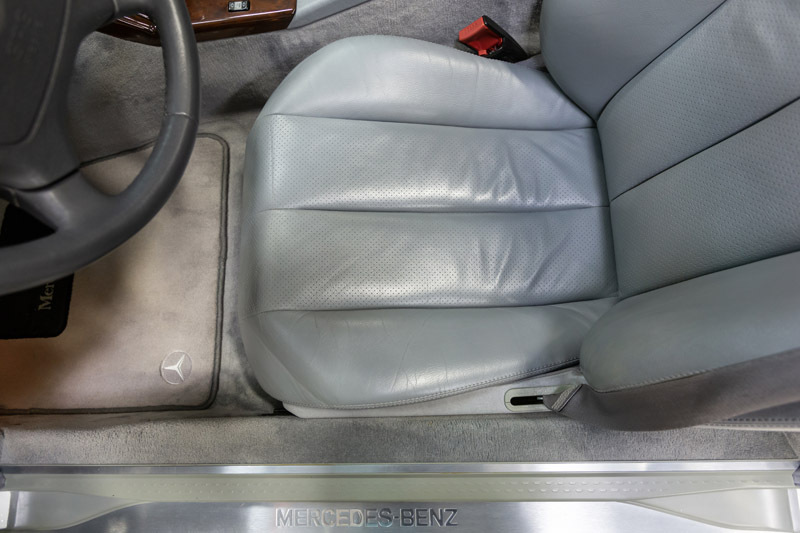 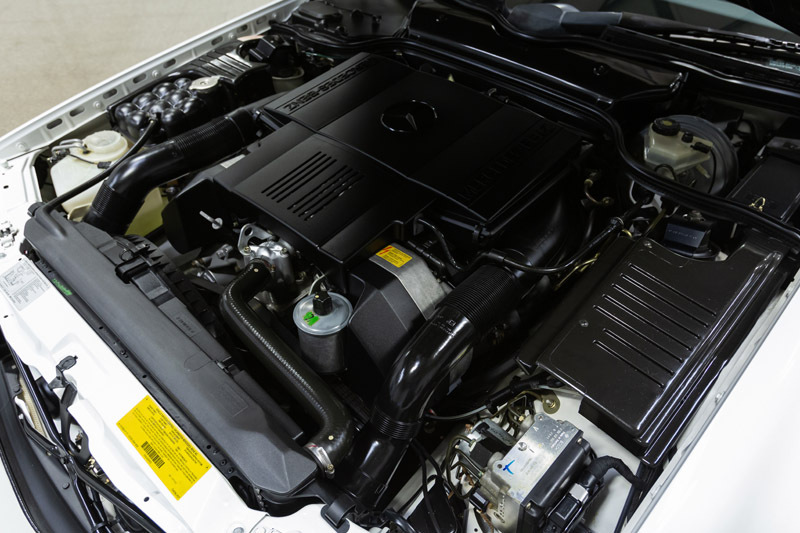 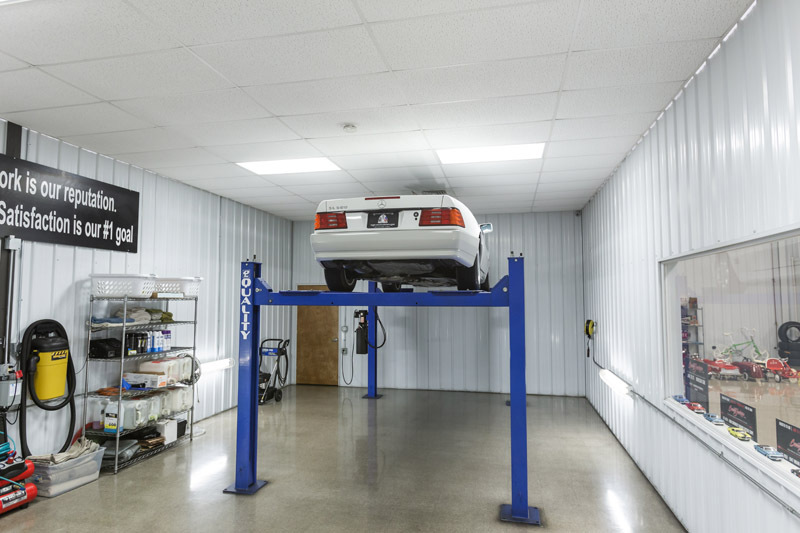 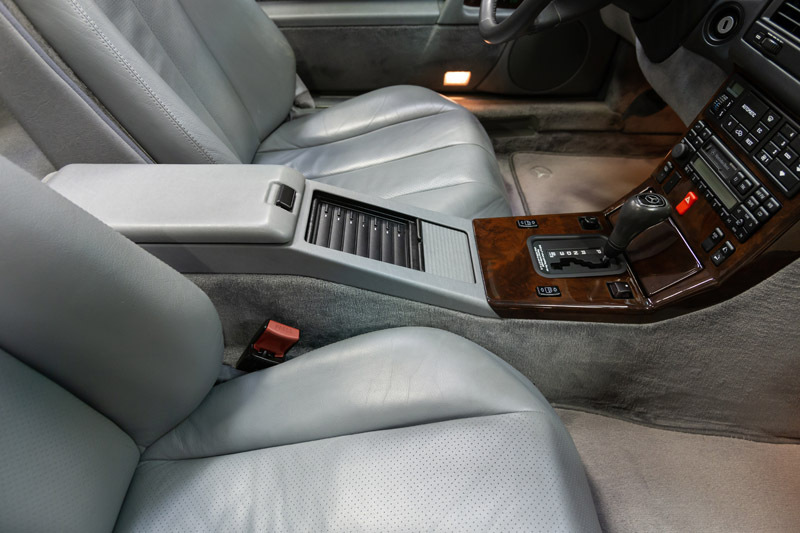 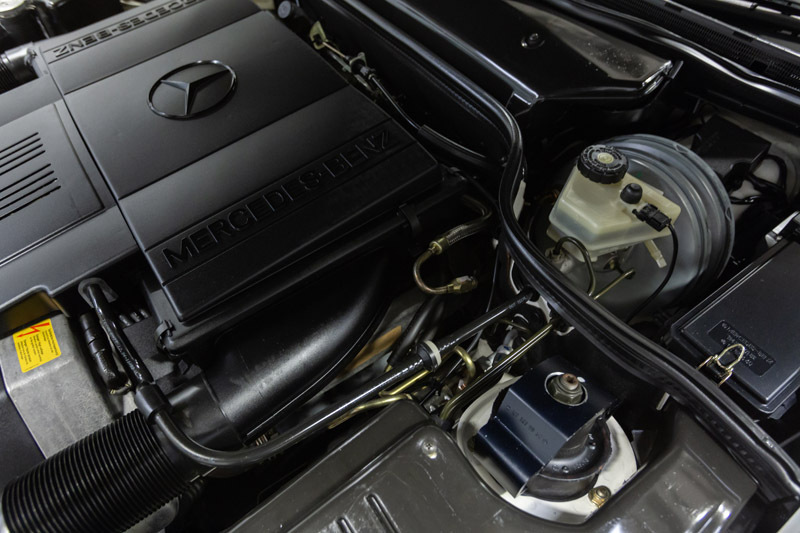 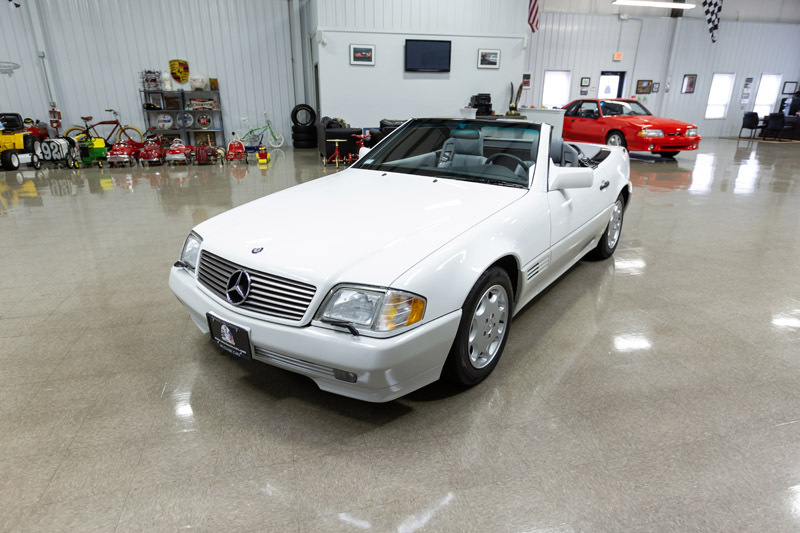 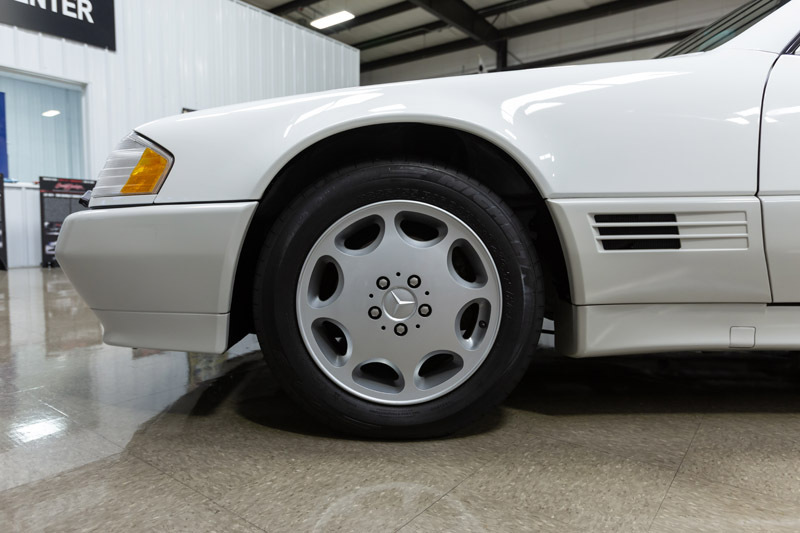 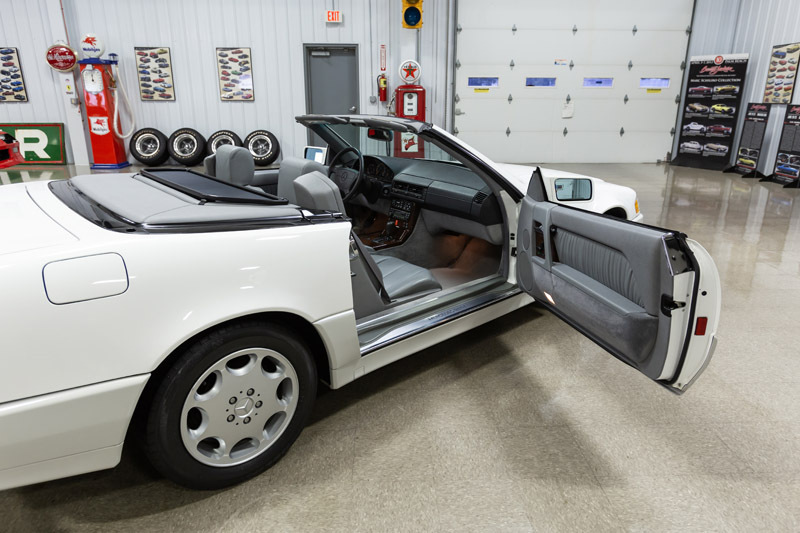 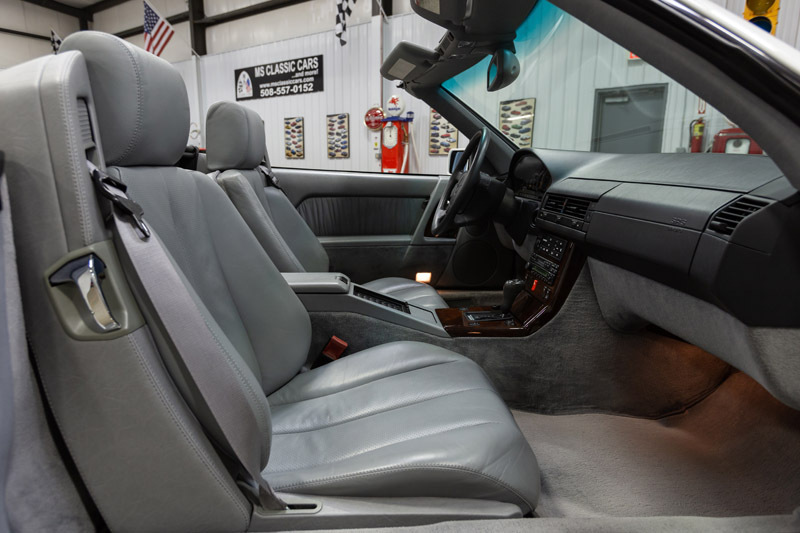 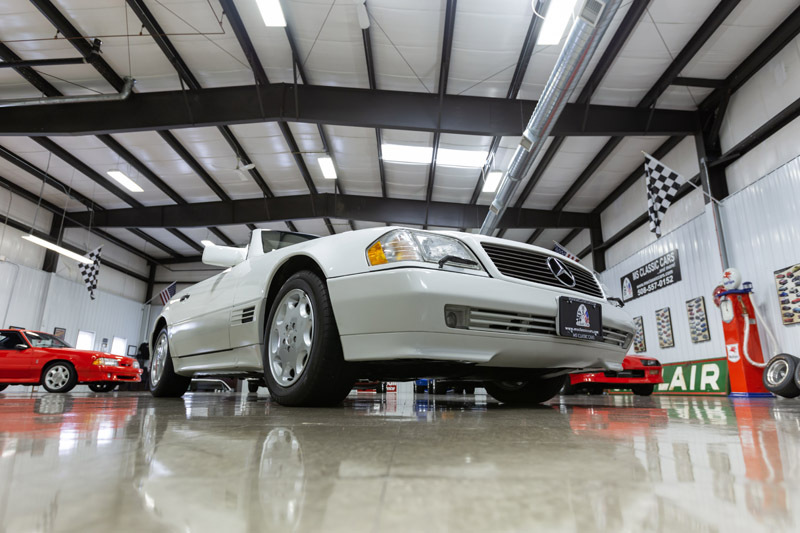 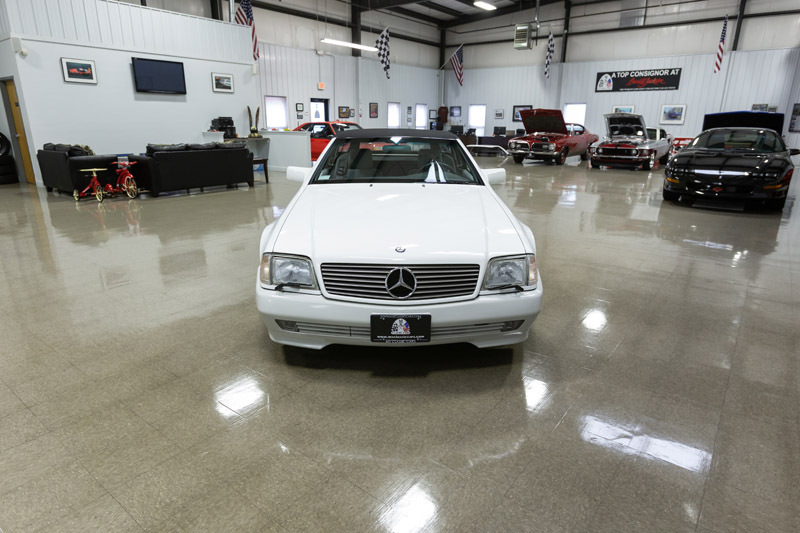 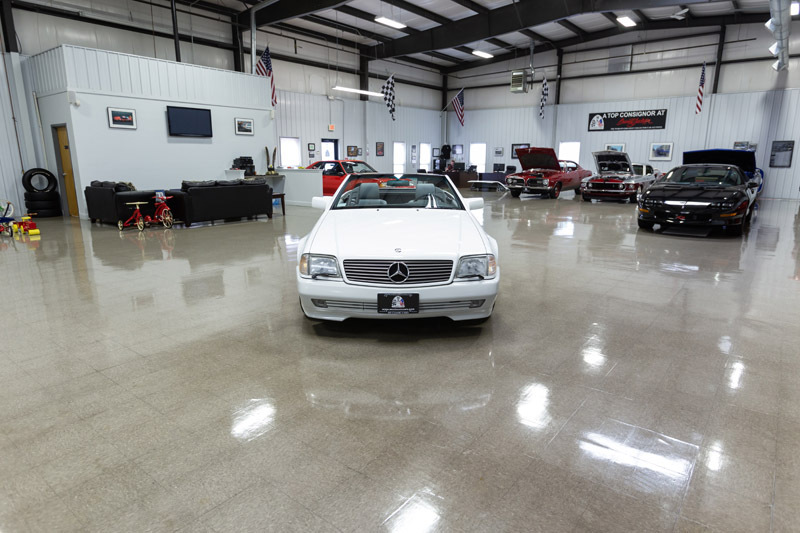 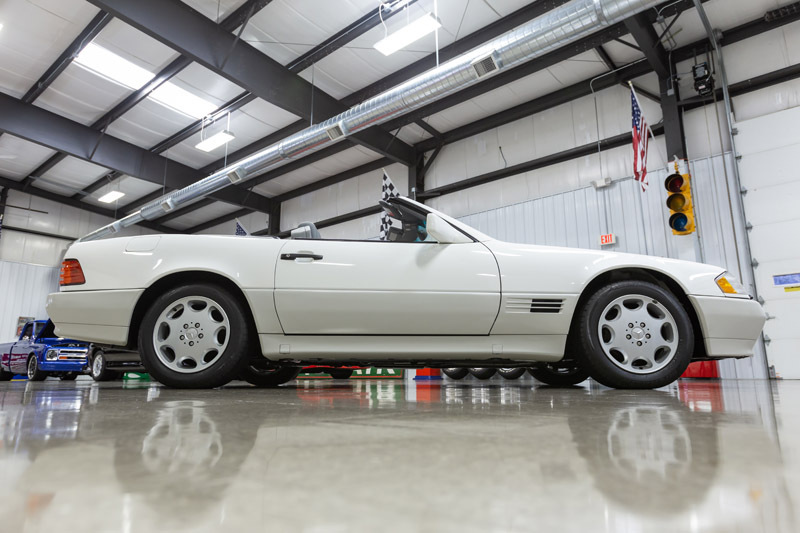 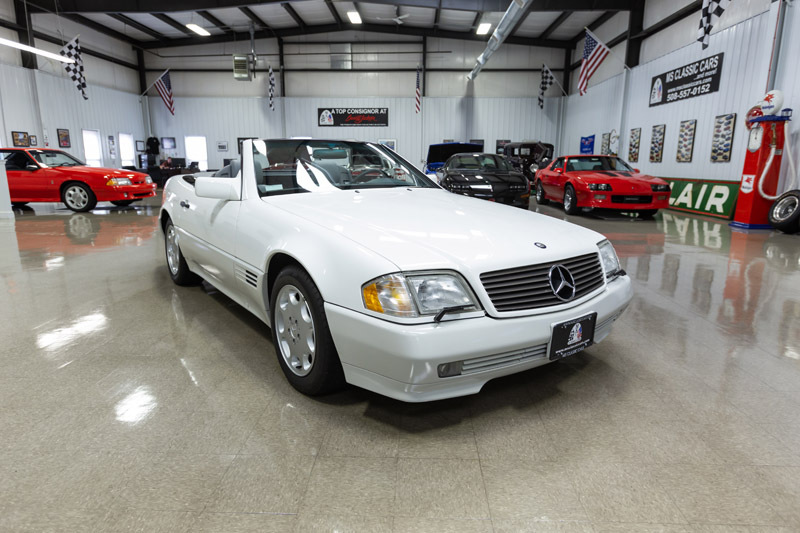 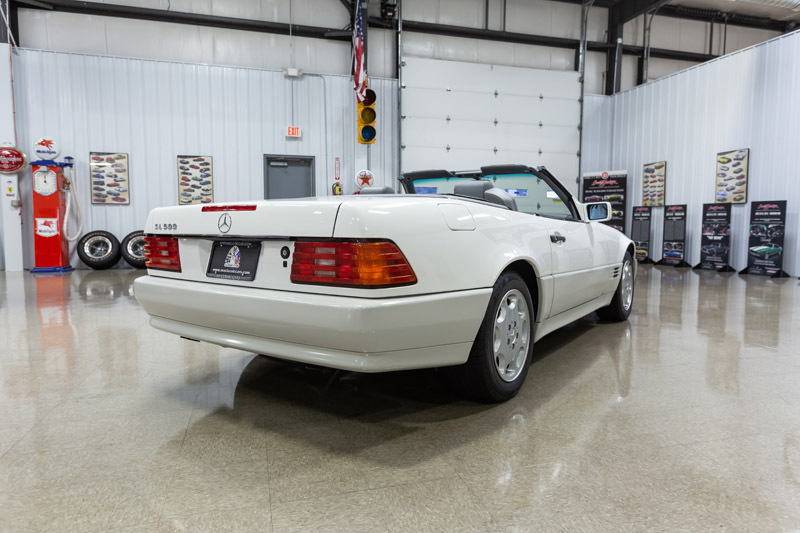 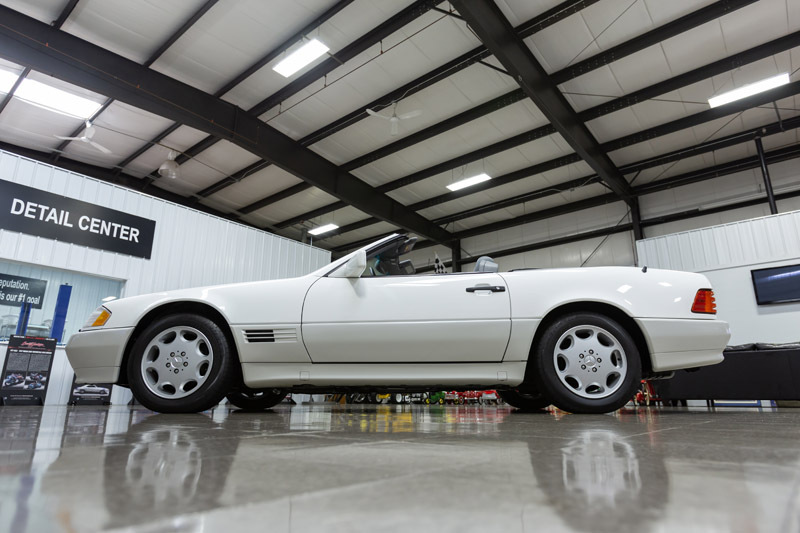 Spectacular example of a 1995 Mercedes-Benz SL500 w/ 31,245 original miles. 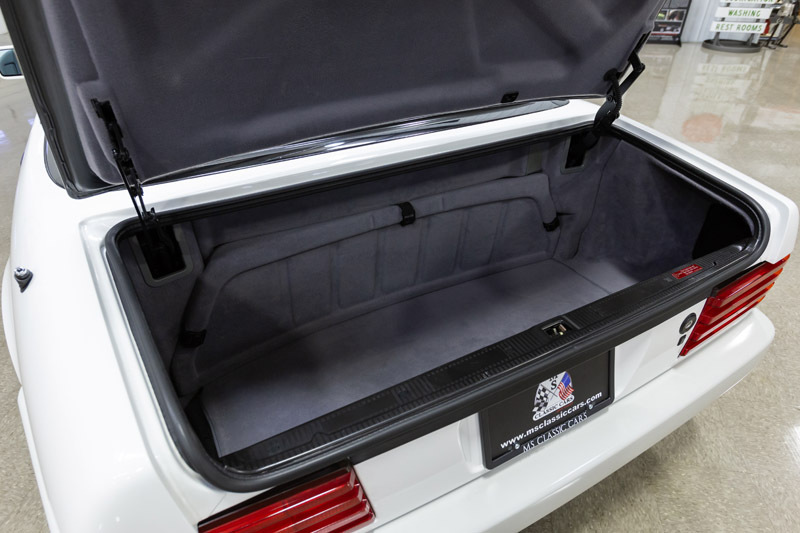 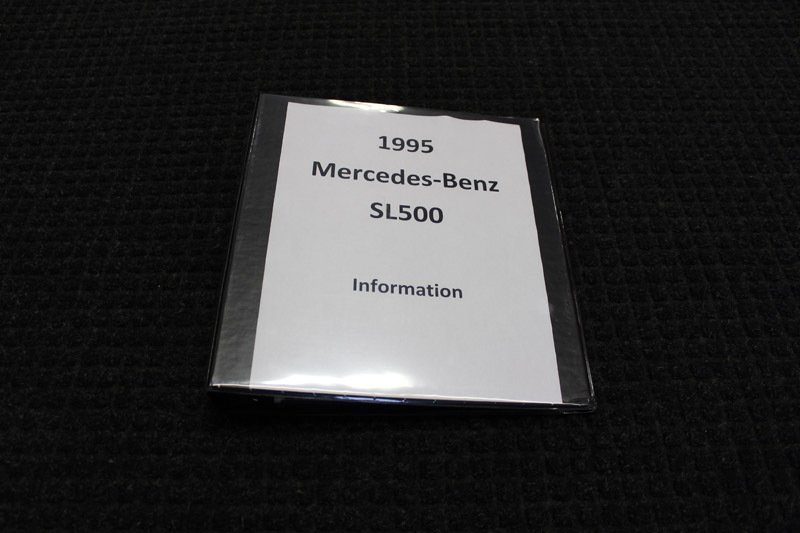 This SL500 was ordered from S.J. 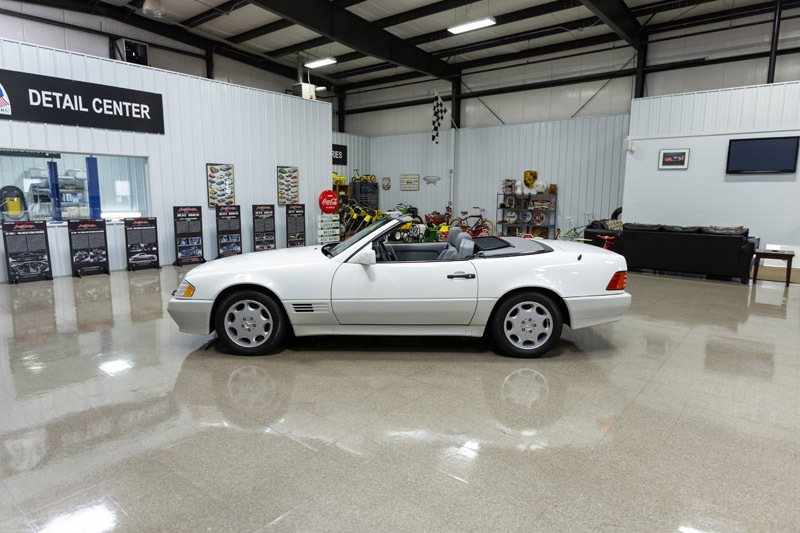 Glauser in Sarasota, FL. 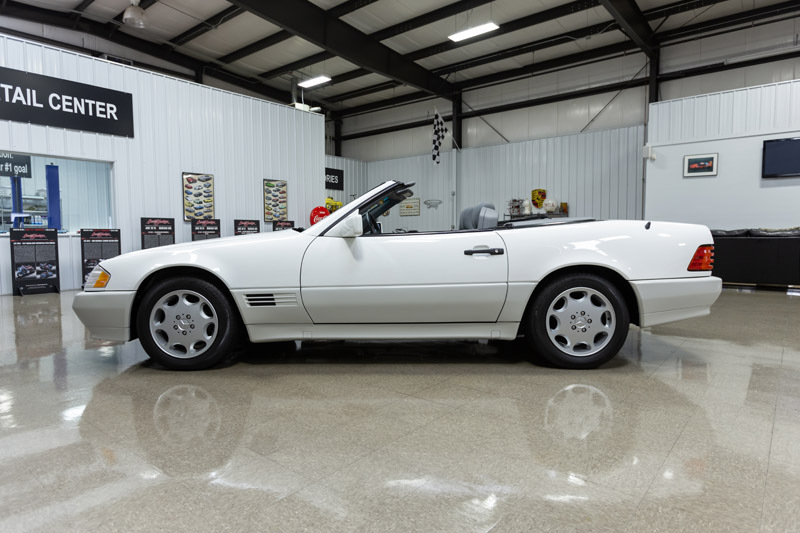 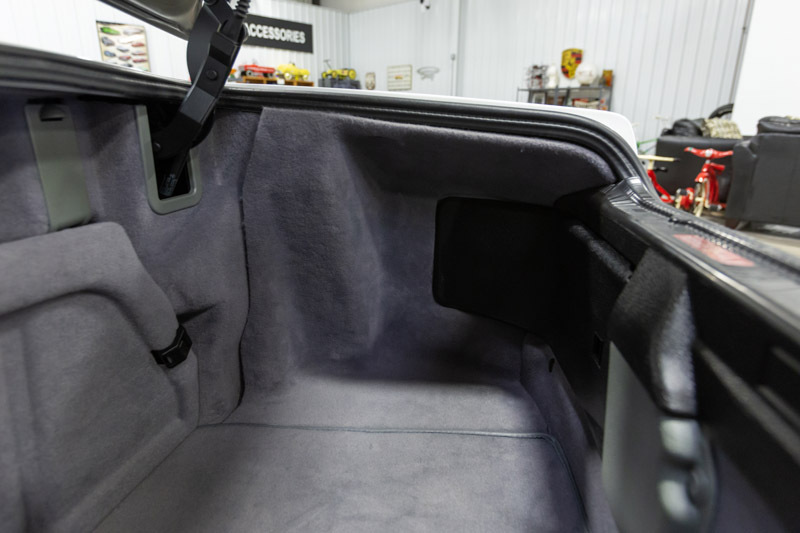 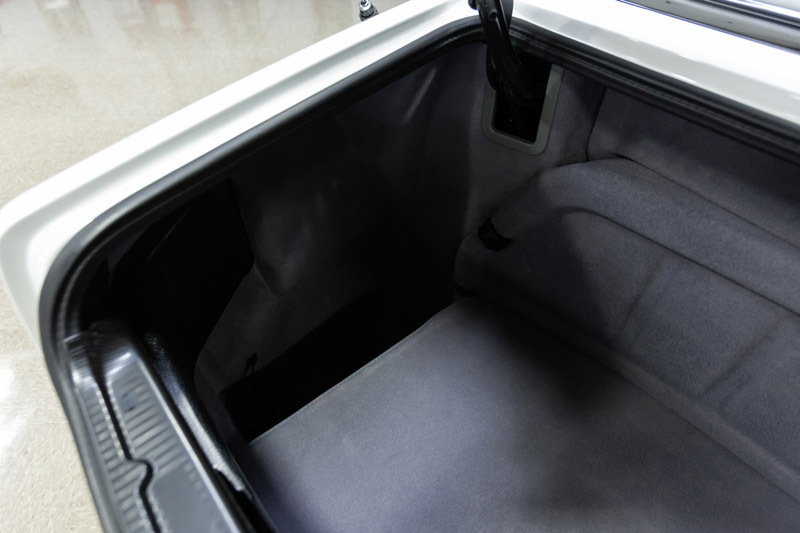 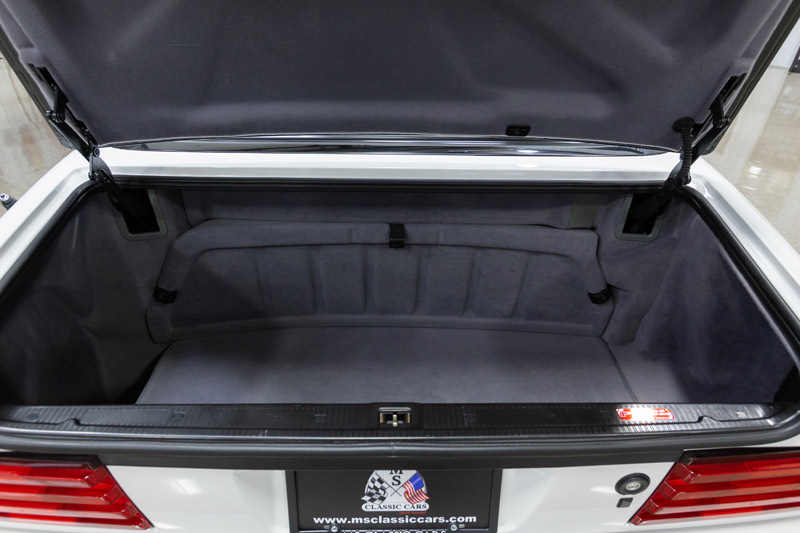 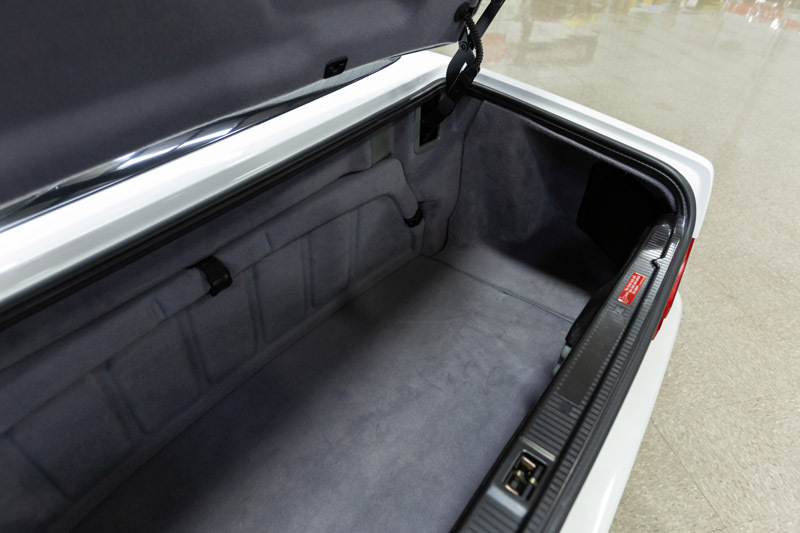 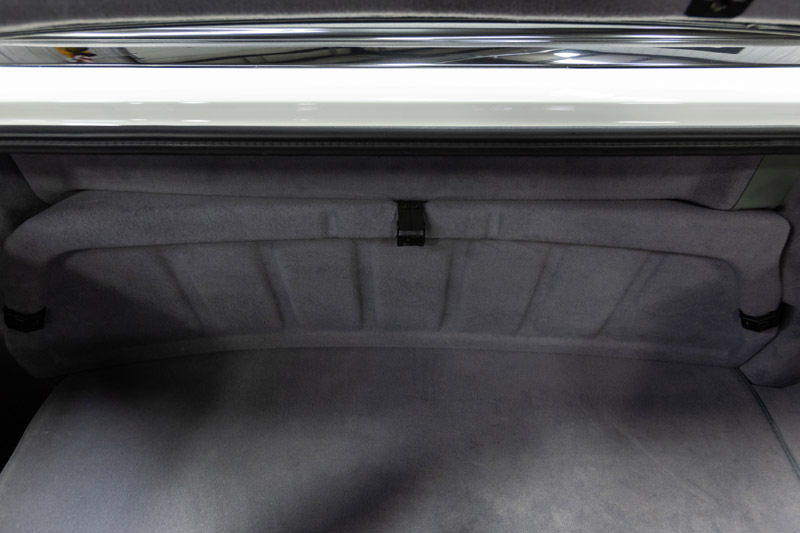 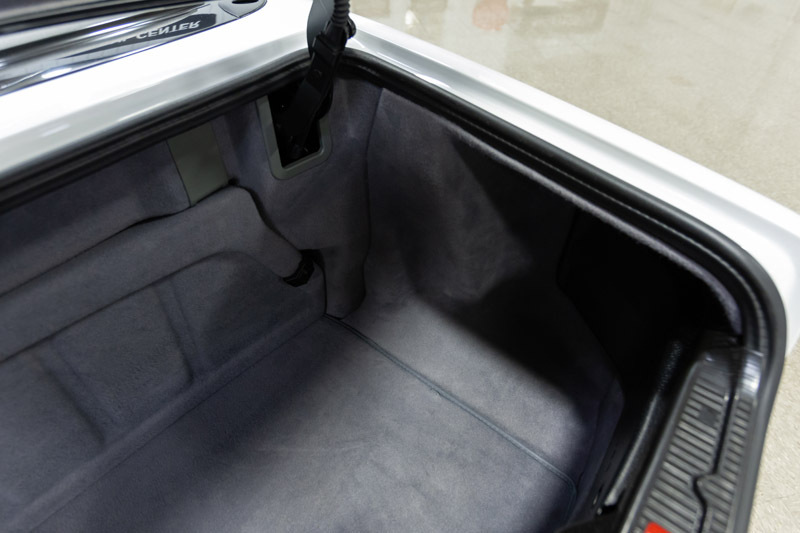 It was ordered in Polar White w/ a black soft top and grey leather. 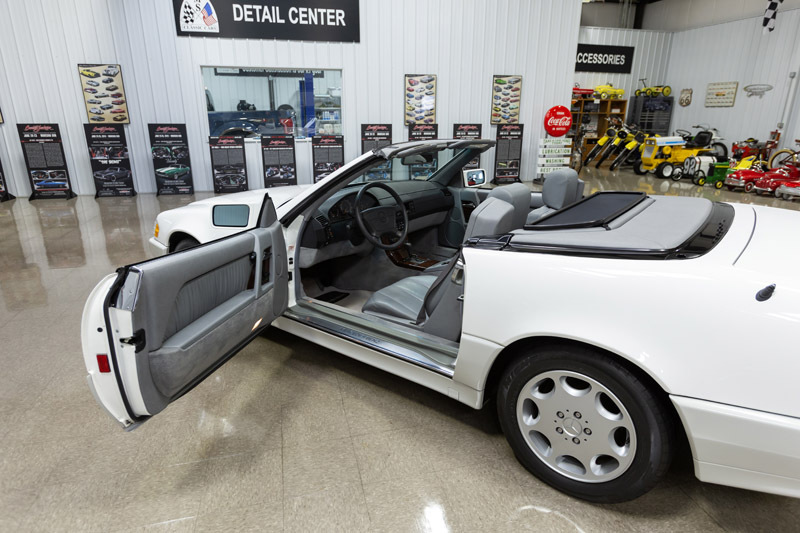 The car listed for $91,795.00 and came standard with many options such as driver and passenger airbags, integral seat belts, 4-wheel antilock power disc brakes, halogen headlamps w/ washers, fog lights, heated windshield washing system, heated rear window on hardtop, auto slip contact, alloy wheels, cruise control, remote central locking, fully automatic soft top, power windows, automatic roll bar, power tilt/telescopic steering wheel, power front seats/mirrors, leather upholstery, wind deflector, automatic climate control w/ dust filter, AM/FM/WB/CASS radio w/ CD changer ready and Bose sound system. 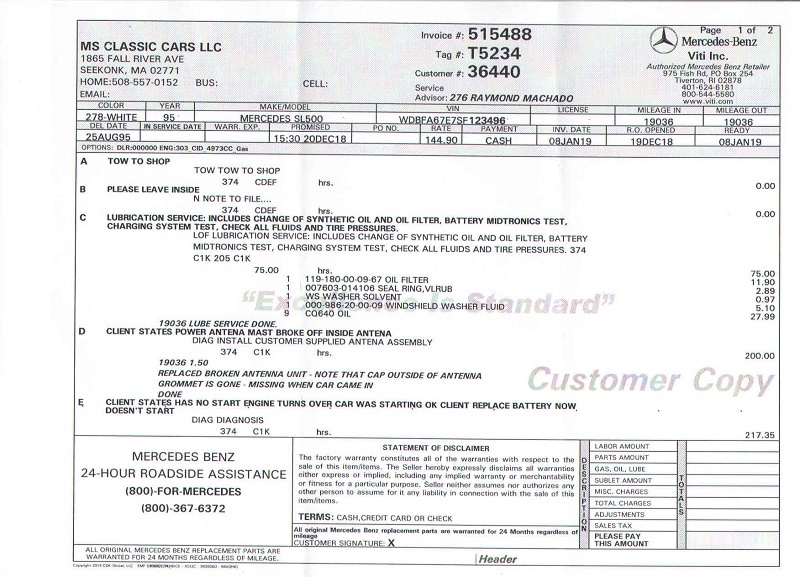 Once the car arrived it was swapped to Contemporary Cars in Maitland, FL. 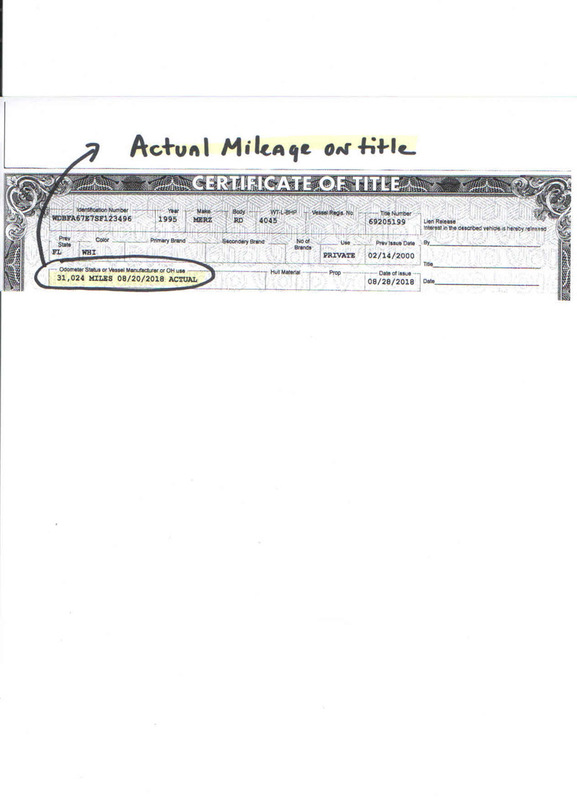 It was retailed on August 25th, 1995 to a woman who lived in Chuluota, FL. 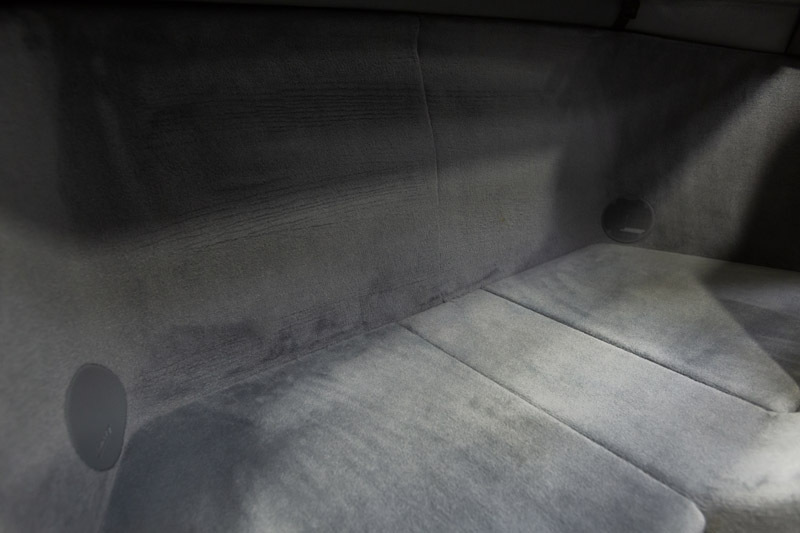 It remained within her family until now. 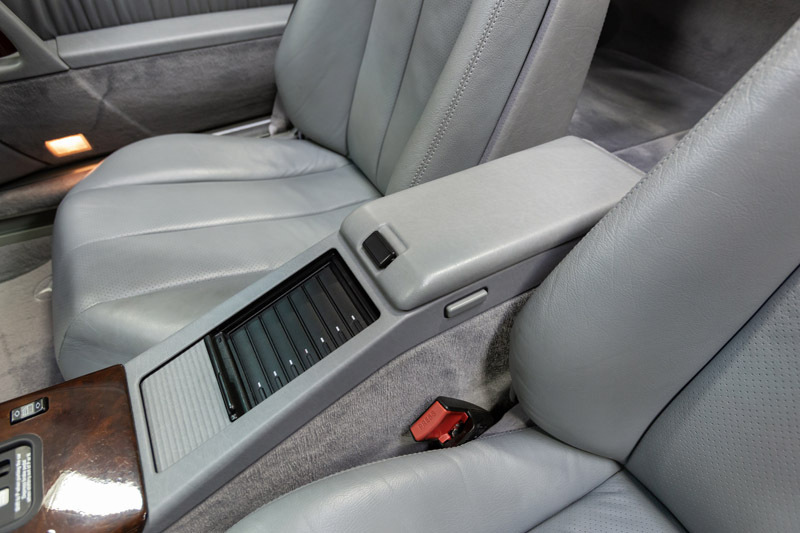 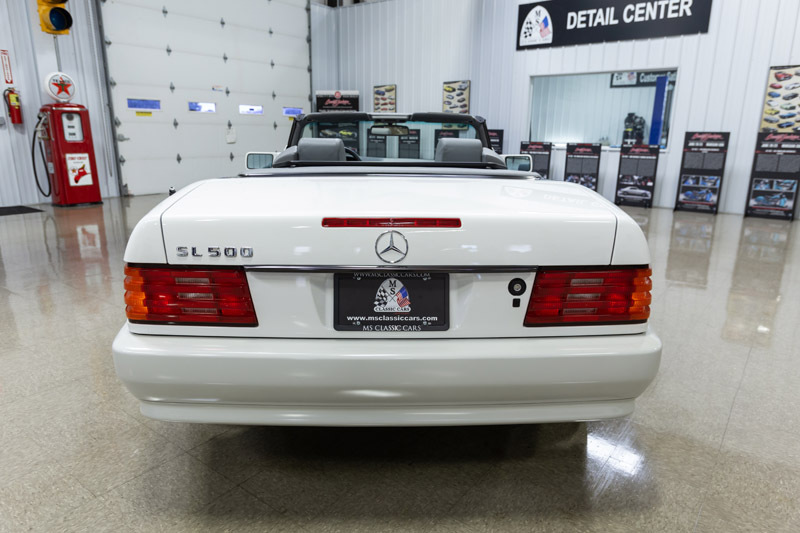 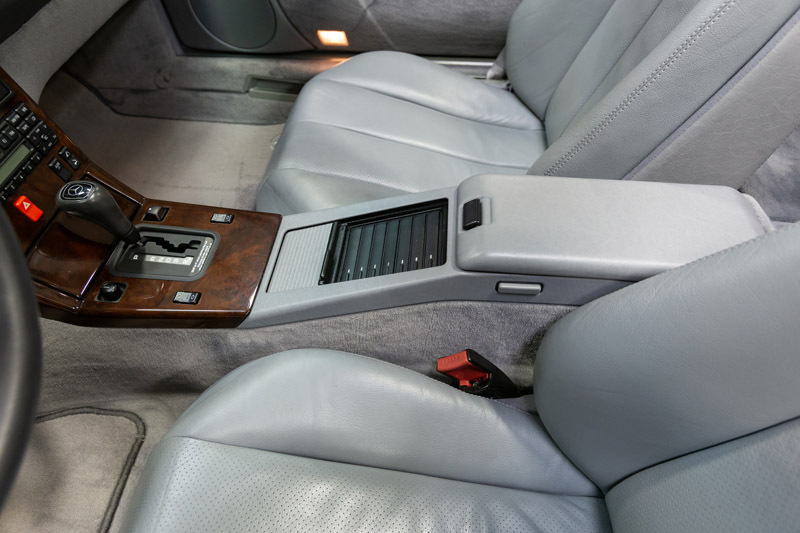 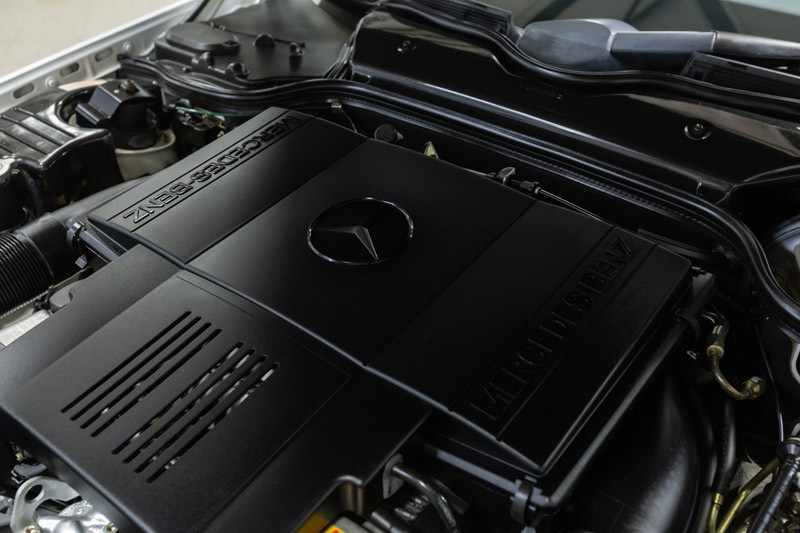 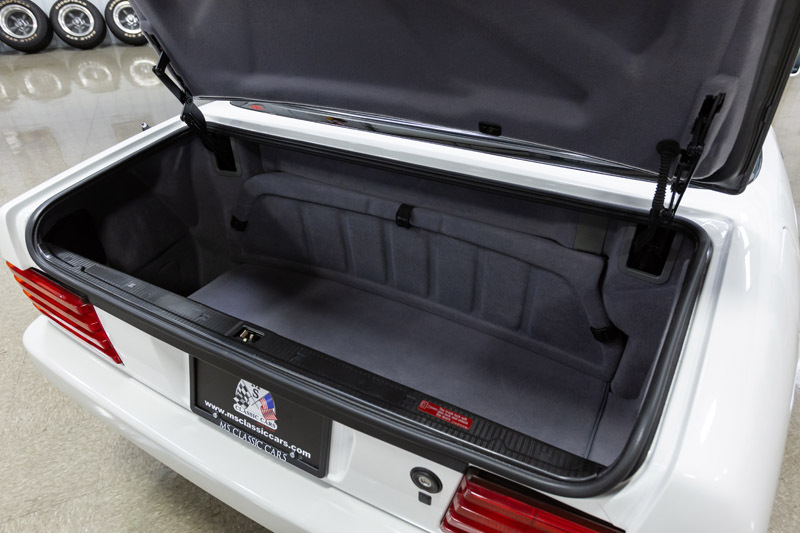 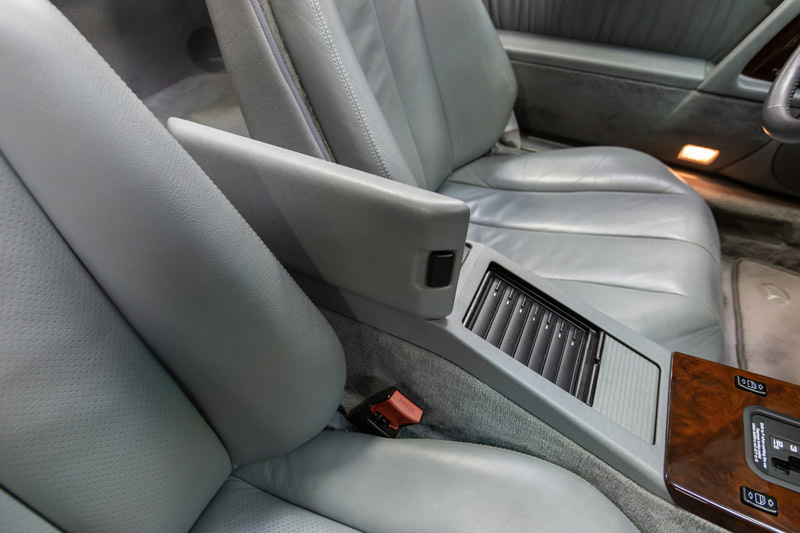 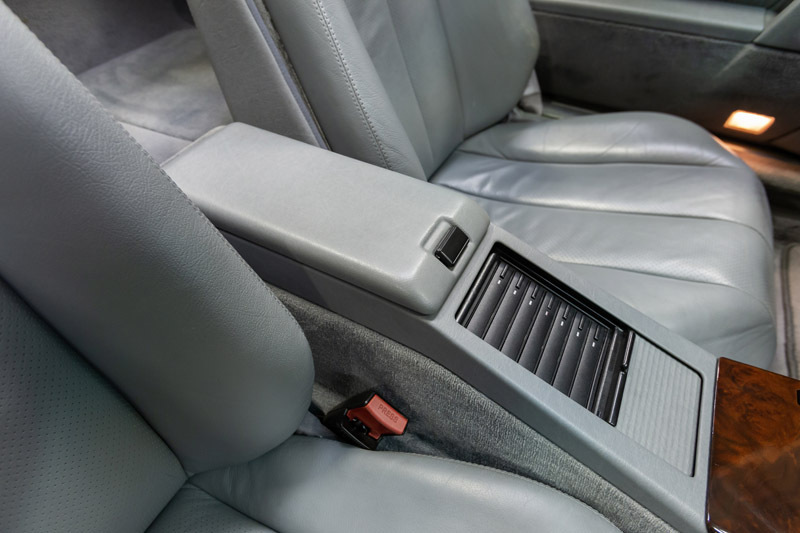 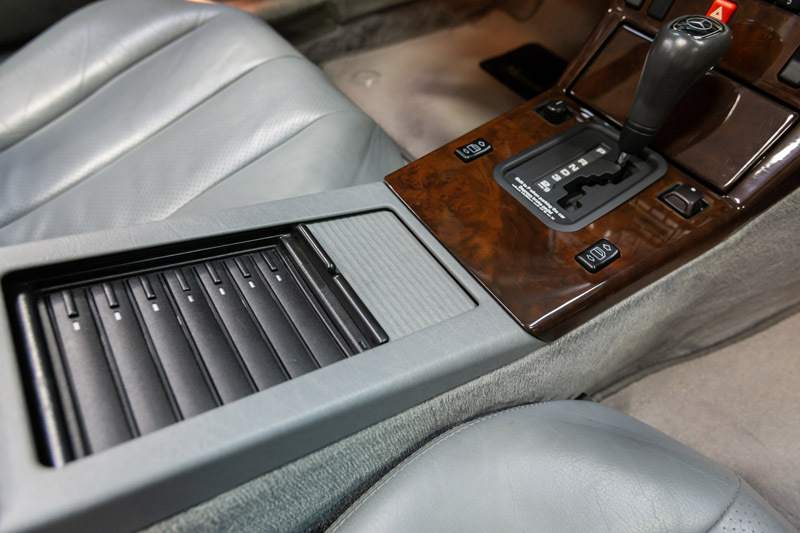 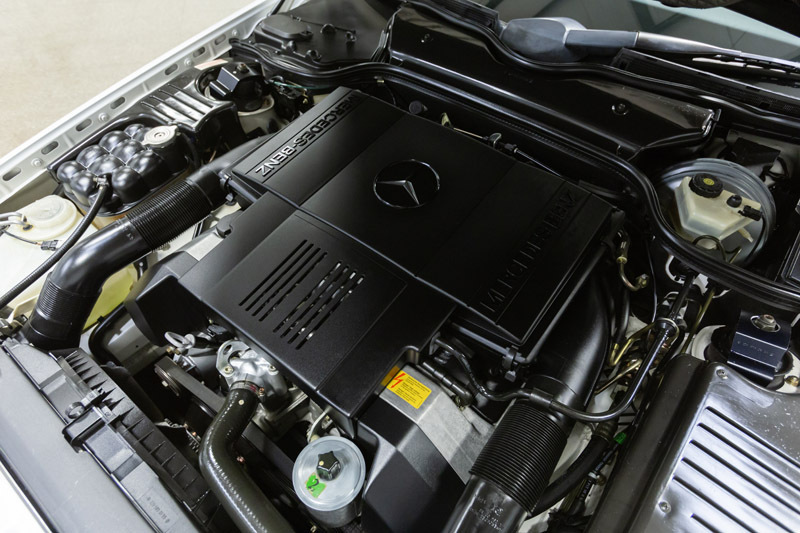 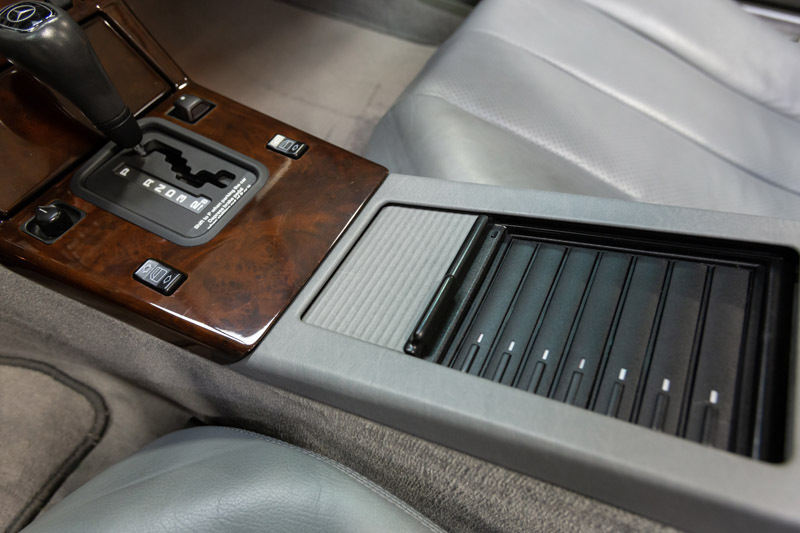 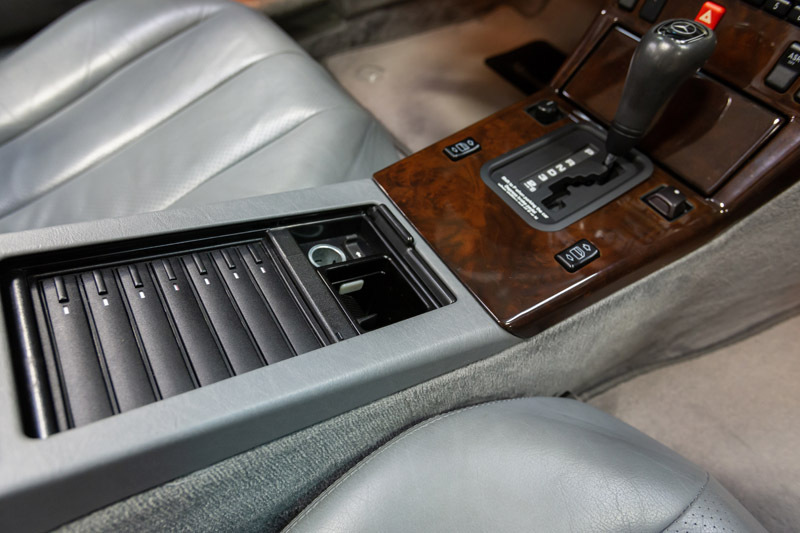 This SL500 is in mint condition from top to bottom. 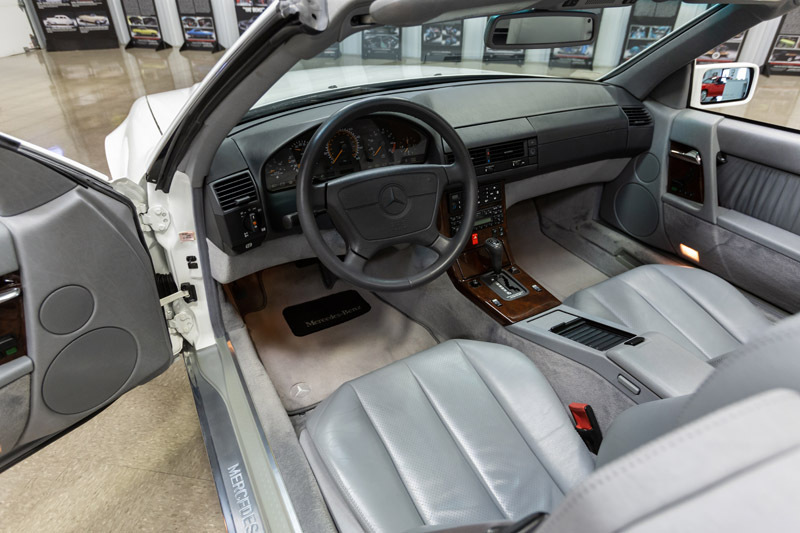 It truly looks like a time capsule. 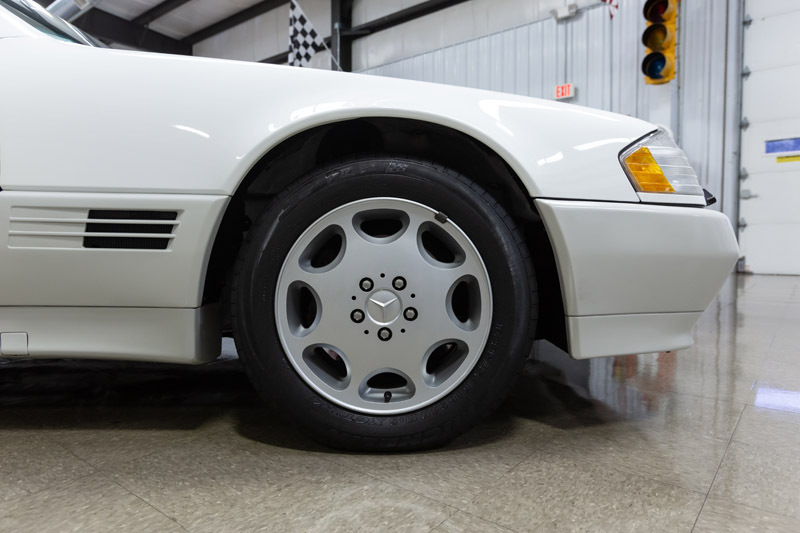 It’s in original condition with no modifications. 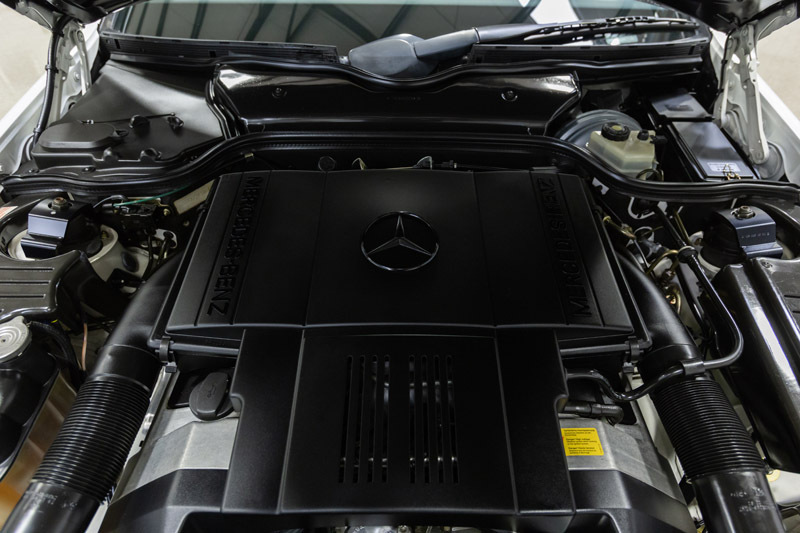 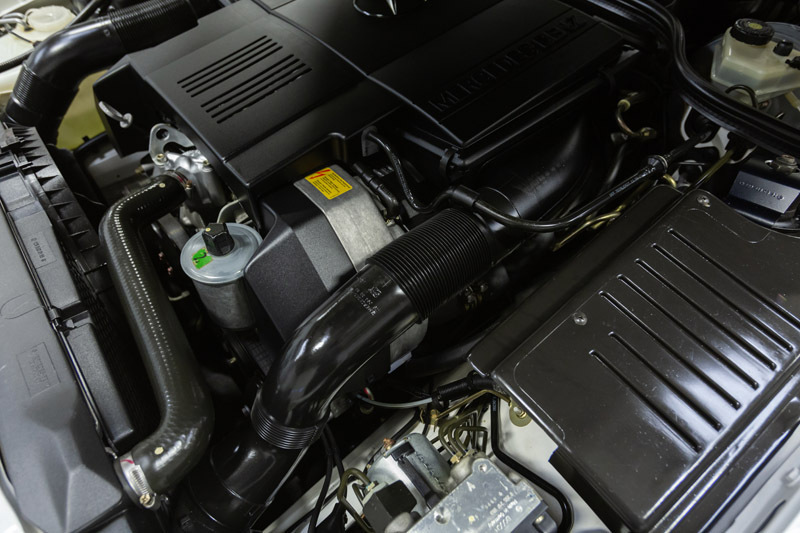 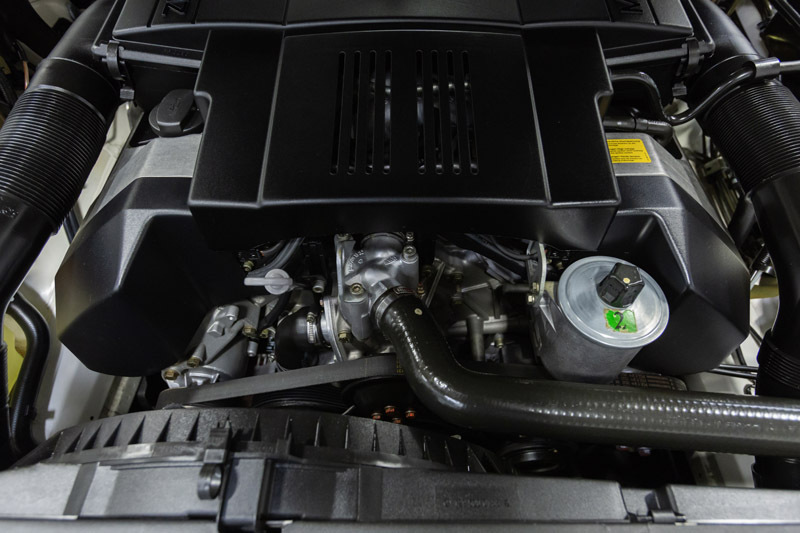 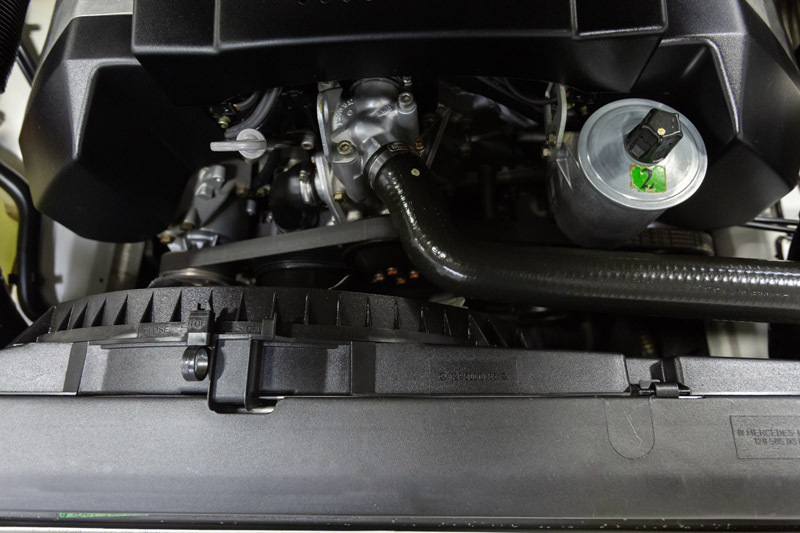 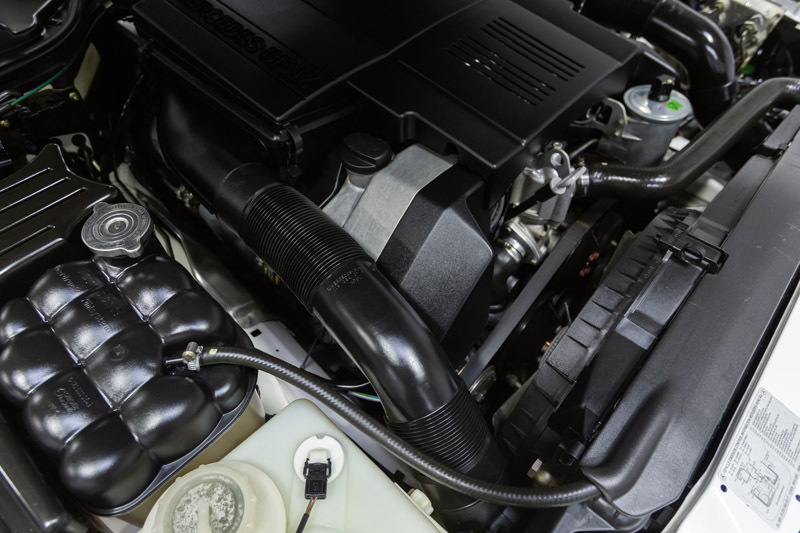 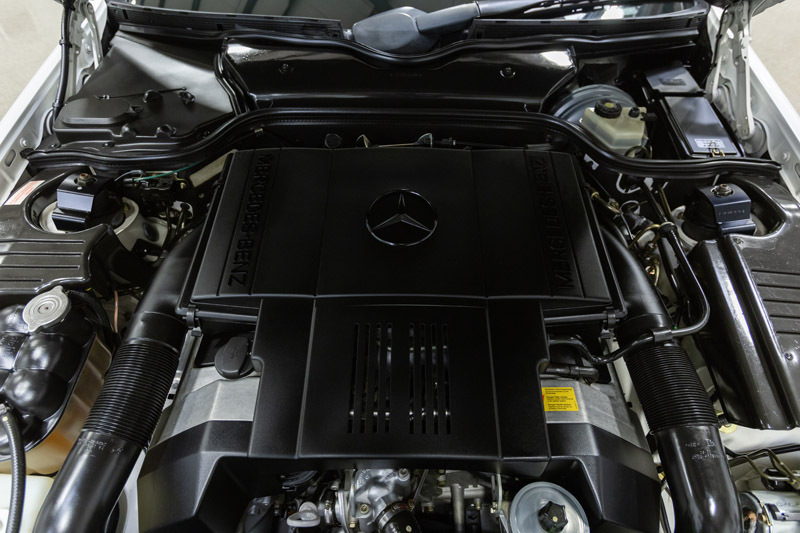 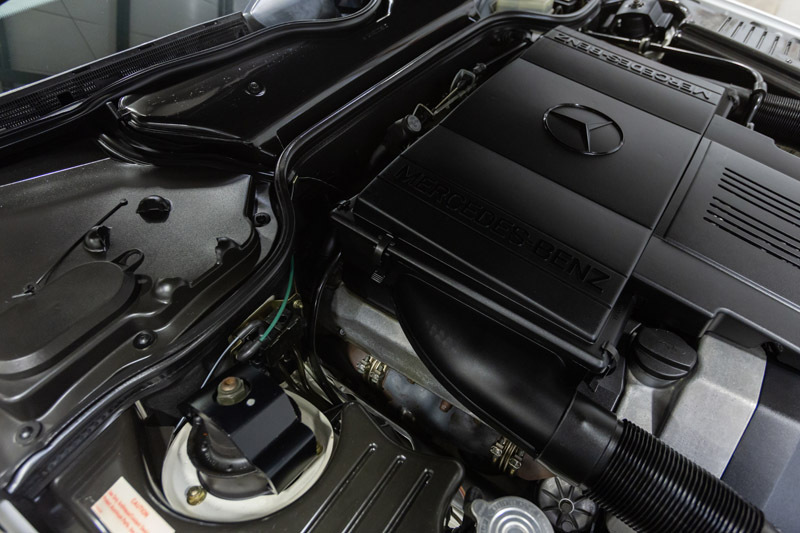 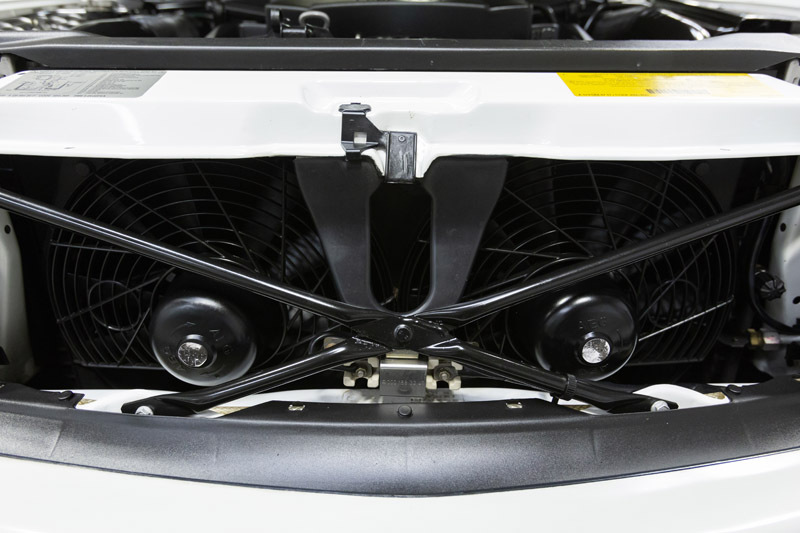 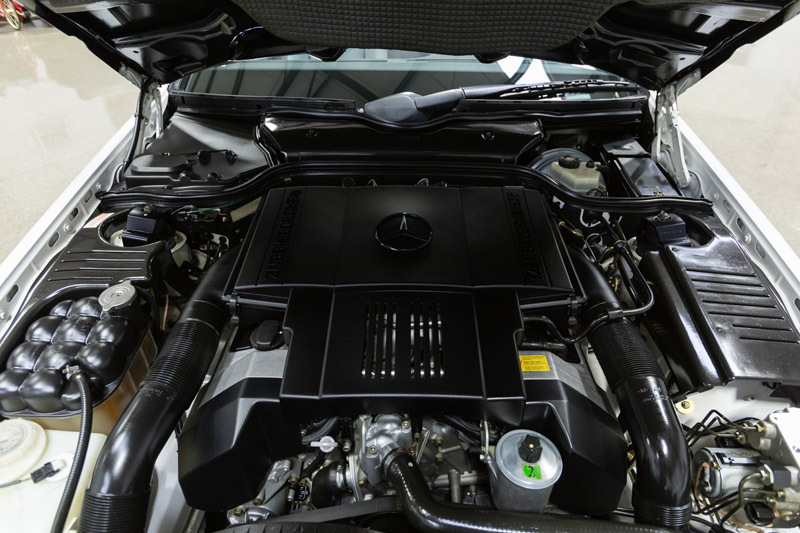 It’s powered by a 5.0L V8 w/ 315HP and is coupled to a 4-speed automatic transmission. 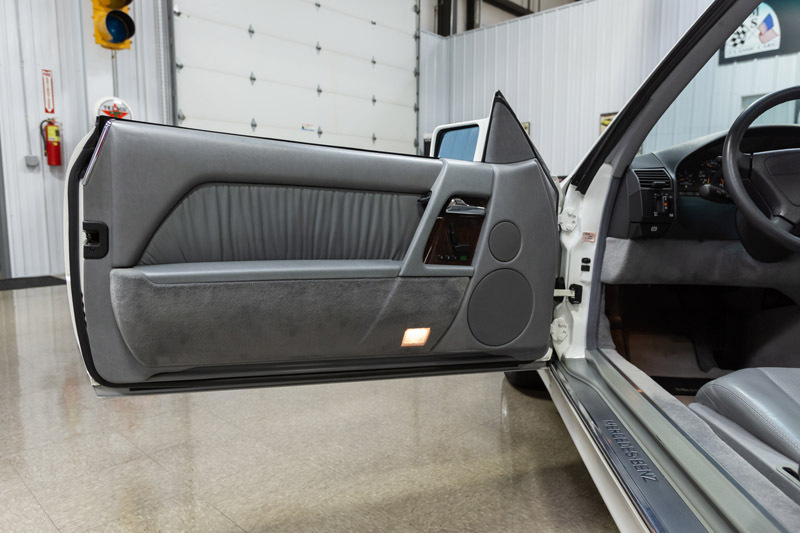 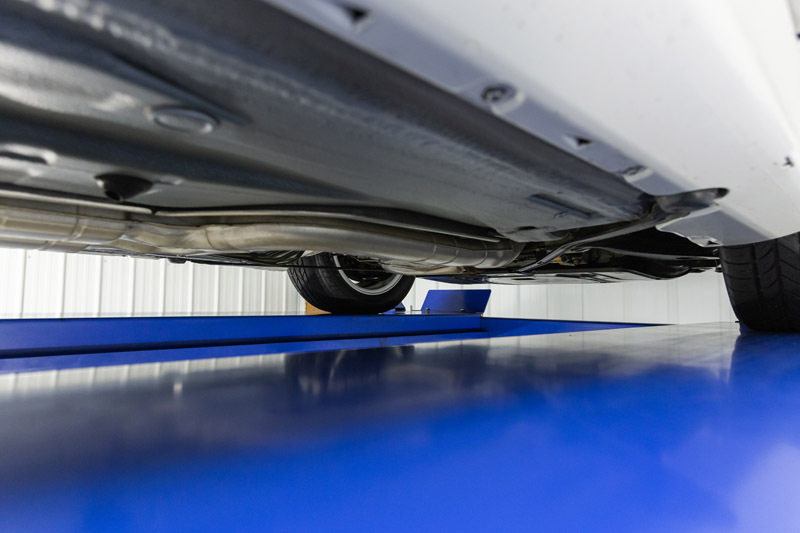 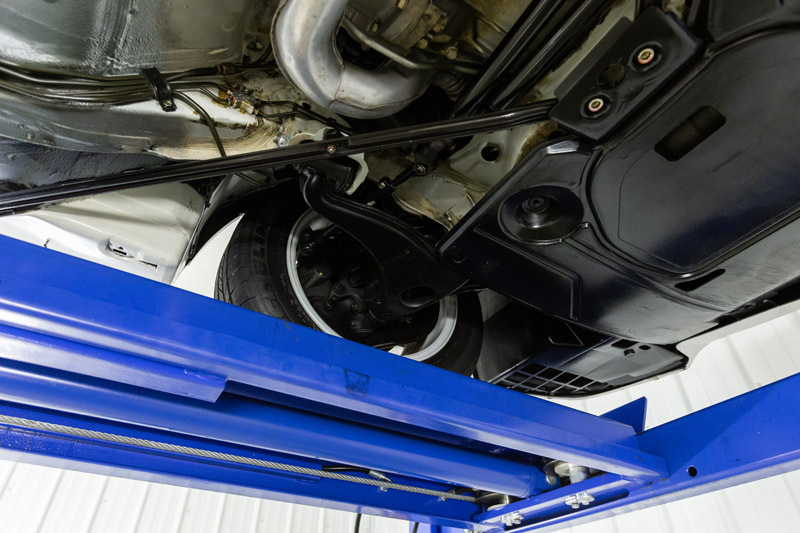 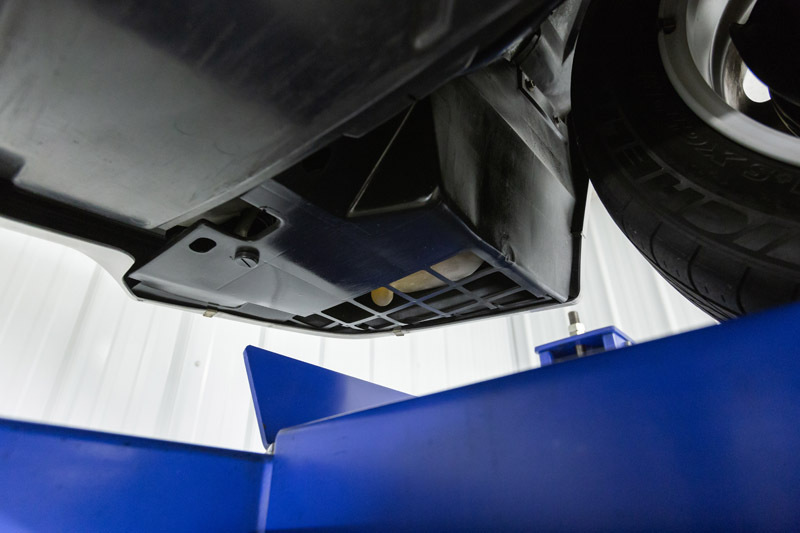 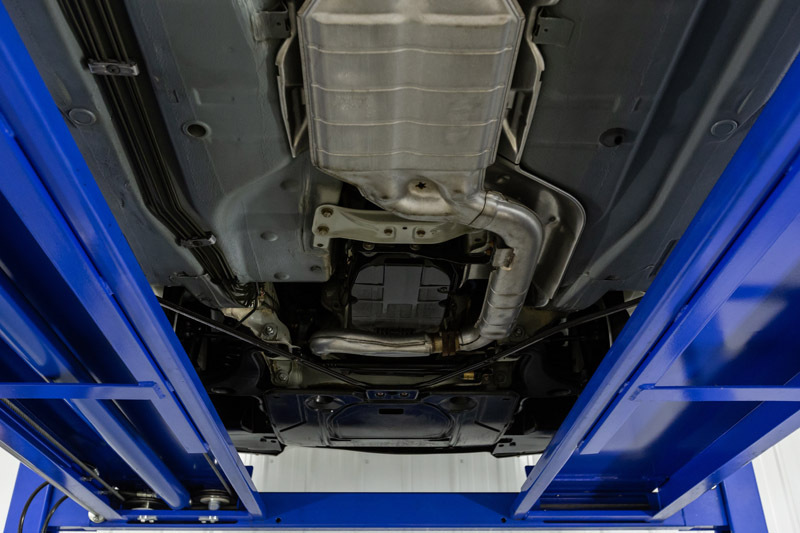 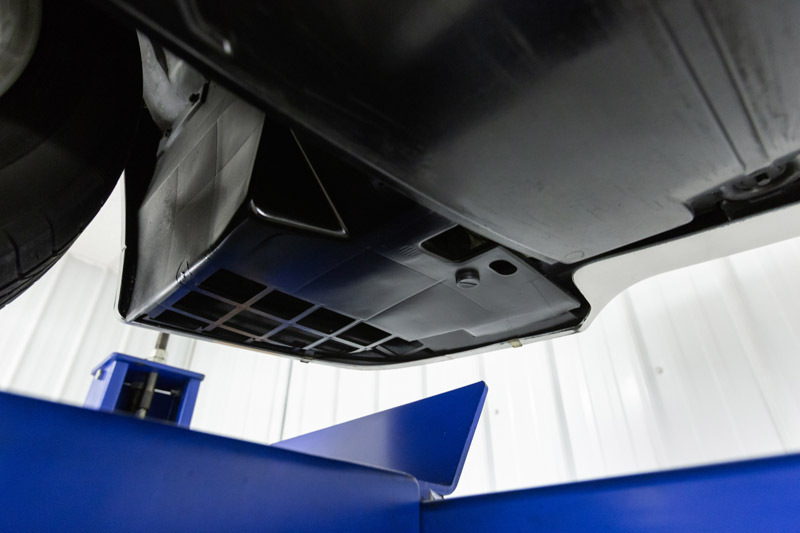 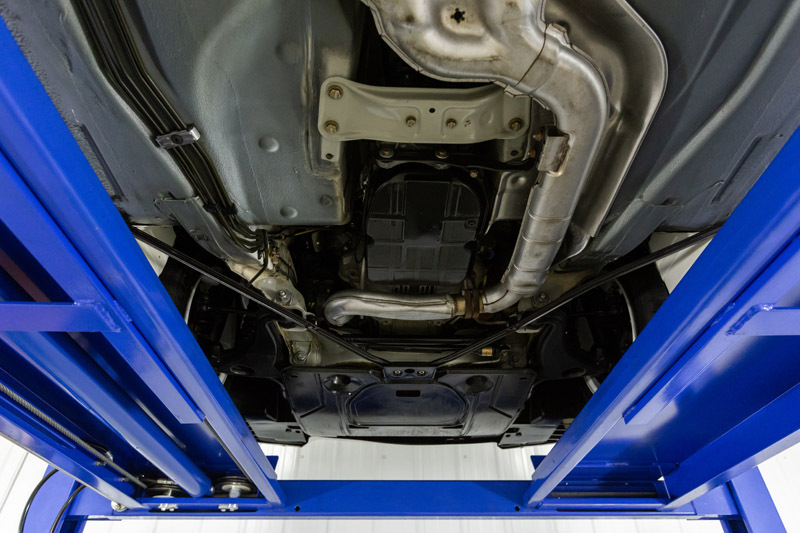 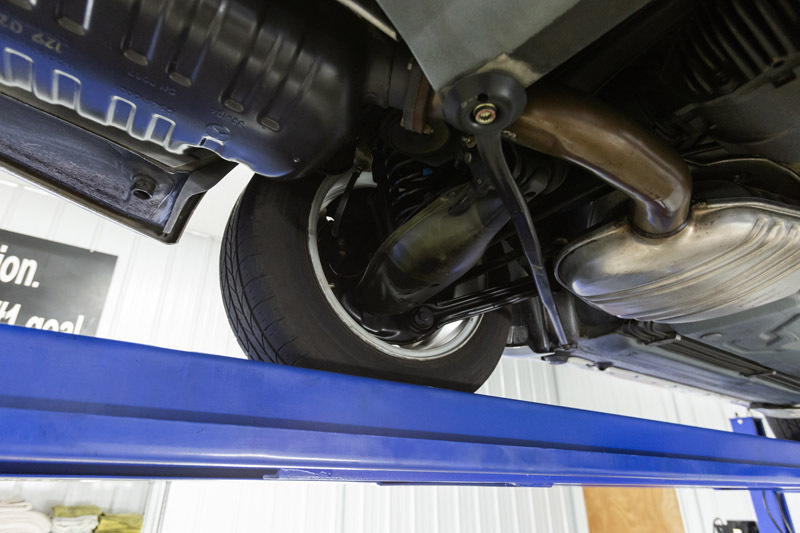 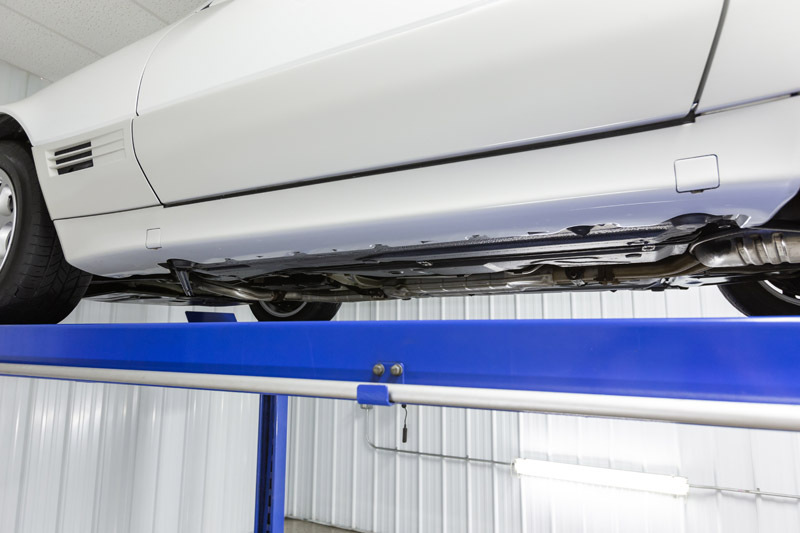 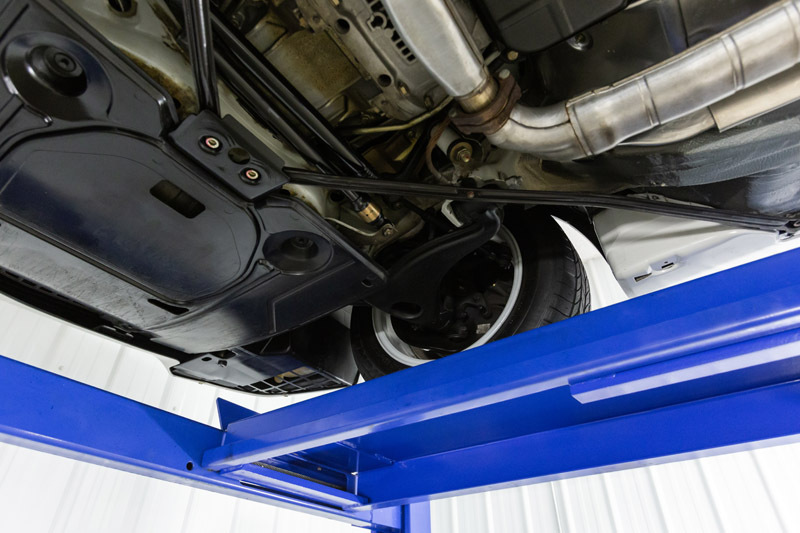 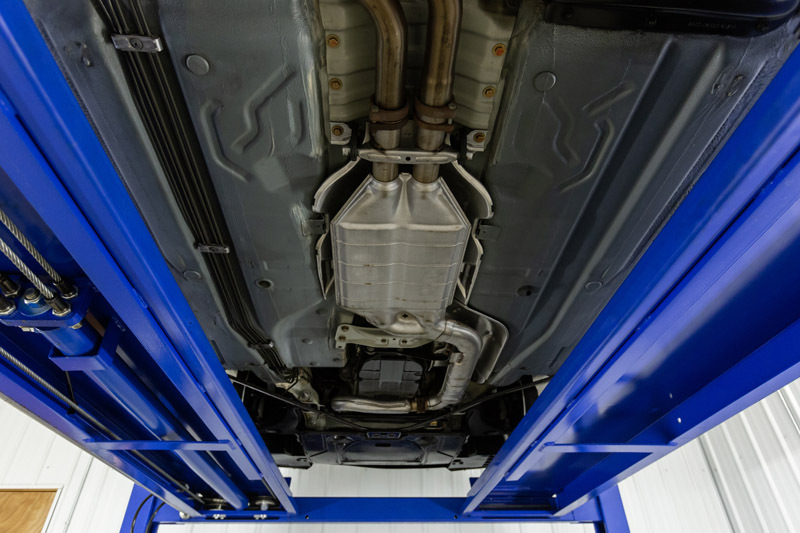 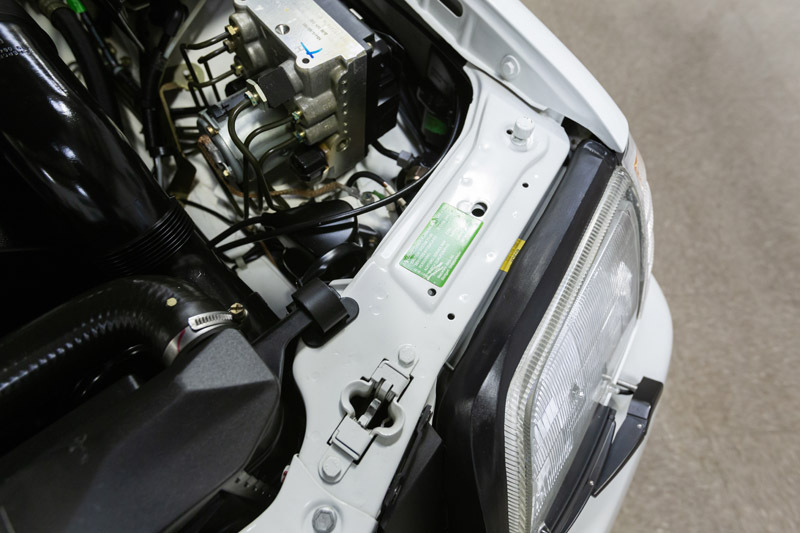 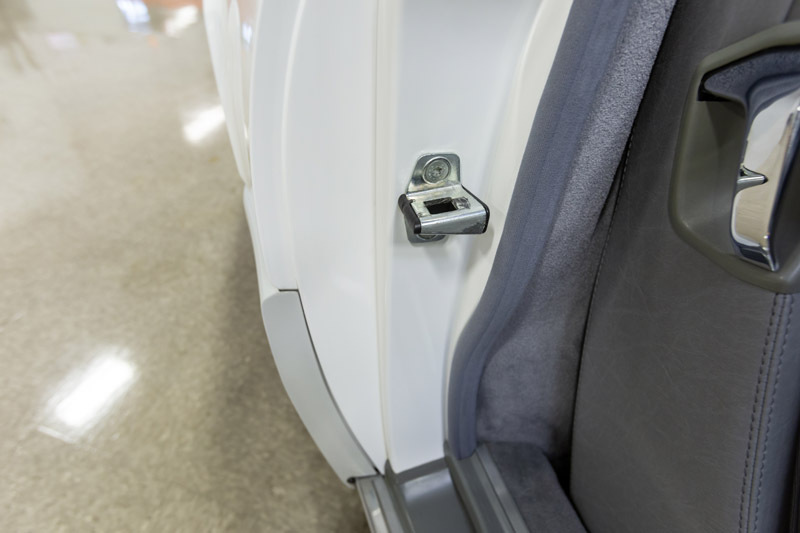 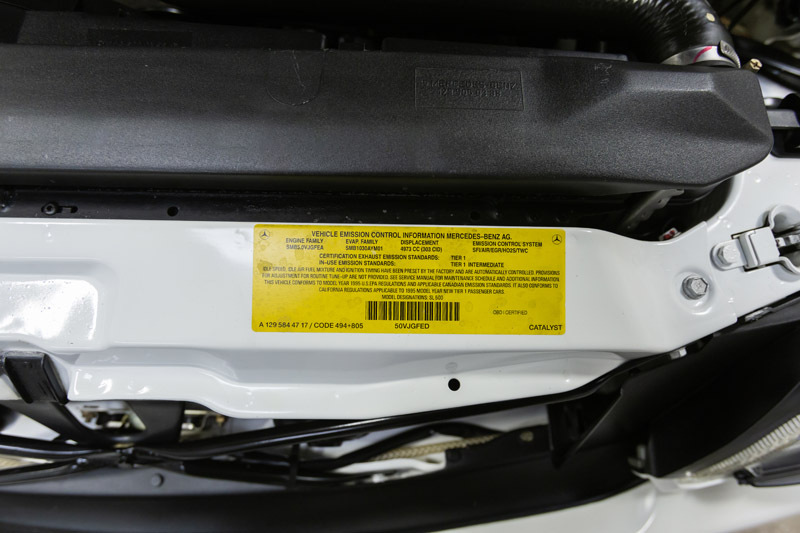 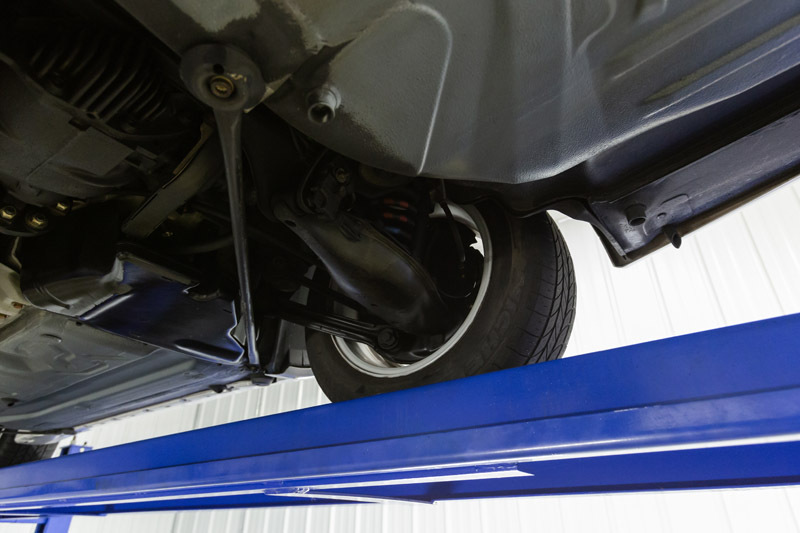 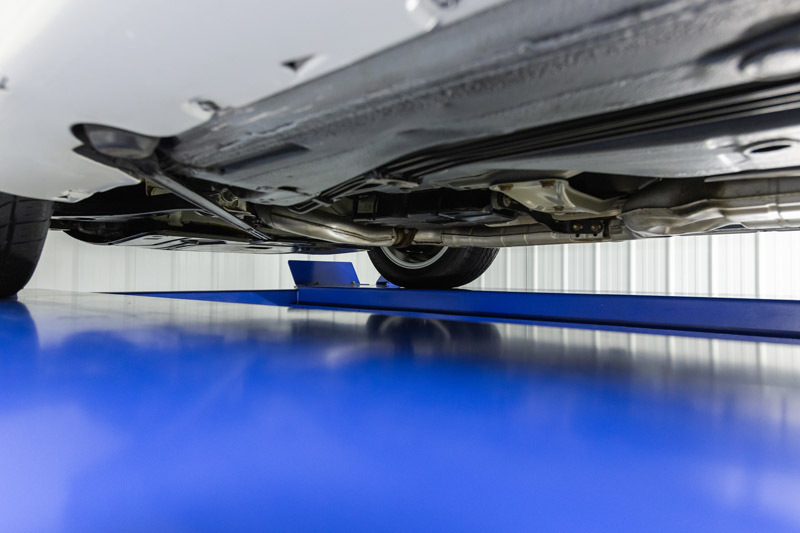 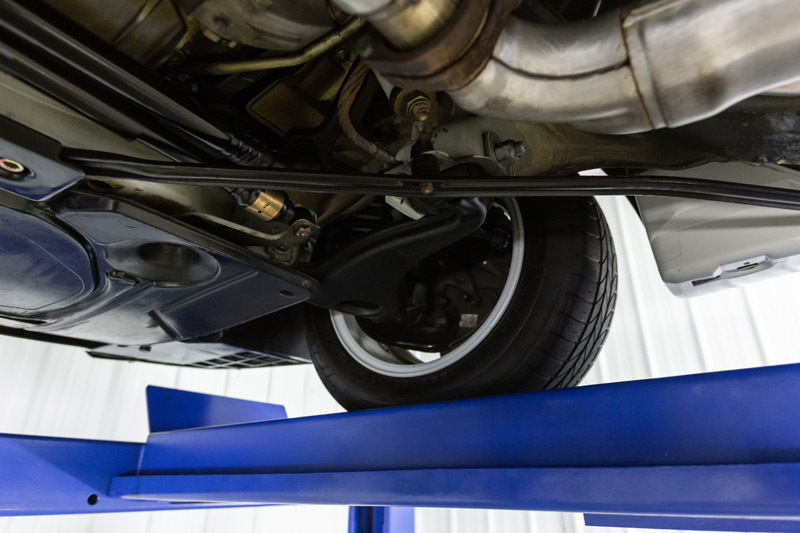 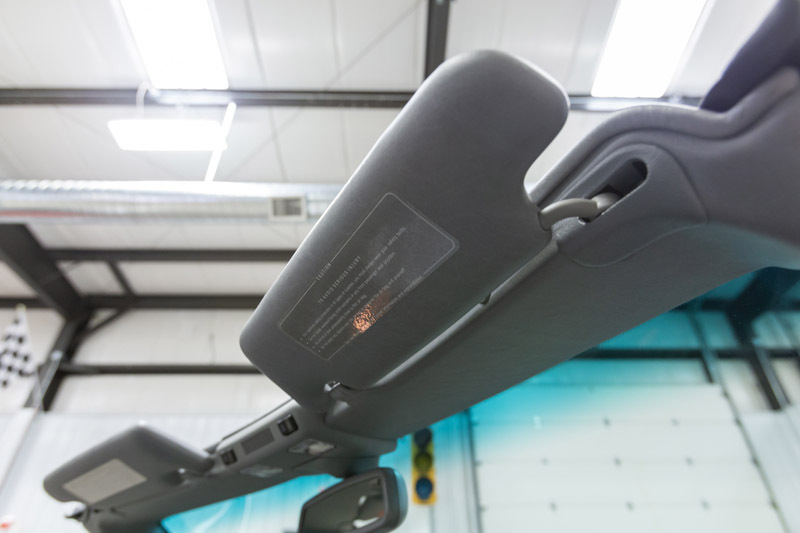 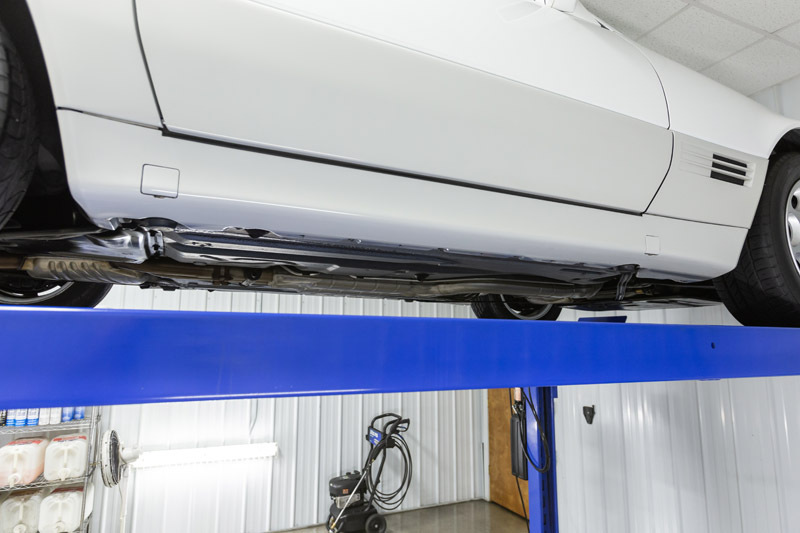 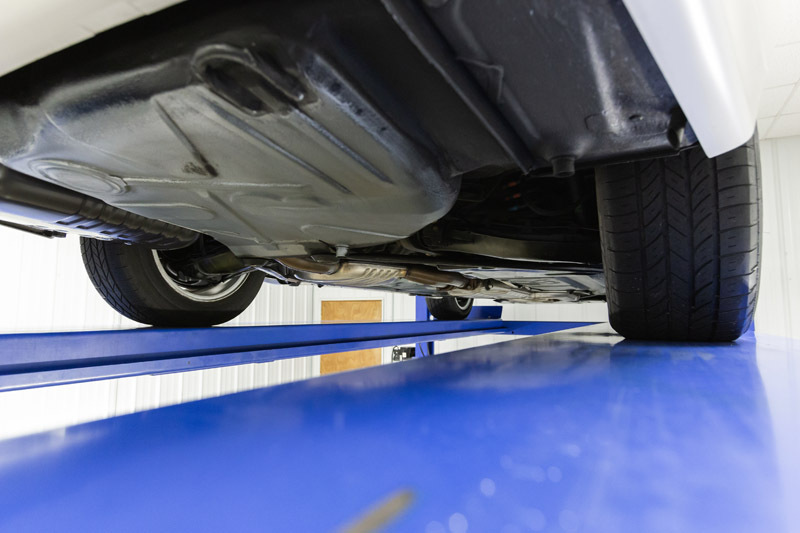 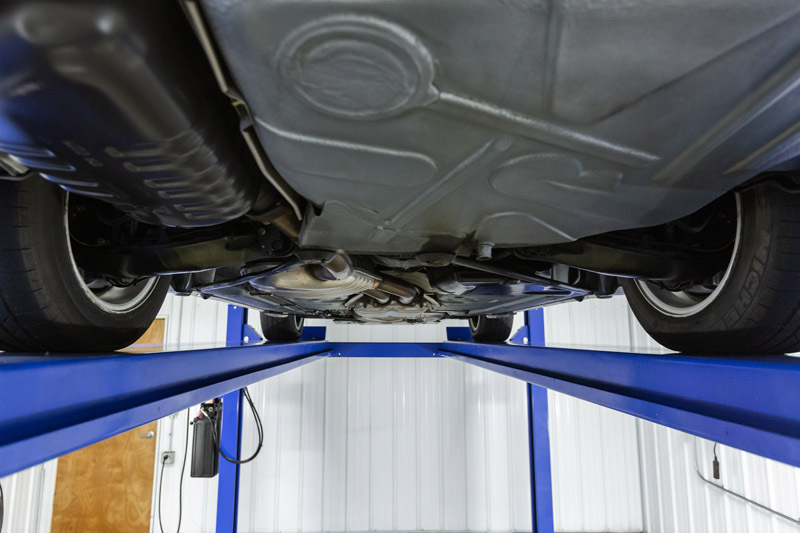 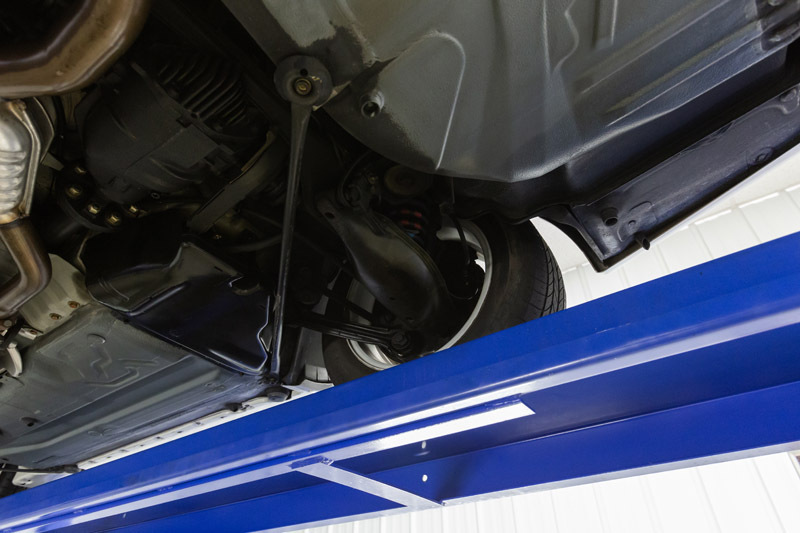 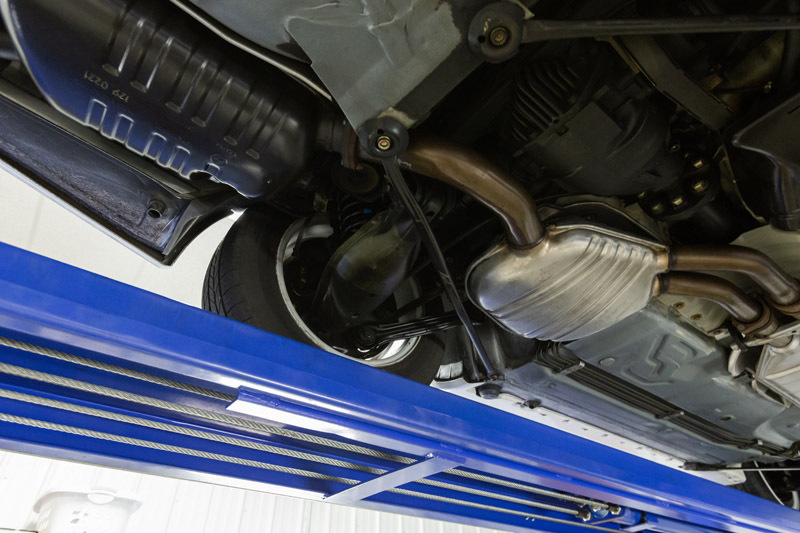 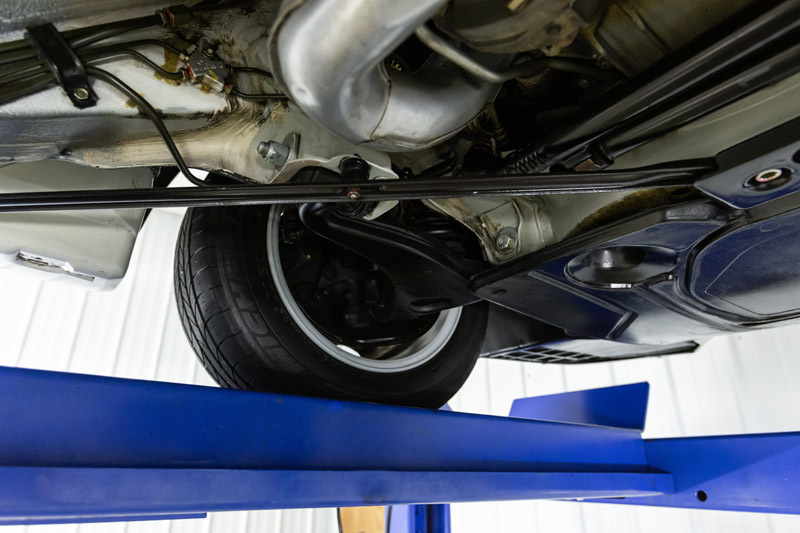 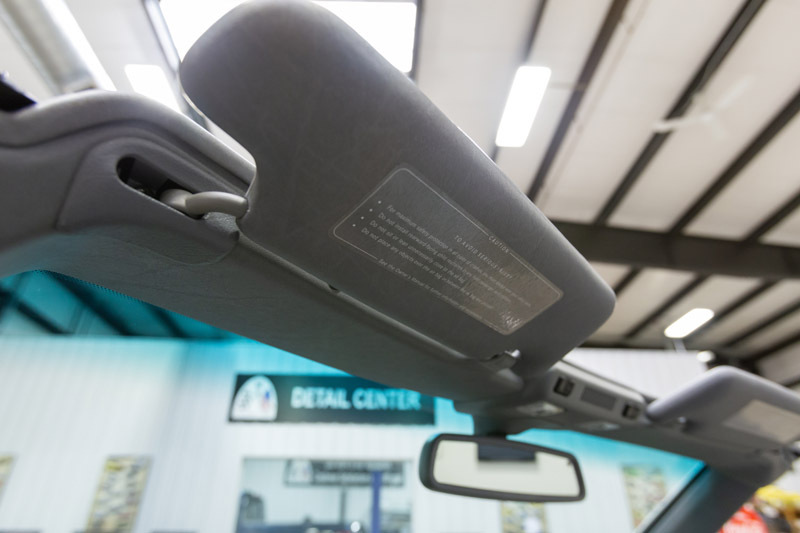 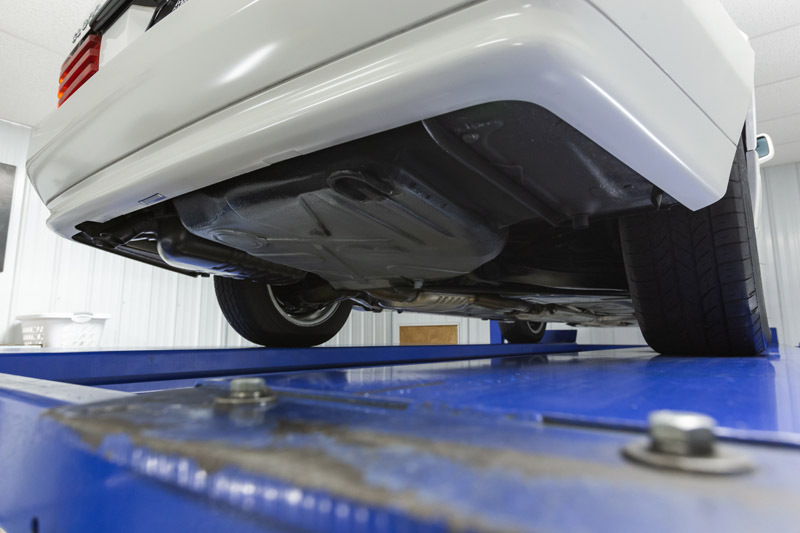 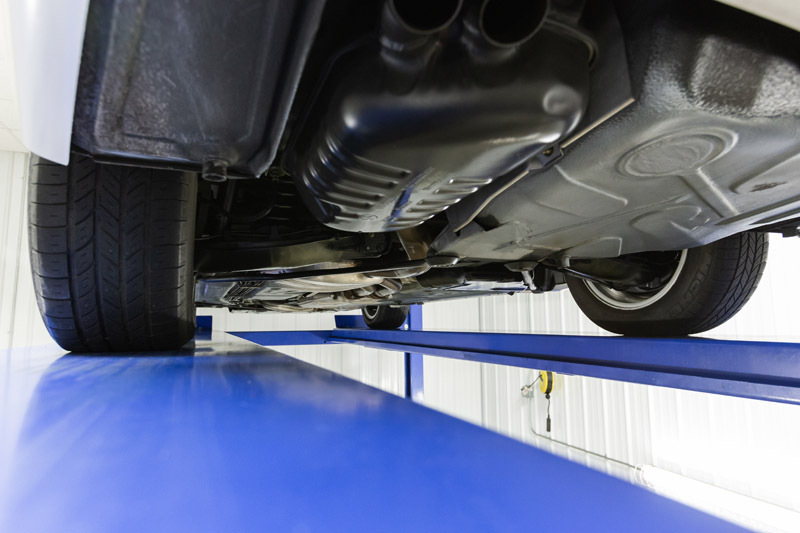 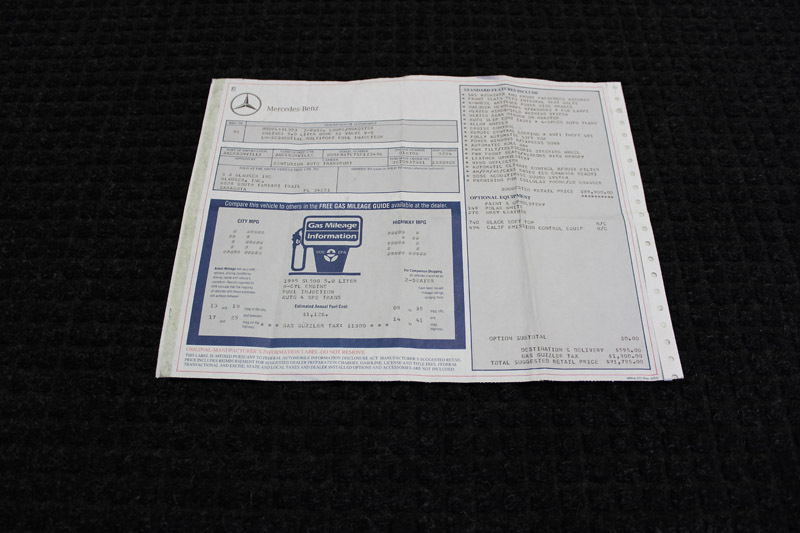 The following items are included: window sticker, owner’s manuals, two sets of keys, dealership new vehicle inspection sheet, dealership quality control inspection sheet, bill of sale, odometer statement, dealership warranty disclaimer and service invoices. 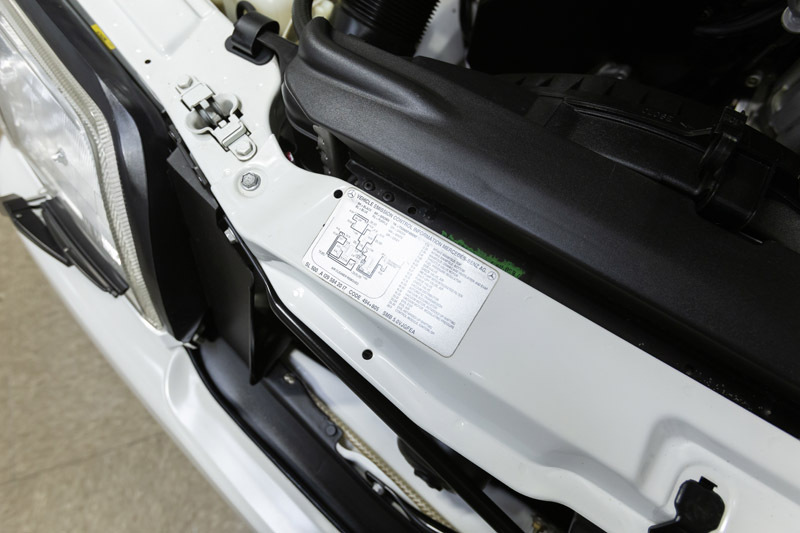 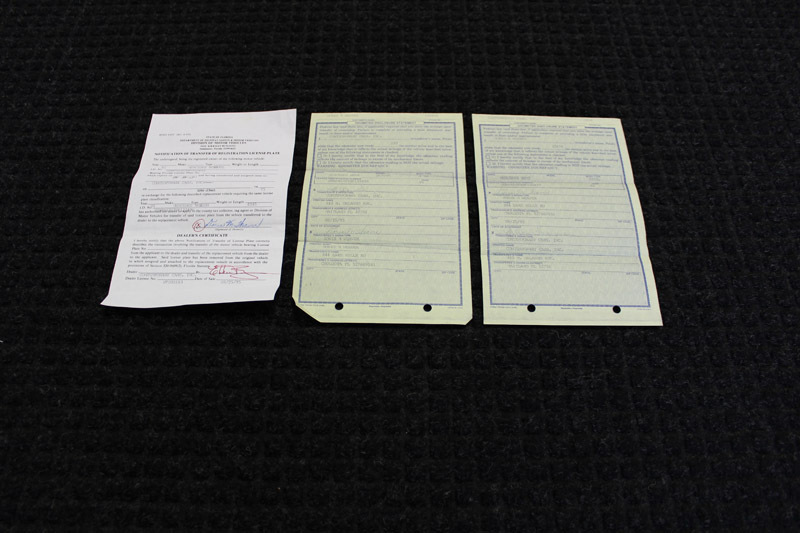 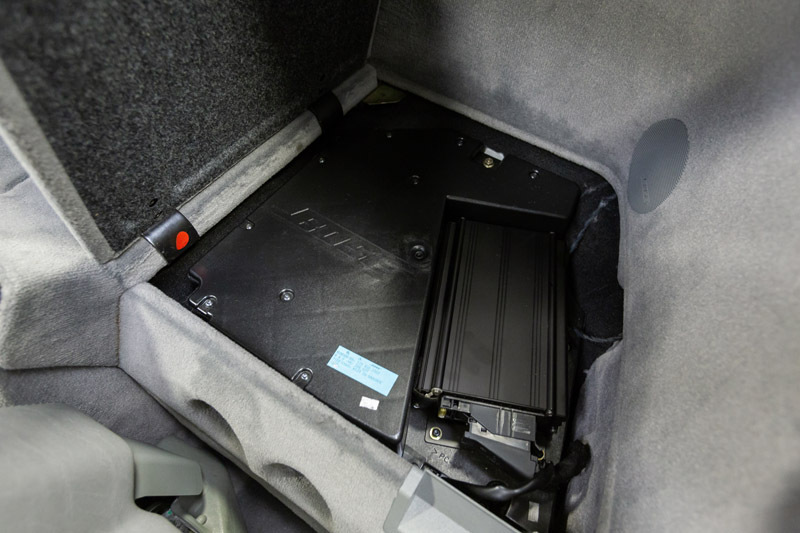 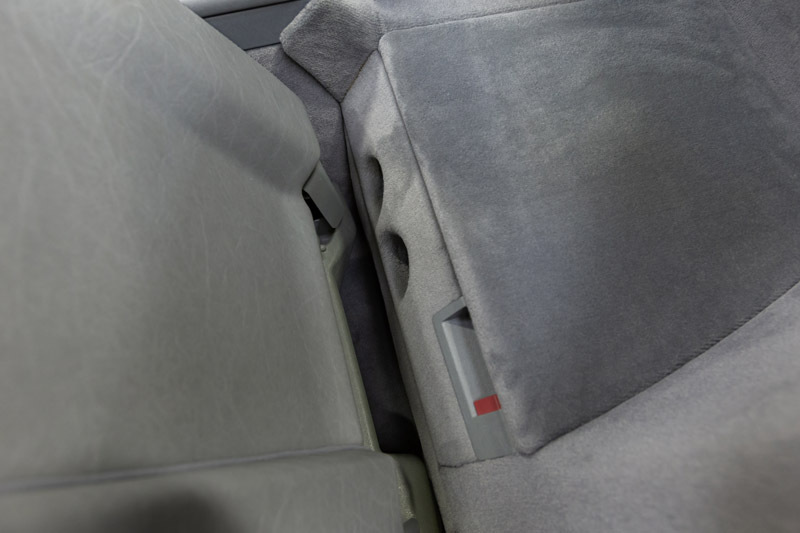 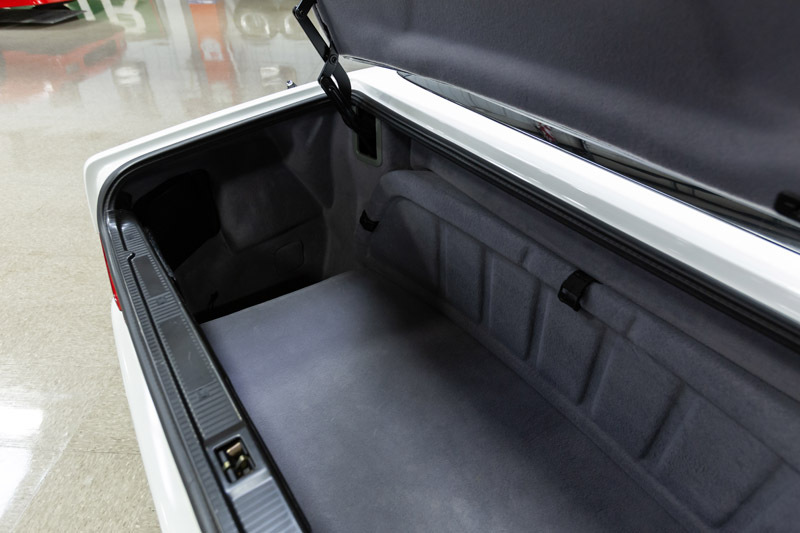 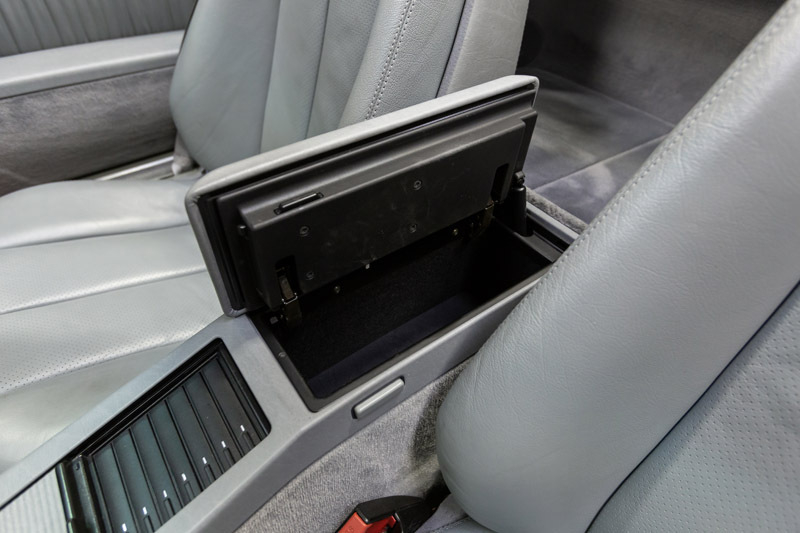 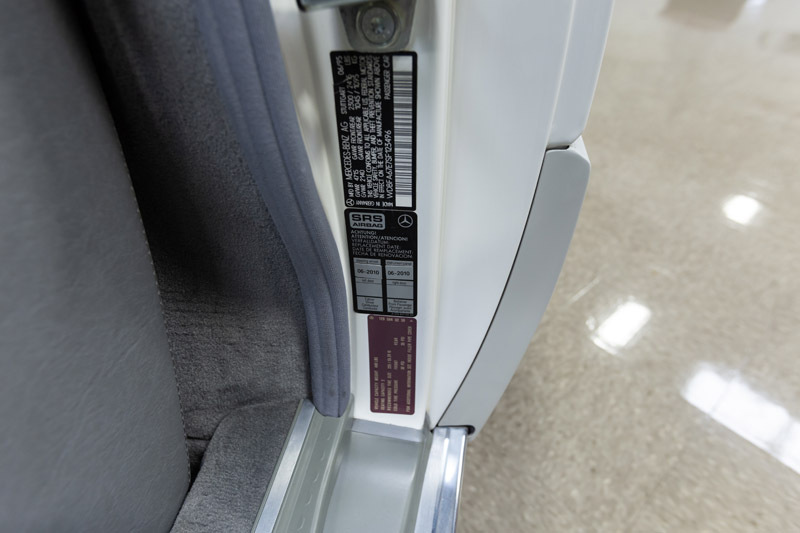 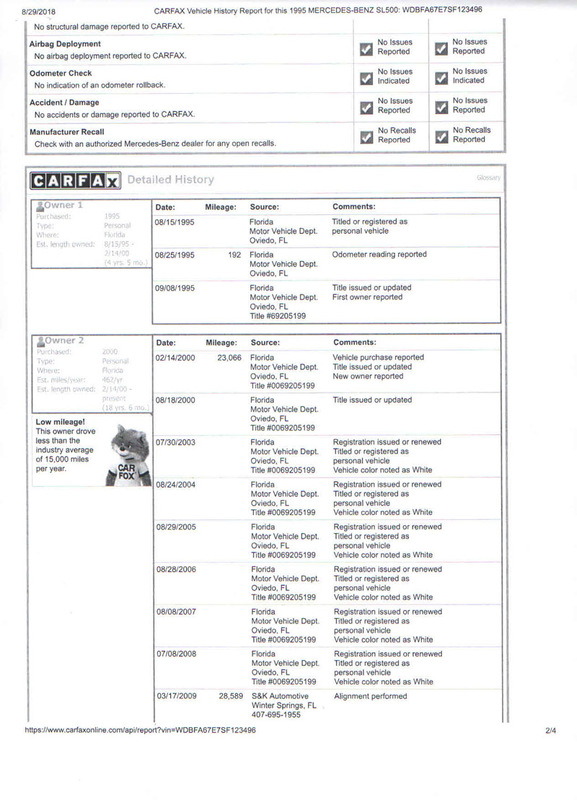 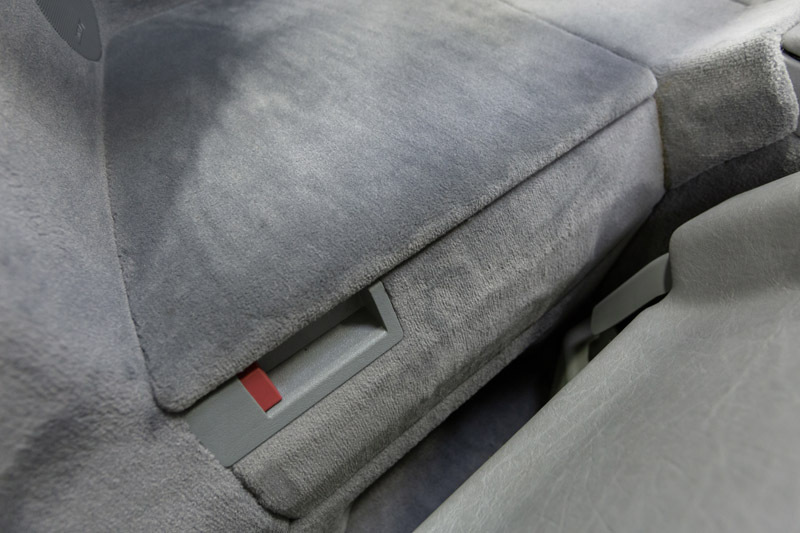 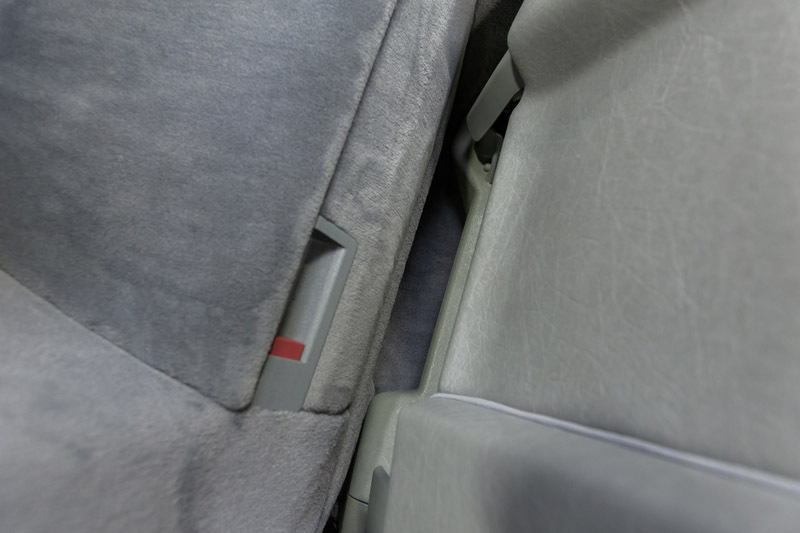 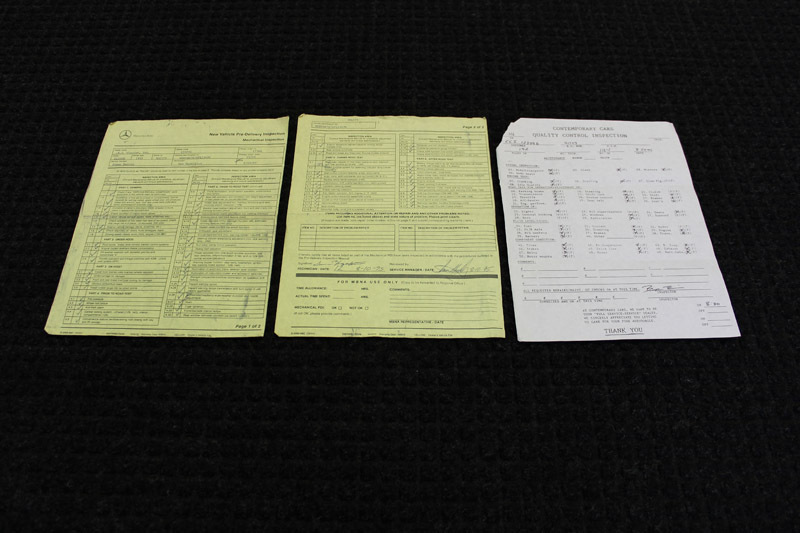 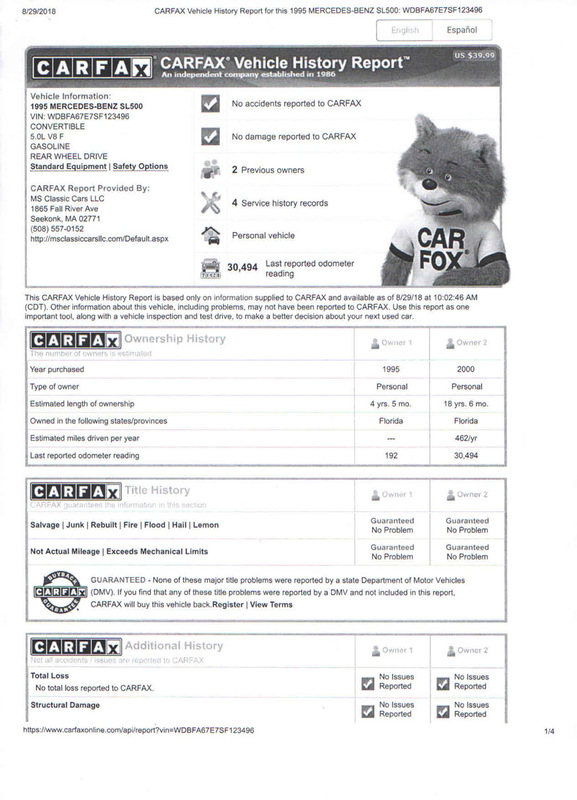 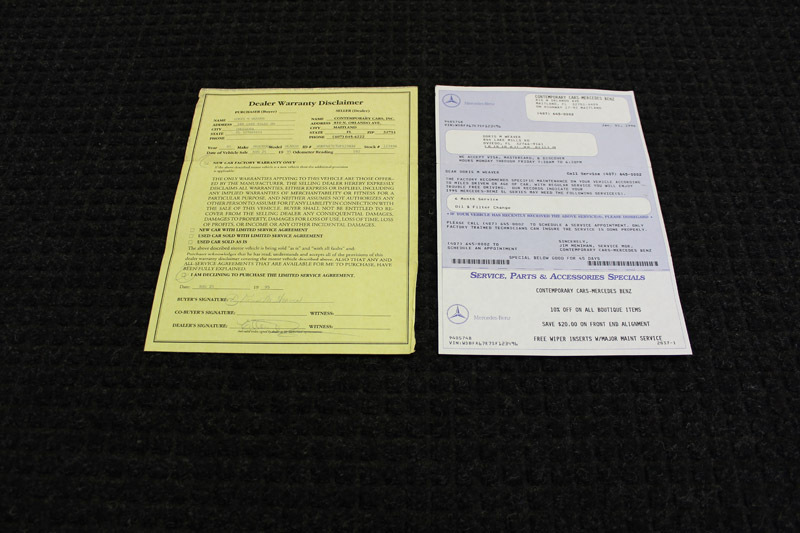 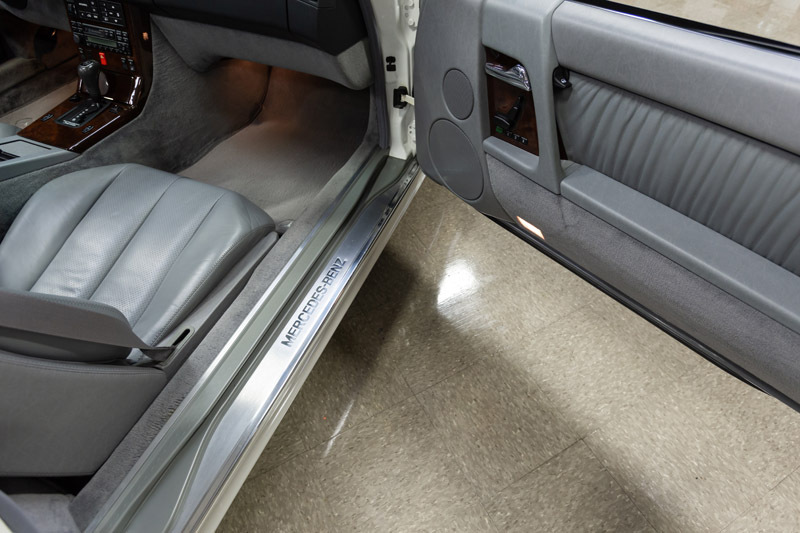 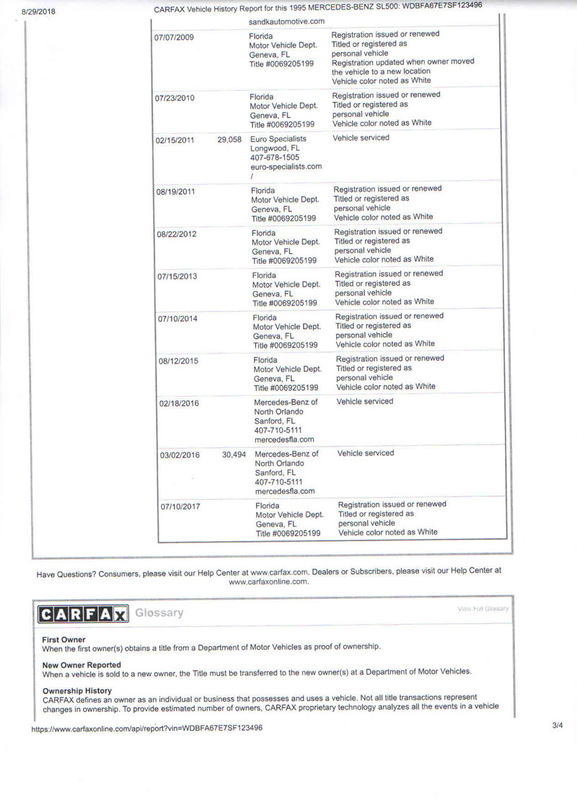 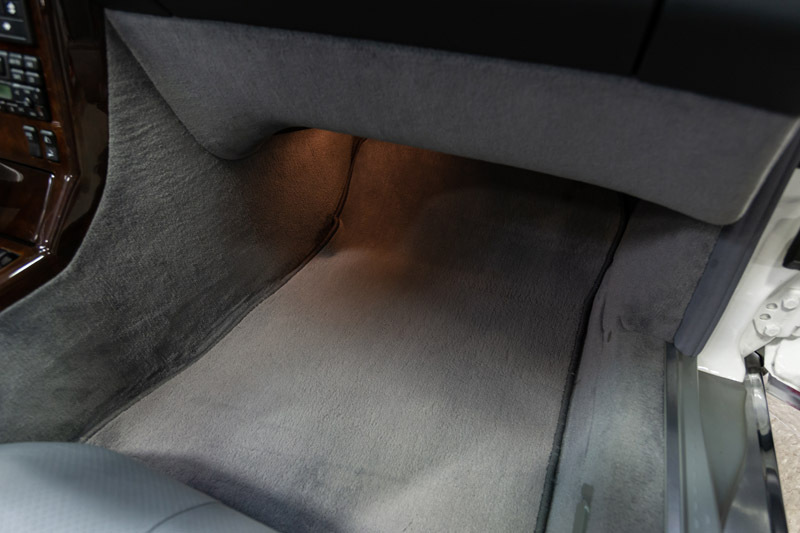 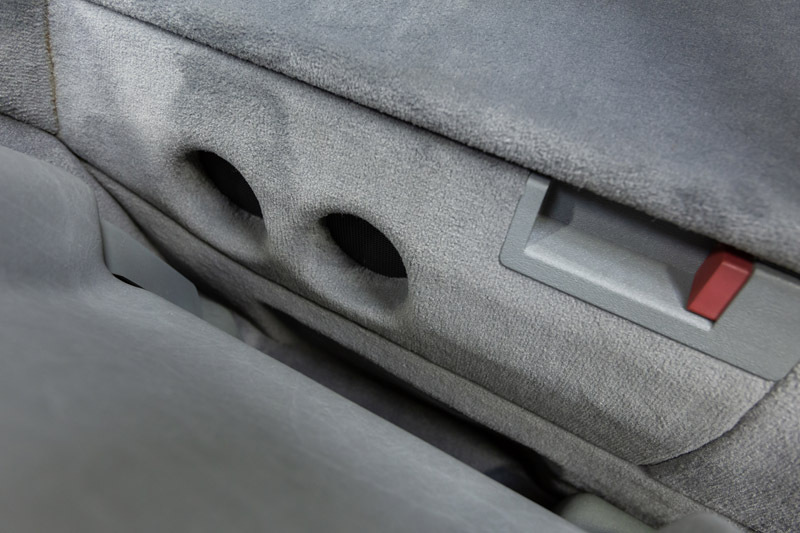 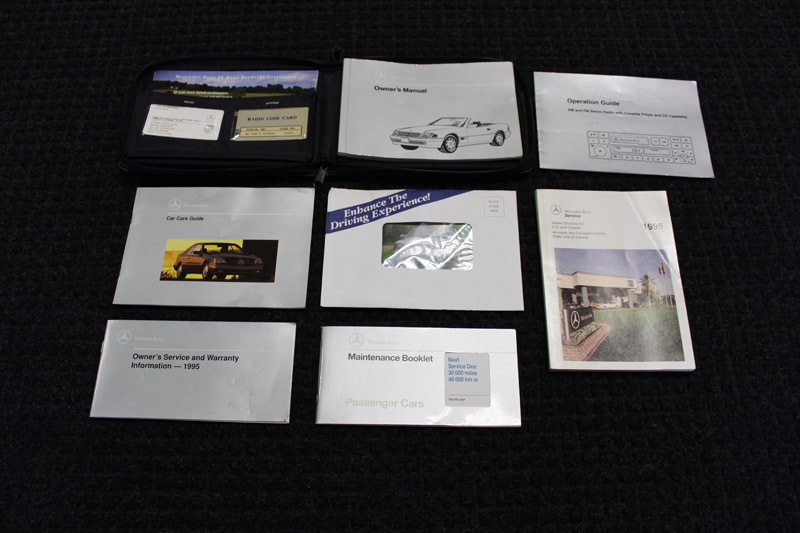 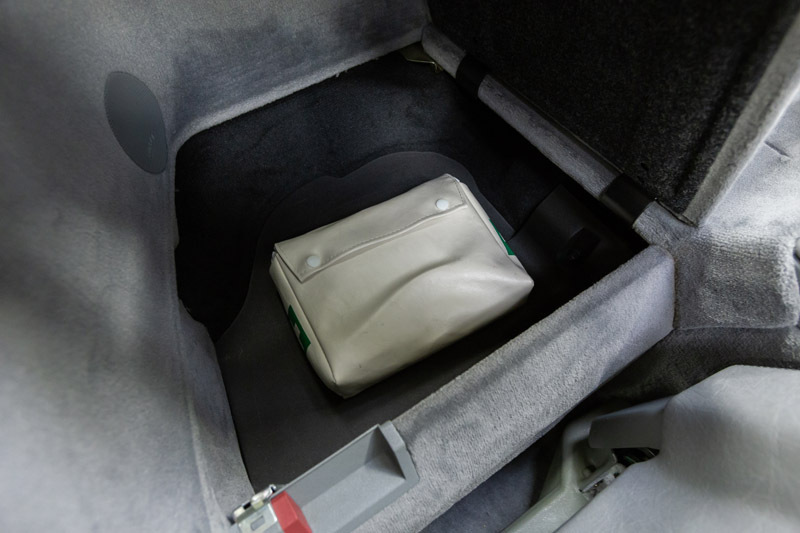 It has a clean Car Fax report that documents everything which is included. 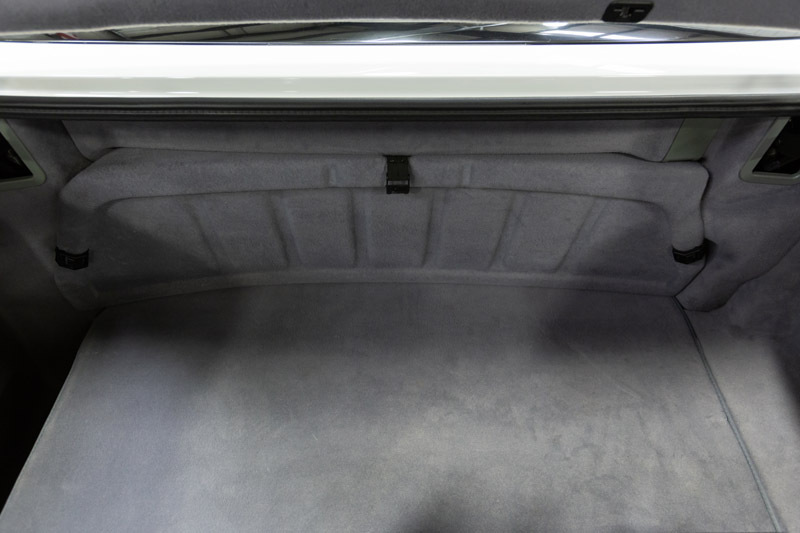 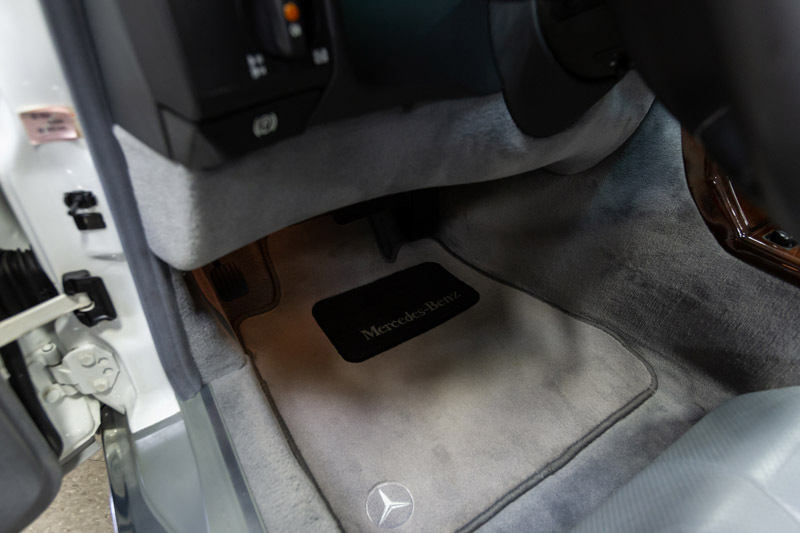 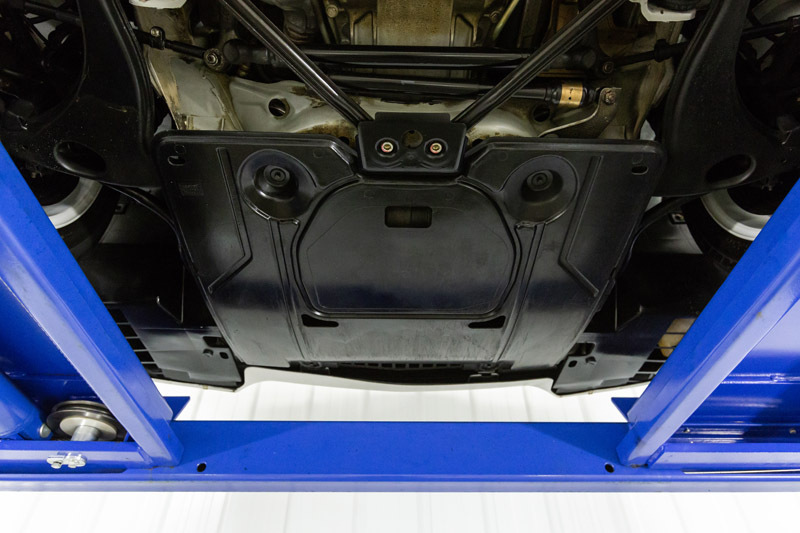 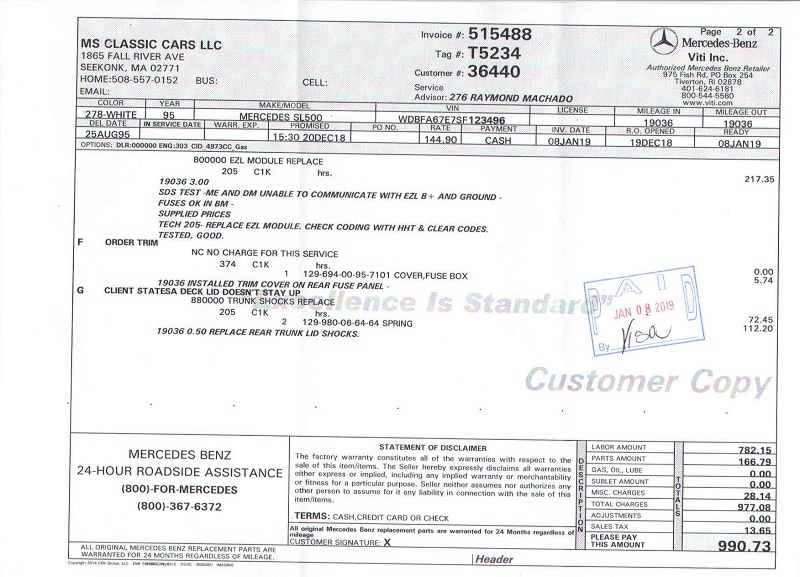 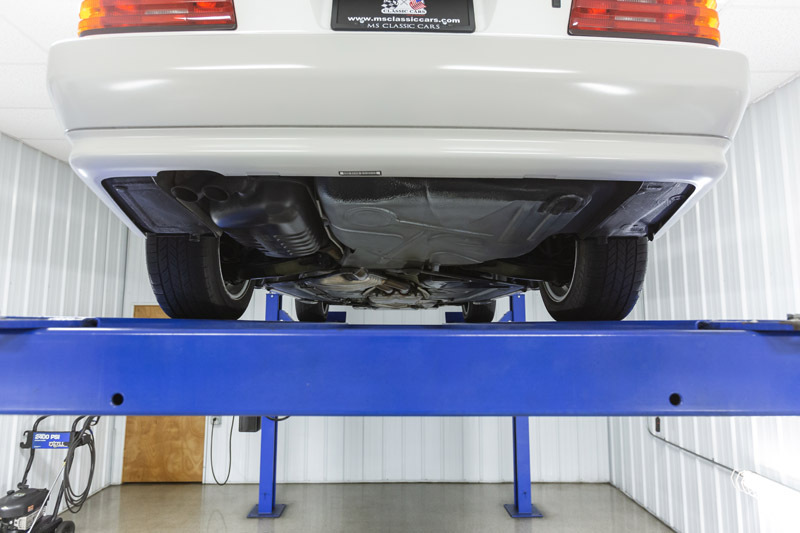 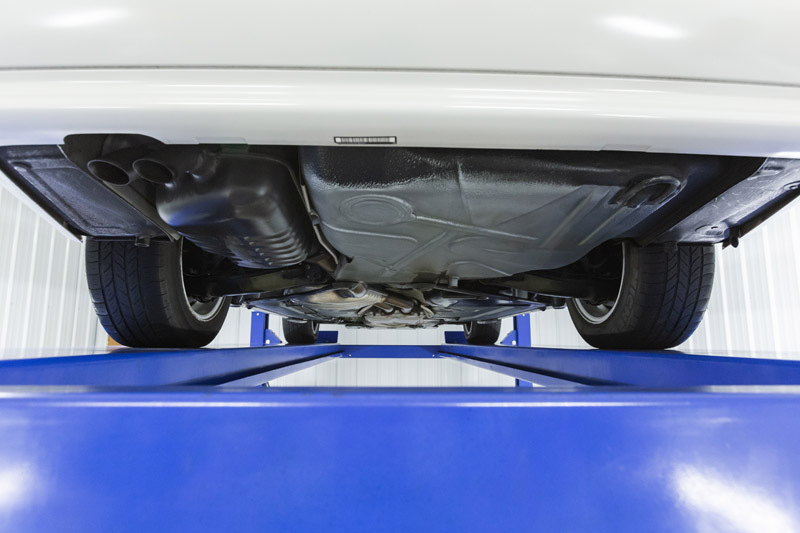 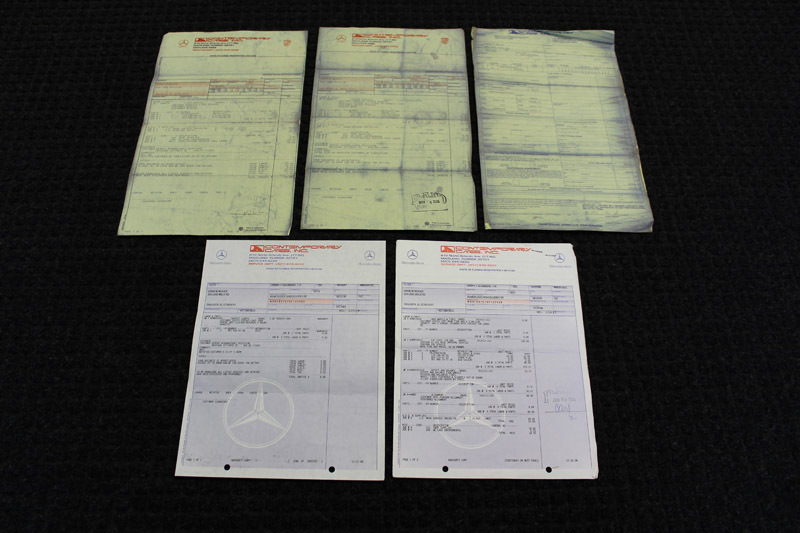 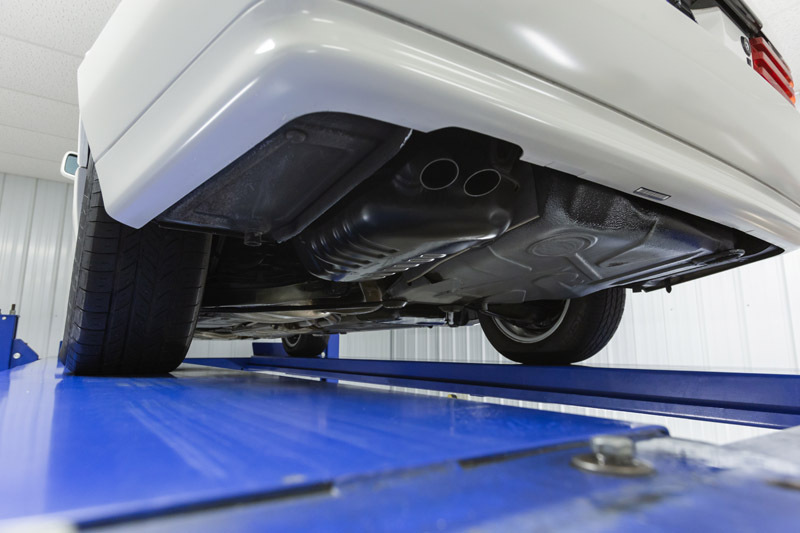 The previous owner had recently serviced the car at a Mercedes Benz dealership. 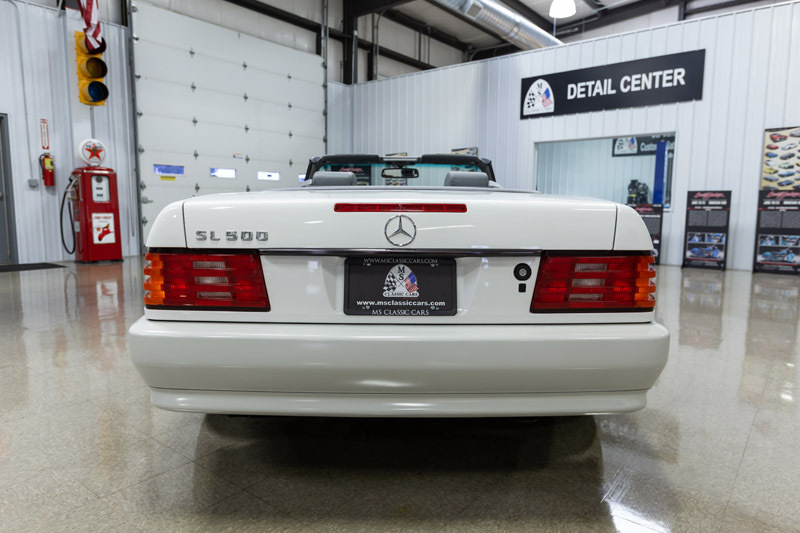 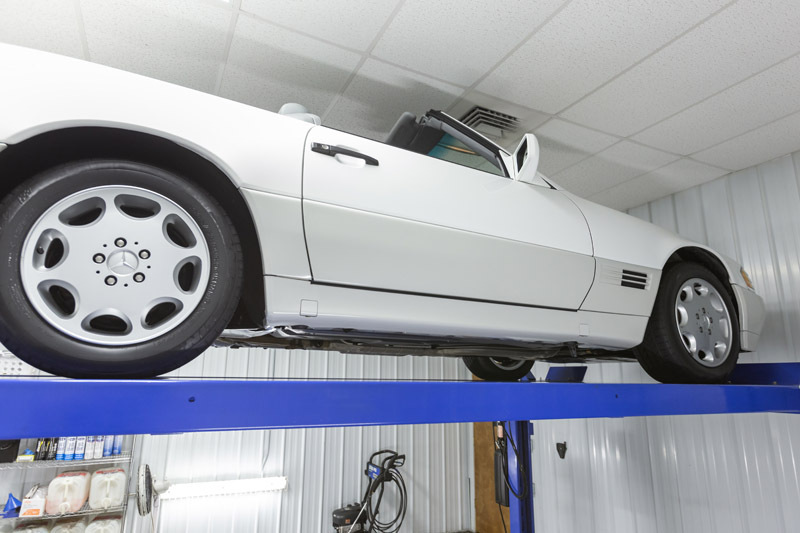 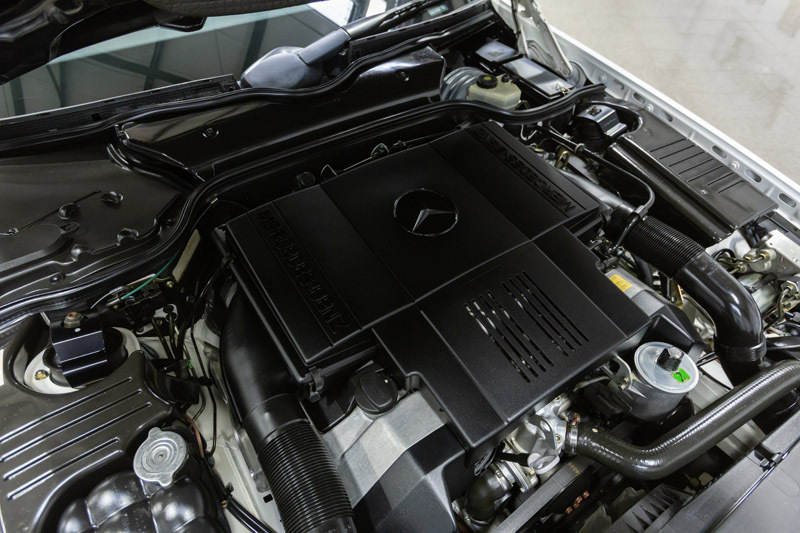 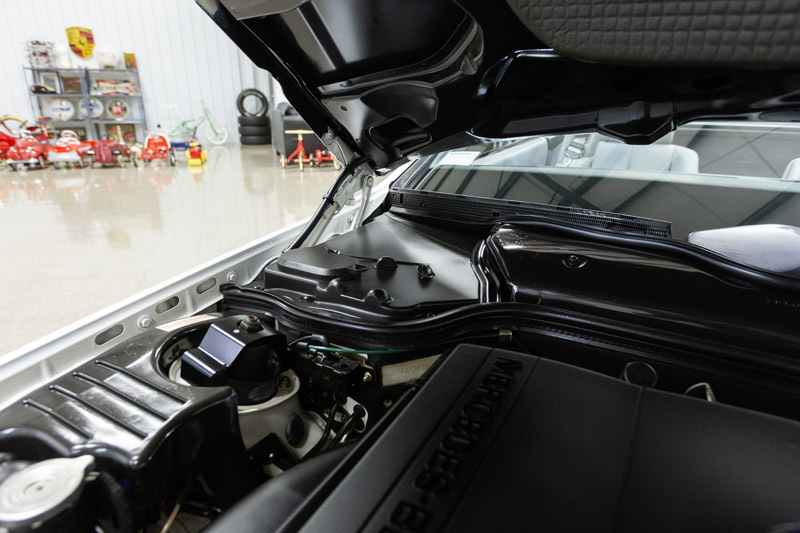 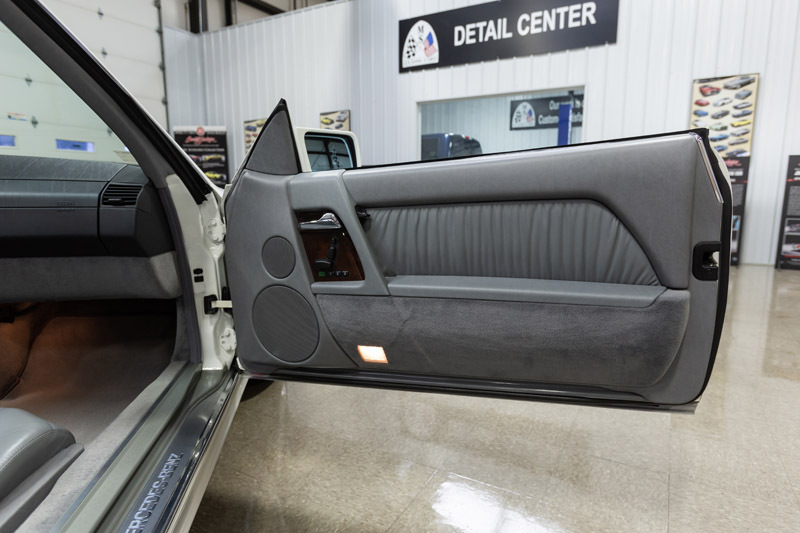 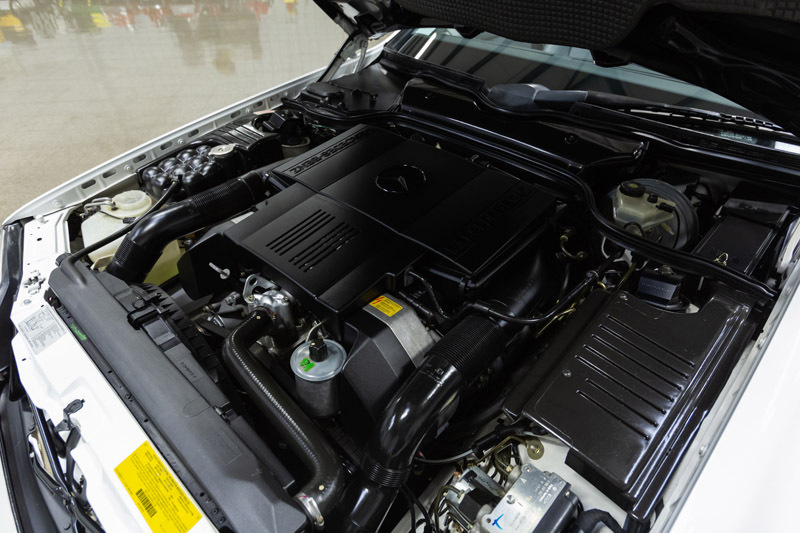 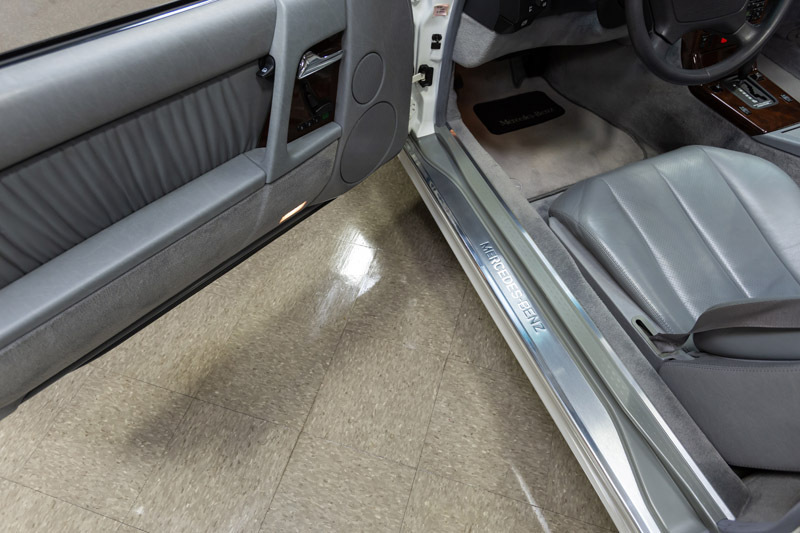 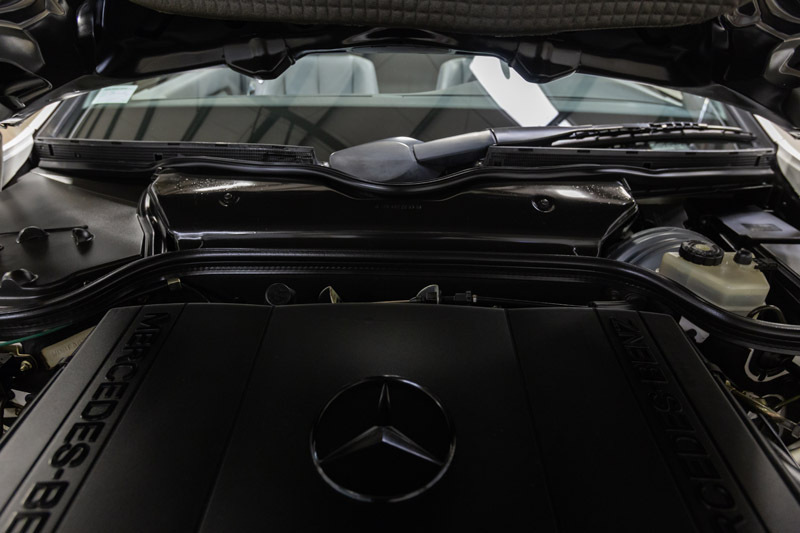 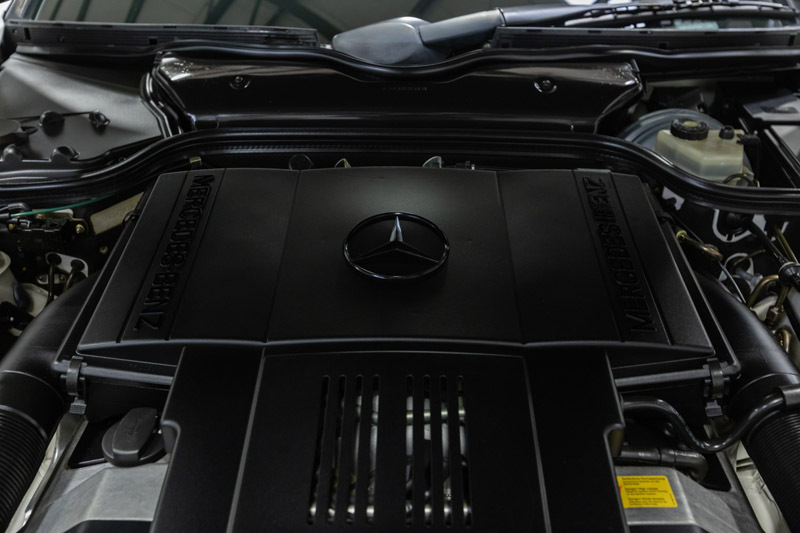 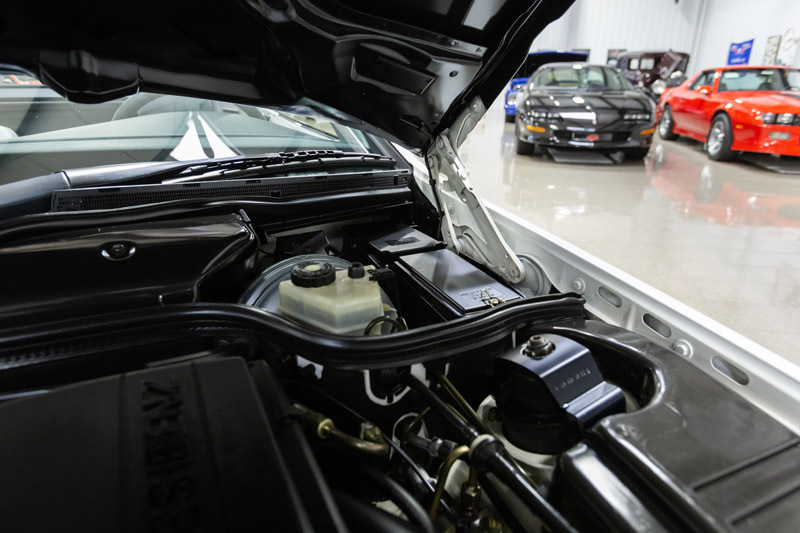 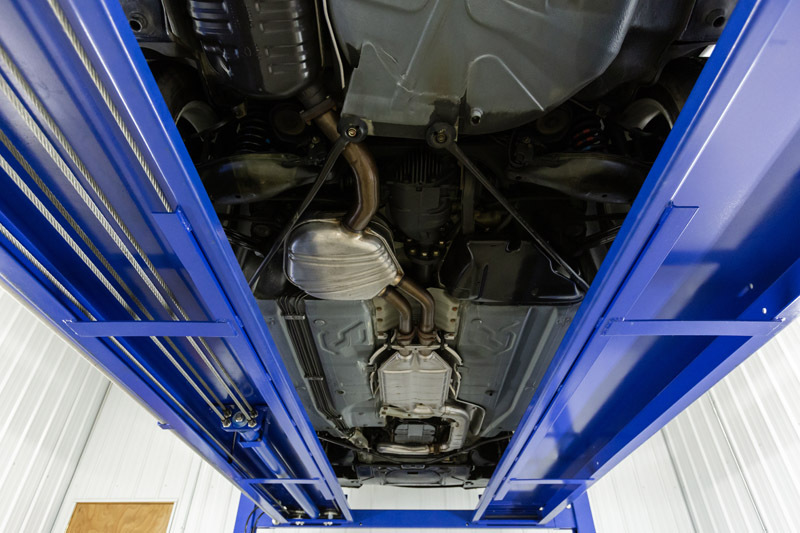 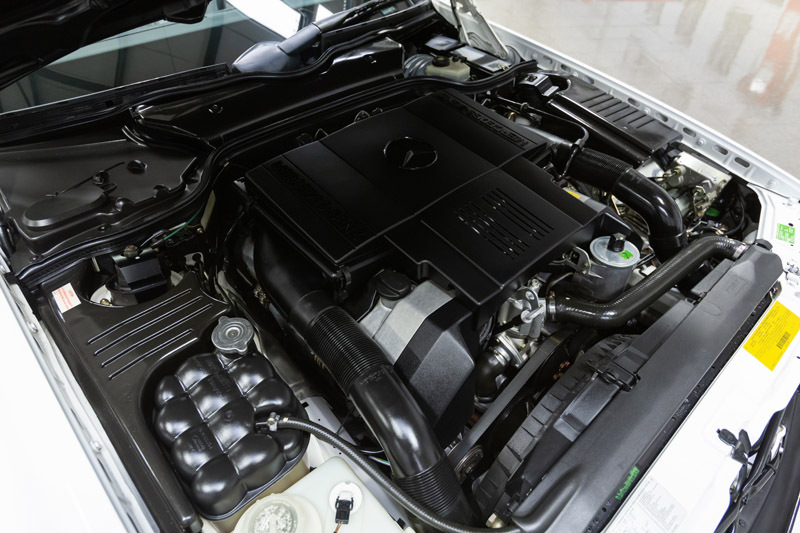 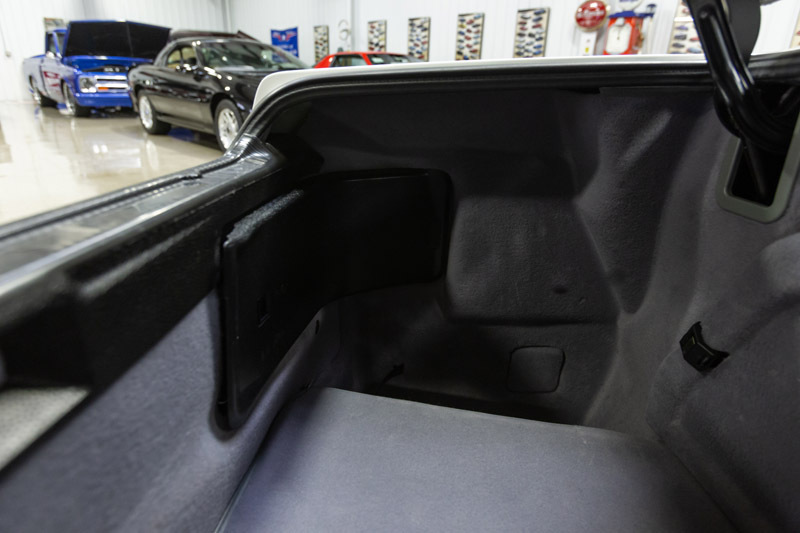 This SL500 was also recently detailed from top to bottom.